Ultimate list of the Top 128 most beautiful, best seaside resort towns and villages in the UK (England, Northern Ireland, Scotland and Wales). Why you would love it: The beach at Mablethorpe stretches for miles. Explore the beach on a sand train ride, try your hand at pitch and putt or check out what’s happening at the Dunes Complex Entertainment Centre. Don’t miss: A visit to the Mablethorpe Seal Sanctuary and Wildlife Centre where you can interact with all sorts of rescued species from primates and seals to birds of prey and meerkats. 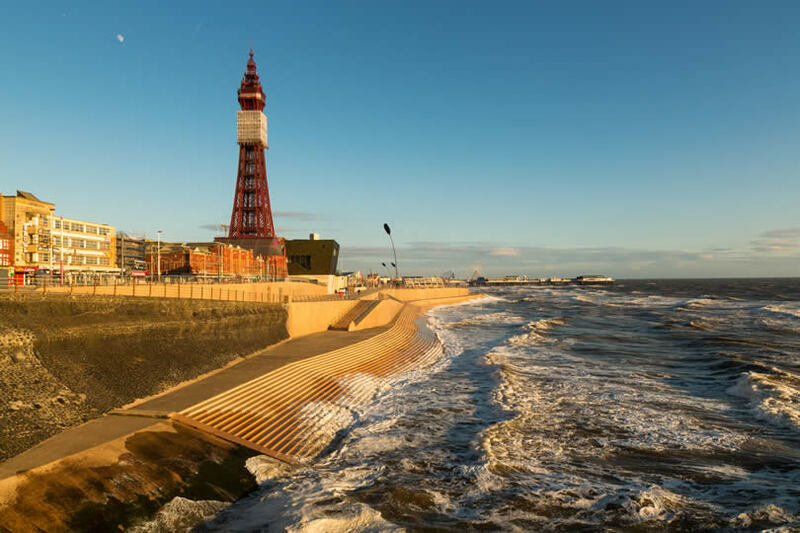 Why you would love it: If the west coast has Blackpool, then the east coast has Skegness, a traditional and popular seaside resort with more than enough attractions to entertain all ages. Try your hand at stock car racing at Skegness Stadium or visit the only parrot sanctuary in the country. Don’t miss: Visiting the new Skegness Aquarium. This exciting and interactive venue is based on the story and characters of Treasure Island. Why you would love it: Clacton-on-Sea is definitely a traditional holiday resort with a twist. Seafront gardens, a historic pier and Martello Towers sit next to the up-to-date attraction of a local airfield from where you can take pleasure flights. Don’t miss: The Clacton Pier SeaQuarium with its wonderful exhibits from around the world. 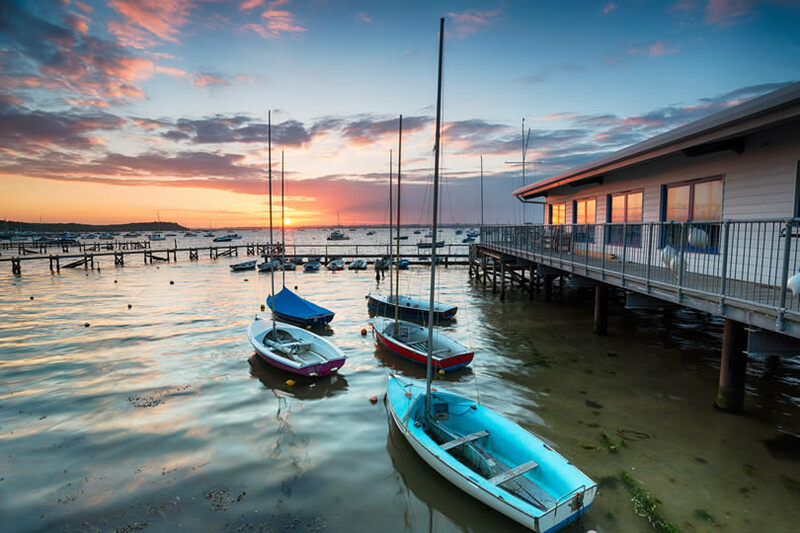 Why you would love it: Tranquil beaches and a buzzing adventure park, an iconic pier and beautiful Prittlewell Priory are just a few of the many attractions in Southend-on-Sea. Southend has everything you need from a resort but if you want to escape the town’s bustle then you’ll find nature reserves at neighbouring Leigh-on-Sea. Don’t miss: The interactive SeaLife Adventure with its themed aquariums and walkways that lead you through a watery world. 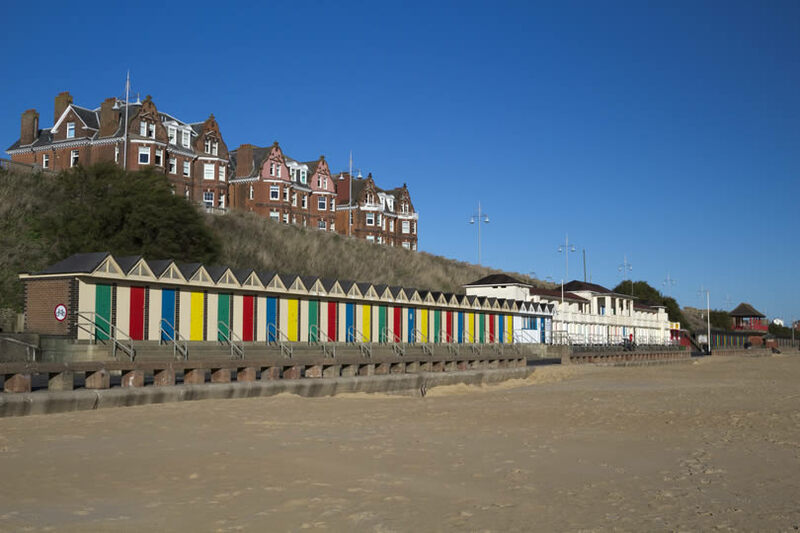 Why you would love it: Walton-on-the-Naze has a unique position. It’s bordered by the ocean on three sides meaning you’re never short of stunning views. Browse the art gallery before taking afternoon tea in the cafe housed in the Tower, built by Trinity House in the 18th-century. 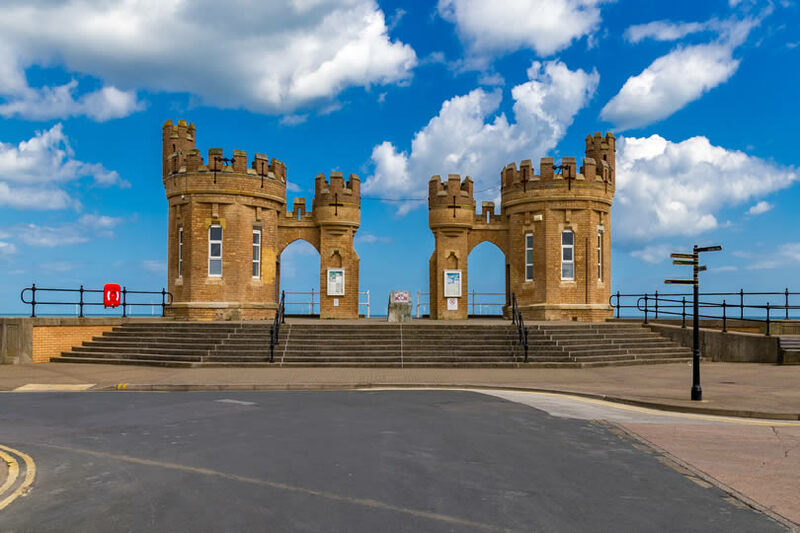 Don’t miss: Enjoying even more scenery with the panoramic view offered by The Naze Tower, originally an important navigational marker for ships. 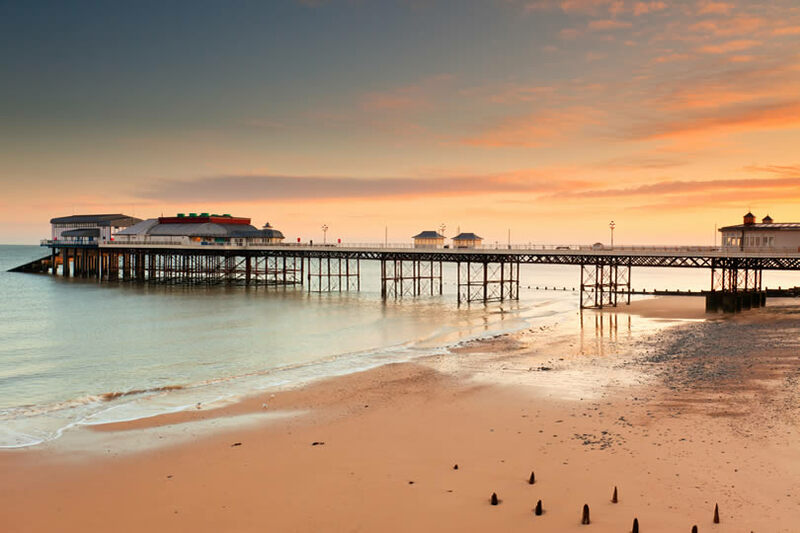 Why you would love it: Soak up the sun on Cromer’s long Victorian pier that juts out into the North Sea. Explore its maritime heritage in the museum and see what life was like in an old fisherman’s cottage. The town is also home to the RNLI Henry Blogg Museum. Don’t miss: Dining out on Cromer Crab in a local restaurant or catching your own with a crabbing line off the pier. Why you would love it: Great Yarmouth is a real family resort with its Golden Mile of attractions and the Pleasure Beach with its theme park rides. At the Smokehouse, you can get a better understanding of local trades while indulging in a spot of souvenir shopping. Don’t miss: Exploring Great Yarmouth’s long relationship with the sea at the Time and Tide Museum. 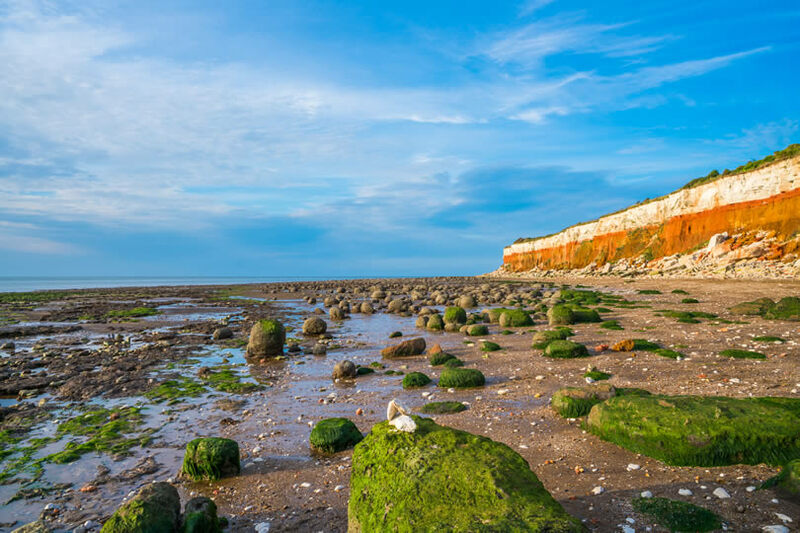 Why you would love it: Hunstanton was purpose-built as a Victorian holiday resort in the mid-19th-century. Its beaches are vast and early morning walks may reward you with the sight of seals playing in the water. It’s also one of the most popular beaches in the UK for kitesurfing, always exciting to watch. Don’t miss: The sun setting in a glorious blaze of orange from a vantage point at Old Hunstanton Lighthouse. 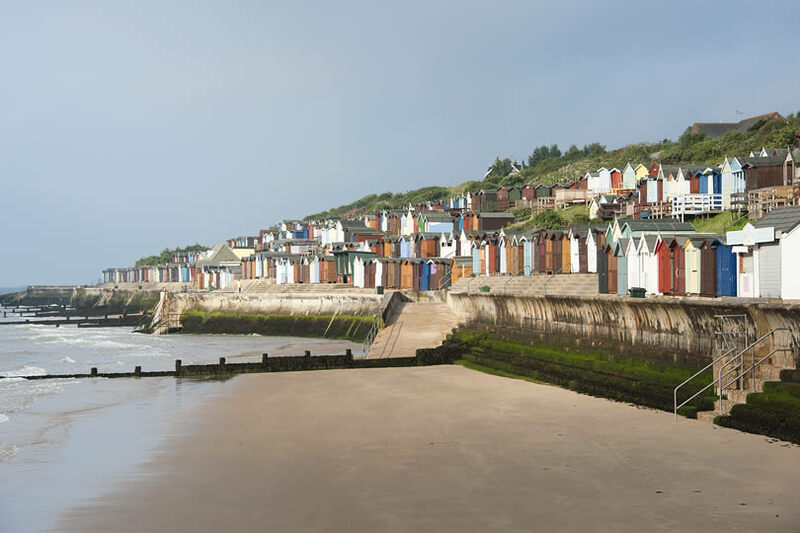 Why you would love it: Sandy beaches and rock pools brimming with little crabs are a real draw for young families visiting Sheringham. When beach fun is over, Sheringham High Street is full of quirky shops with a seaside flavour while kids will love battling the wave machine at The Splash Swimming Pool. Don’t miss: A journey on the North Norfolk Steam Railway which leaves from Sheringham. 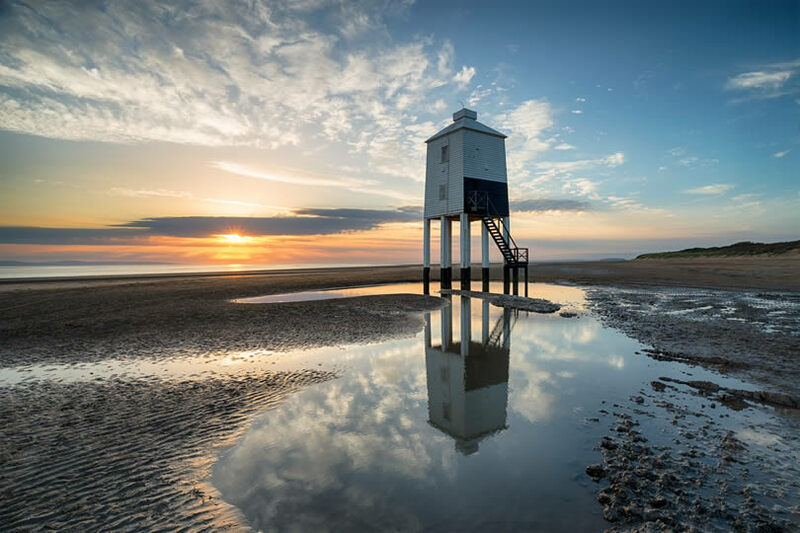 Why you would love it: If a relaxed, totally laidback holiday is your idea of bliss, then Wells-next-the-Sea is for you. 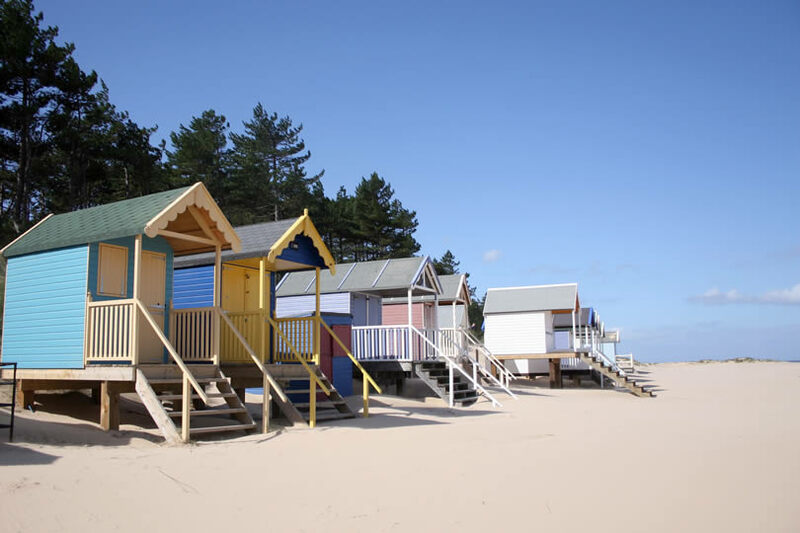 A huge expanse of golden sand is rimmed with colourful beach huts and backed by sand dunes and pine forests while local nature reserves such as Blakeney are a haven for bird watchers. Don’t miss: A seal watching trip to Blakeney Point. 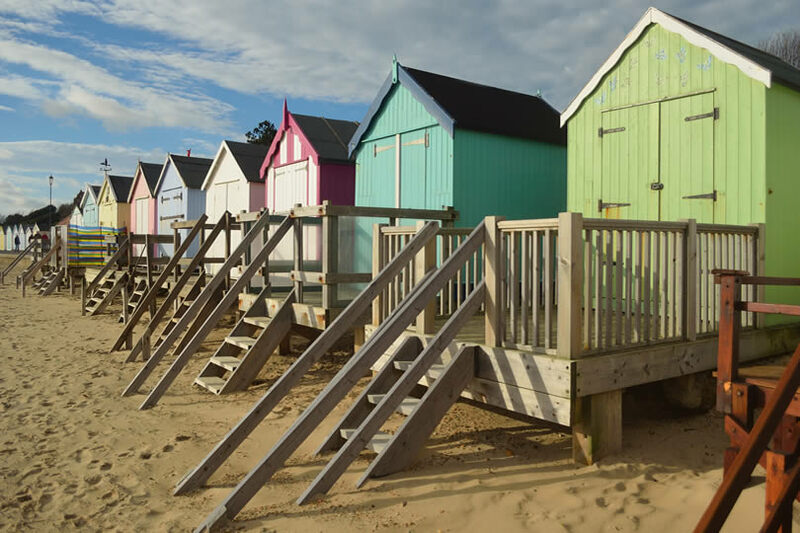 Why you would love it: With its bustling port, many people overlook the hamlet of Felixstowe itself with its charming fishermen’s cottages. Relax on the beach before taking a boat to Bawdsey Island, home to a secret WWII facility and where radar was invented. Don’t miss: Enjoying stunning estuary views or watching ships coming and going from The John Bradfield Viewing Area next to the Landguard Terminal. 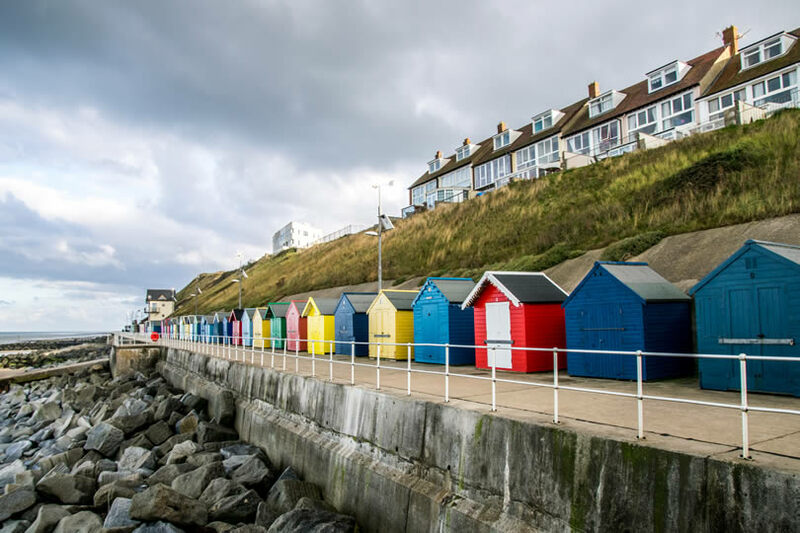 Why you would love it: Lowestoft is the UK’s most easterly town with long sandy beaches flanked by the Royal Plain Fountains. From this, unpredictable water jets catch out the unwary. Benjamin Britten’s birthplace is now a bed and breakfast, perfect for short Norfolk breaks. Don’t miss: The Scores, three narrow lanes that over the centuries have been worn down between the town and the beach. 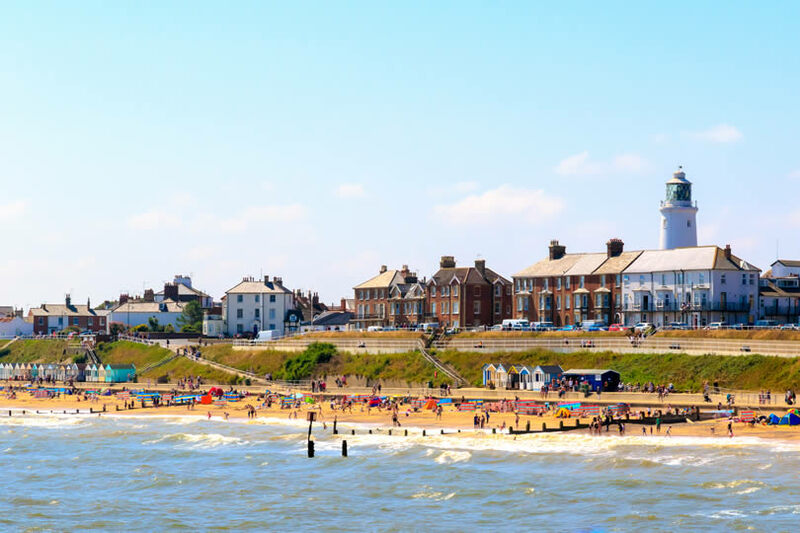 Why you would love it: Start a visit to Southwold at its museum housed in a tiny cottage and get a real sense of the quirky charm of this east coast seaside town. The lighthouse, still in operation, is another Southwold landmark as is the RNLI station. The town’s long sandy beaches are dotted with colourful beach huts. Don’t miss: A visit to the UK’s quirkiest pier with its wacky amusement arcade full of eccentric characters. 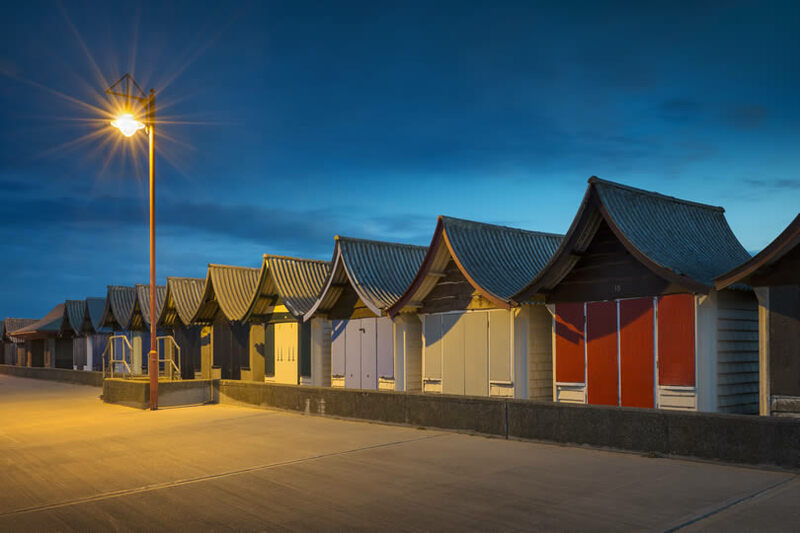 Why you would love it: Newbiggin-by-the-Sea has become famous in recent years for its revamped beach. It is now a pristine, family-friendly place with a new breakwater and eye-catching art installation by Sean Henry called ‘The Couple’. The town has a seaside golf course and is a haven for birdwatchers. Don’t miss: Enjoying homemade ice cream in beautiful Art Deco surroundings at the Rivera Café. 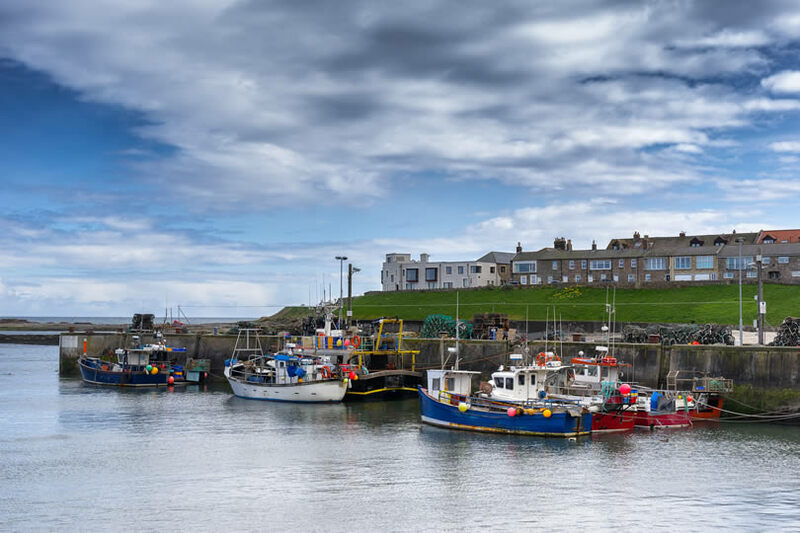 Why you would love it: A bustling harbour, colourful fishermen’s cottages and a wealth of independent shops make strolling around Seahouses a real pleasure. Take a tour of Swallow Fish, Britain’s oldest operating smokehouse before shopping for the catch of the day when the fishing boats return. Don’t miss: Taking a boat trip to the Farne Islands, where hundreds of thousands of seabirds nest every year. 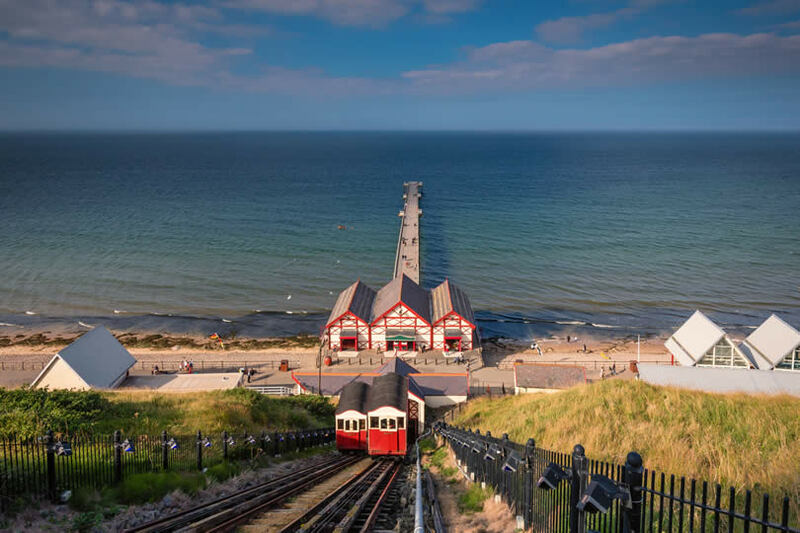 Why you would love it: Saltburn-by-the-Sea is proud of being the first purpose-built railway resort town in the world and much of its Victorian splendour can still be enjoyed, including the pier. This is the last remaining Victorian pier on England’s northeast coastline. The town sits on a hill overlooking long stretches of sandy beach. Don’t miss: Taking the cliff lift up to the glorious Valley Gardens. 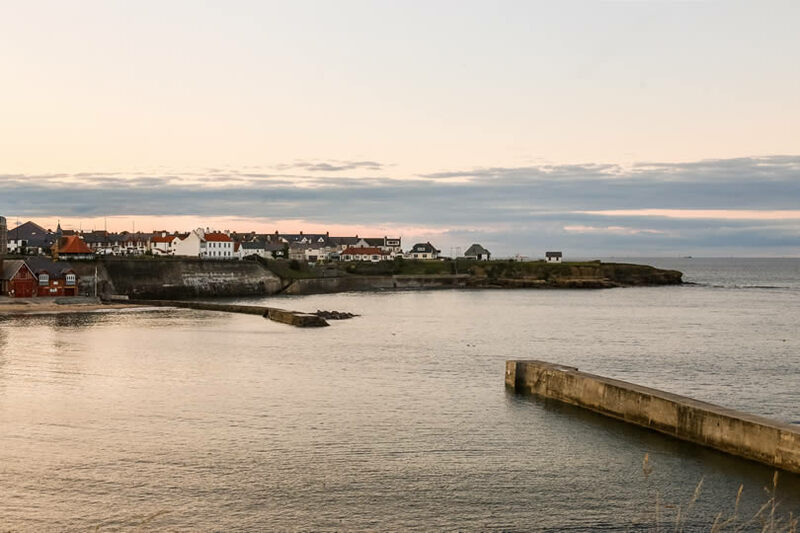 Why you would love it: Cullercoats is a sandy bay and beach flanked by two piers, making it a safe environment for family fun at the seaside. Let the kids play with their buckets and spades before visiting the RNLI Lifeboat Station which dates back to the Victorian era. Don’t miss: The interpretation panels on the seafront that explain the history of Cullercoats back when it was a famous artists’ colony. 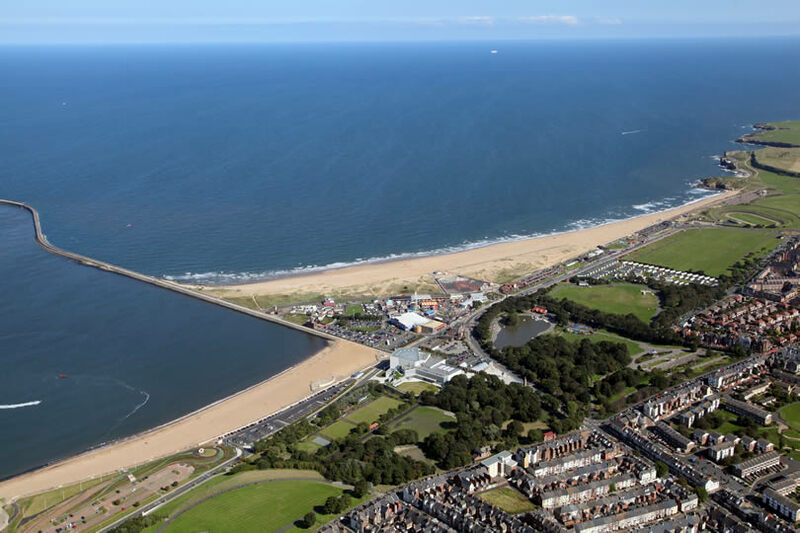 Why you would love it: South Shields is just a short distance from Newcastle making this resort a popular weekend destination for locals. South Shields has a long seafront complete with attractions for all ages. These include a steam railway and boating lake. The town is also part of the Hadrian’s Wall World Heritage Site. Don’t miss: Exploring the life and times of author Catherine Cookson in the town’s museum. 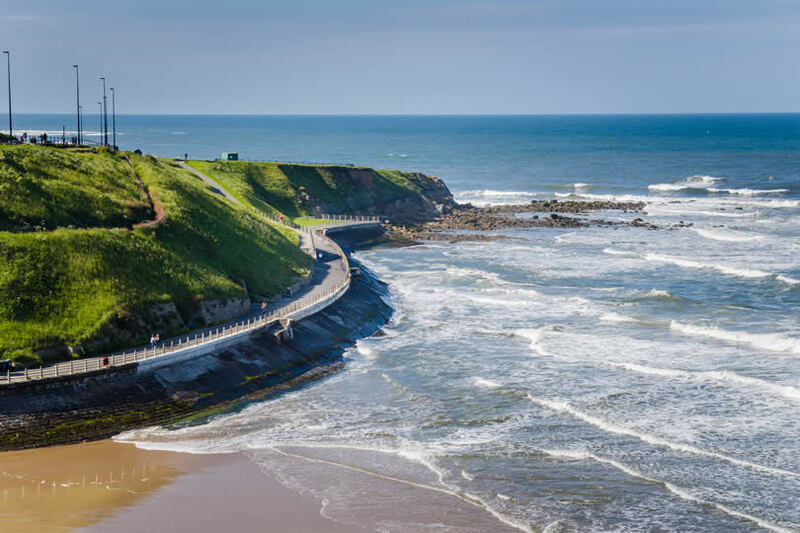 Why you would love it: Tynemouth is a hidden and often overlooked gem just a short distance from Newcastle city centre. Travel here by metro and admire the beautiful Victorian station with its weekend market. Longsands Beach is a long stretch of golden sand overlooked by Tynemouth Priory and Castle. Don’t miss: Enjoying a spot of retail therapy in the quirky shops of Front Street. 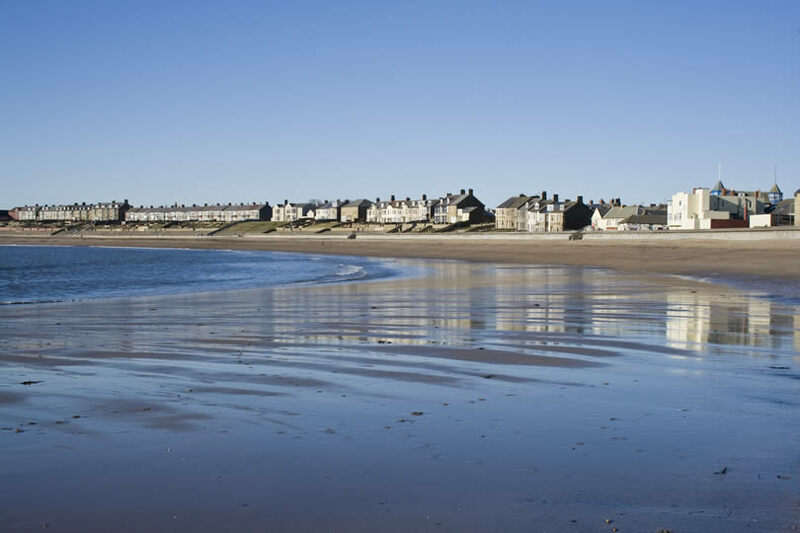 Why you would love it: The main attraction at Whitley Bay is its award-winning beach. With its wide open vistas it’s the perfect place for long seaside walks whatever the season. In the summer it comes alive with families enjoying paddling in the shallows, building sandcastles and tucking into their picnics. 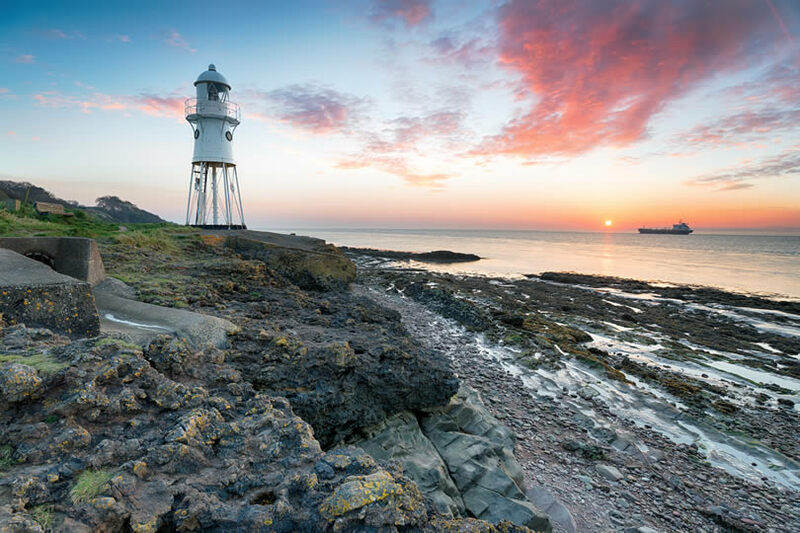 Don’t miss: Waiting for low tide and pay a visit to St Mary’s Lighthouse. Why you would love it: This must be one of the most iconic seaside resorts in Britain. It is brimming with bucket and spade fun while Blackpool Pleasure Beach and Blackpool Tower are full of attractions whatever your age. A new arrival is the Comedy Carpet, it would take you hours to read all the jokes. Don’t miss: The Blackpool Illuminations once the sun goes down. Every year they get more elaborate. 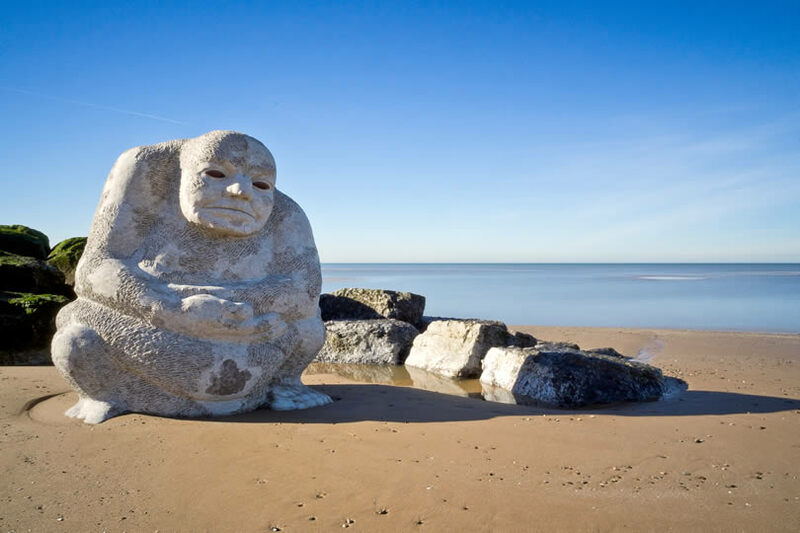 Why you would love it: Locals say that Cleveleys has the best beach on Lancashire’s Fylde Coastline. Wyre’s Mythic Coast Artwork lines the promenade with some intriguing pieces even spilling over onto the sand. Whatever your age, you’ll find plenty of gentle fun in this quiet seaside resort. Don’t miss: Seeing the inner workings of a 18th-century windmill with a visit to Marsh Mill. Why you would love it: Lytham St Annes gives you a quiet contrast to the bright lights of Blackpool just along the coast. Try your hand at mini-links golf before enjoying the attractions on Lytham St Annes Pier. Be sure to visit Lytham Hall, a beautiful Georgian house set in many acres of parkland. 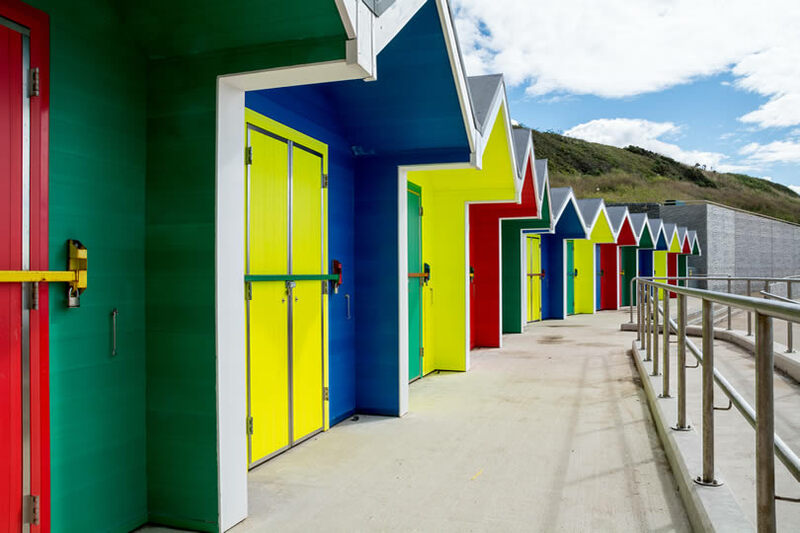 Don’t miss: Booking one of the stylish and comfortable modern beach huts for your day at the seaside. 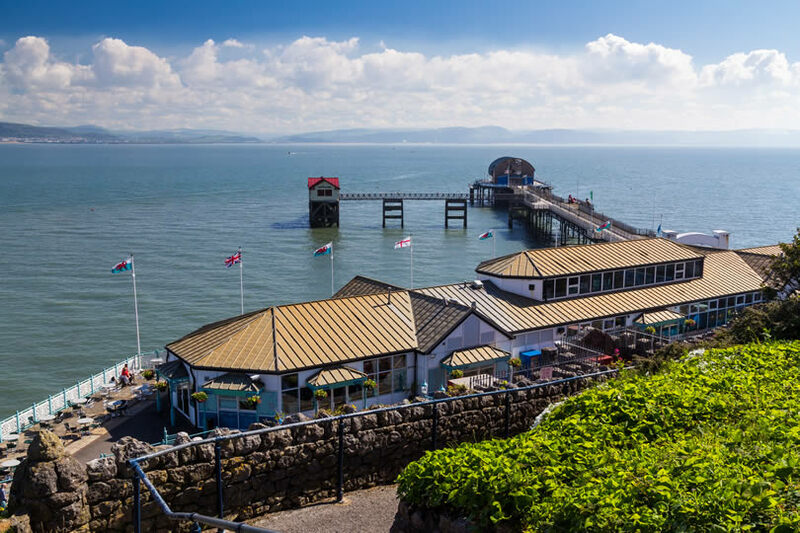 Why you would love it: Long sandy beaches and wonderful views across Morecambe Bay to the Lake District are just two of this resort’s attractions. Its long, flat promenade is ideal for strolling, jogging and cycling. Morecambe’s original harbour has been transformed into the Stone Jetty and dotted with award-winning art installations. Don’t miss: The statue of entertainer Eric Morecambe, the town’s most famous son. 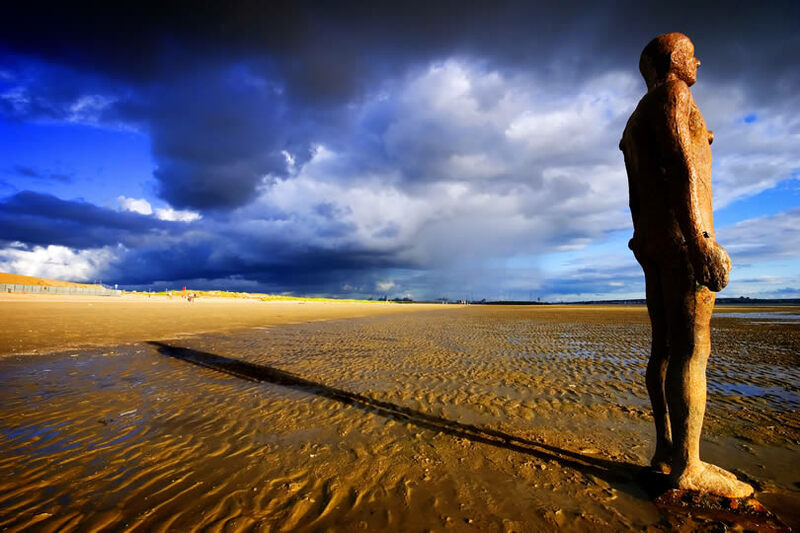 Why you would love it: Crosby Beach just outside Liverpool is a long stretch of sand gently lapped by the ocean. It is the perfect spot for outdoor enthusiasts who can swim in the sea, walk the coastal path or enjoy part of the National Cycle Path. Don’t miss: Antony Gormley’s art installation on the beach entitled ‘Another Place’. It’s composed of 100 iron men staring emotionlessly out to sea. Why you would love it: New Brighton is a fascinating mix of old and new with beaches that sweep around the bay between 19th-century fortifications. One beach is home to the famous community-built driftwood boat, nicknamed ‘The Black Pearl’. Children can have hours of exciting fun acting out pirate adventures. Don’t miss: Exploring The Aviation Archaeology Museum housed in Fort Perch Rock. 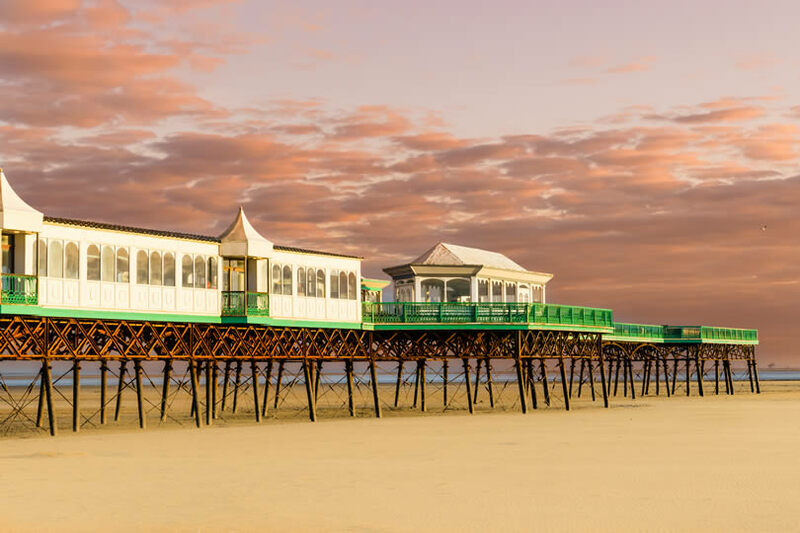 Why you would love it: Southport is a classic British seaside resort with many miles of coastline and family-friendly beaches perfect for swimming and sunbathing. 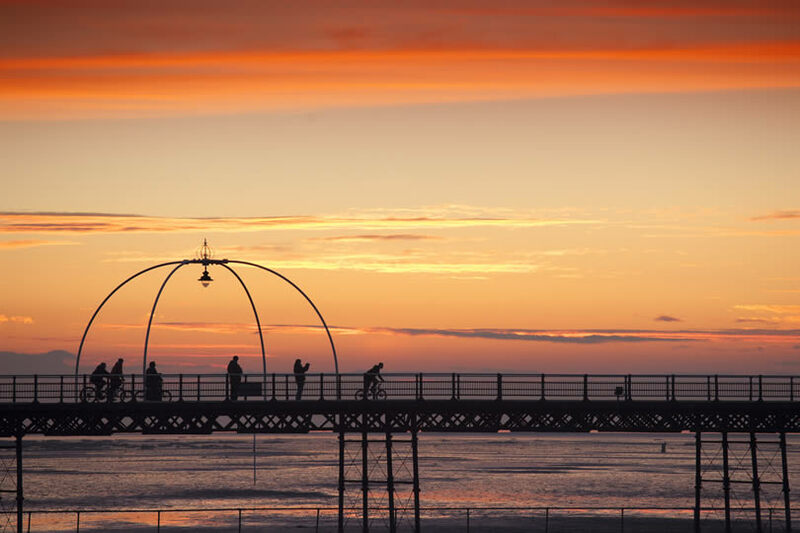 Southport Pier is one of the longest in England and the perfect spot for a bracing walk in the sea air. Between them, Southport Pleasure Land and Southport Botanical Garden offer attractions for all ages. Don’t miss: The Crosby Lakeside Adventure Centre, especially if you’re an adrenaline junkie. 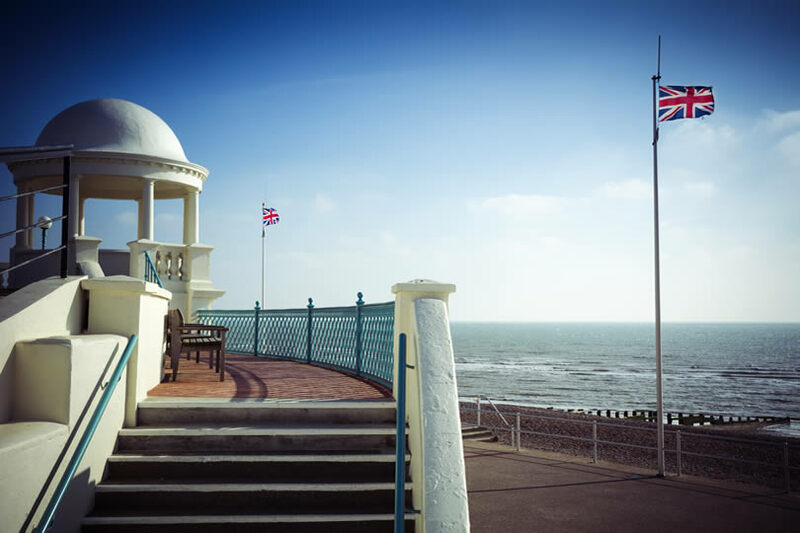 Why you would love it: From striking modernist architecture to the birthplace of modern motor-racing, Bexhill-on-Sea’s gentle character belies its history. Britain’s first automobile race was held here in 1902 while the De La Warr Pavilion is considered by many the finest modernist building in Britain. Don’t miss: An early morning jog, or more leisurely stroll, along the town’s long and straight promenade. 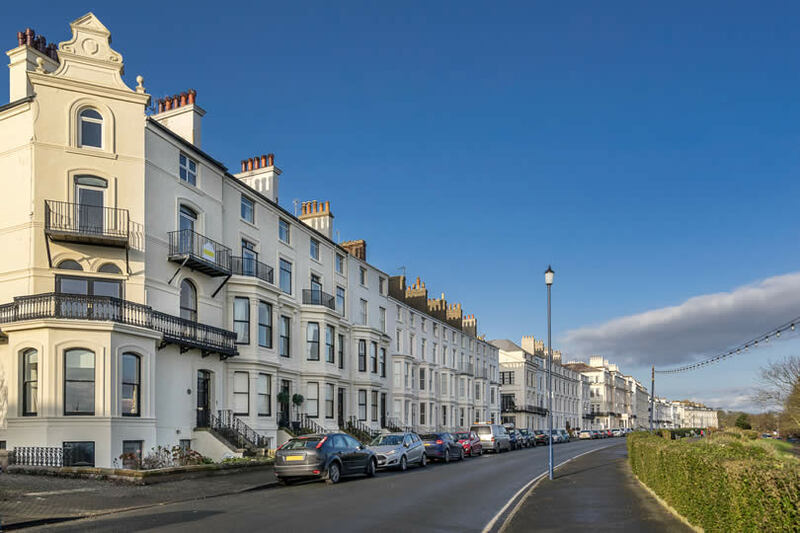 Why you would love it: The bustling resort of Brighton with gentler Hove lying alongside has drawn visitors from London and the south-east since the Prince Regent made the area fashionable. Enjoy a bracing walk and tasty fish and chips on the Brighton Pier before touring the oriental extravaganza that’s the Brighton Pavilion. Don’t miss: Browsing the antique shops, jewellers and boutiques in the narrow, cobbled Brighton Lanes. 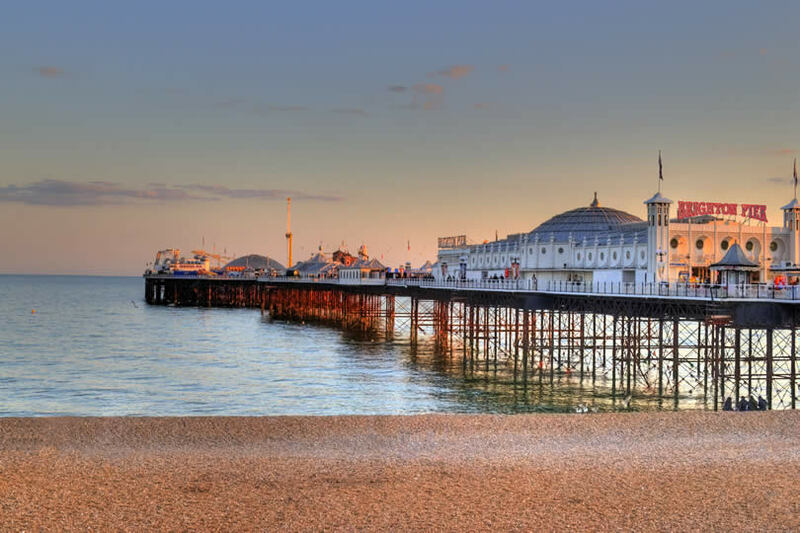 Why you would love it: Eastbourne is one of Britain’s sunniest spots, reason enough to pay it a visit but with its gentle charm it entices visitors back again and again. 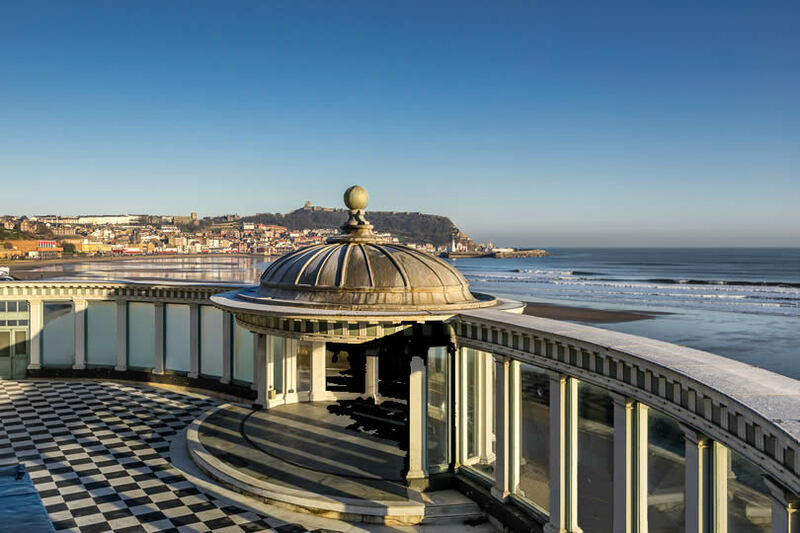 Explore the newly rebuilt pier, splash in the clean sea water or enjoy an open-air concert in the Victorian bandstand. Don’t miss: Beachy Head, it’s just a short drive away. On a clear day, you might catch a glimpse of France. 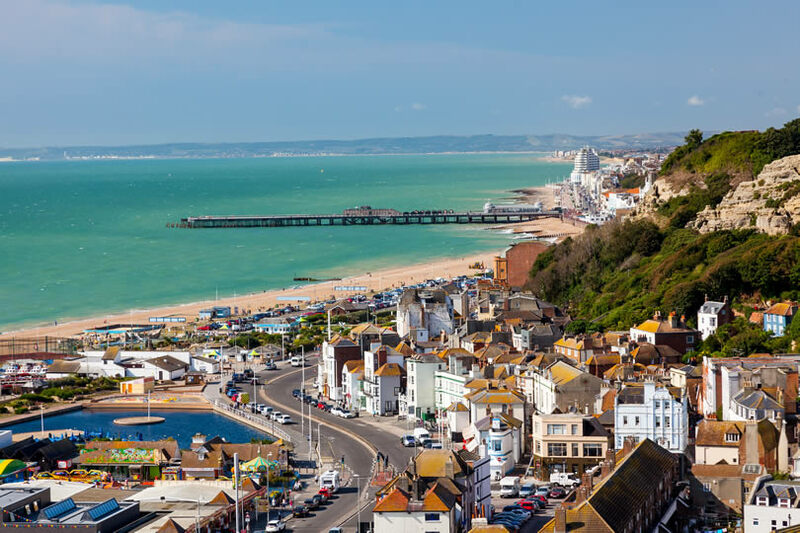 Why you would love it: Hastings is a popular seaside resort where the old meets the new. 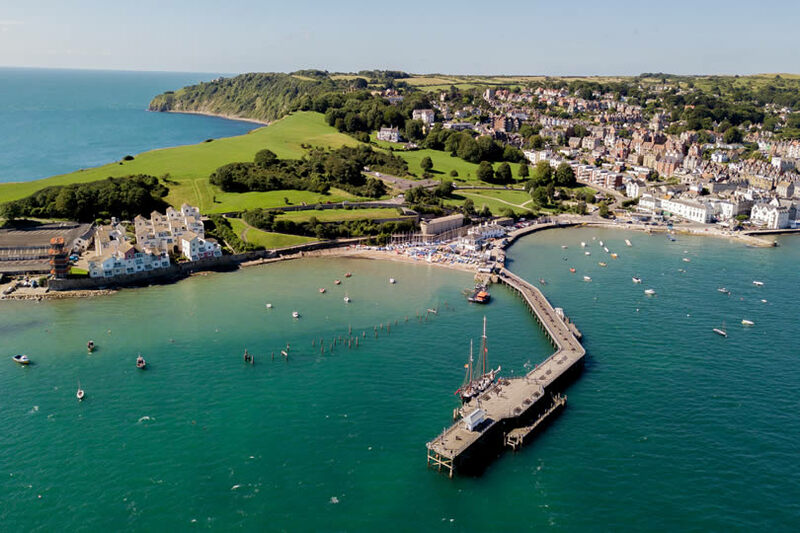 Visit the interactive visitor centre on the newly rebuilt pier before strolling along the promenade to Old Hastings with its tall, wooden net sheds and colourful fishing boats. Don’t miss: Taking the funicular railway from the old town up to the ruins of Hastings Castle on the clifftop. Why you would love it: As a former member of the Cinque Ports, Seaford, as its name suggests, has always had a close relationship with the sea. Take a self-guided heritage trail through the town or visit the museum housed in an old Martello Tower. Don’t miss: Heading up to Seaford Head for magnificent views of the Seven Sisters Cliffs. 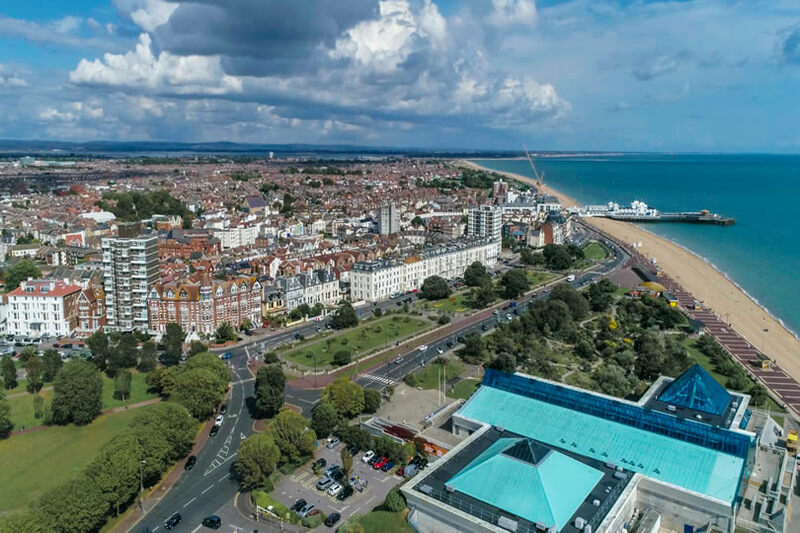 Why you would love it: Southsea is a seafront district of Portsmouth that is always buzzing with life yet manages to retain a local atmosphere. With its entertainment and shopping selections, Gunwharf Quays is busy day and evening while the beach and promenade are dominated by Southsea Castle. Don’t miss: Following the blue plaque trail of former residents that include Arthur Conan Doyle, Rudyard Kipling and Peter Sellers. 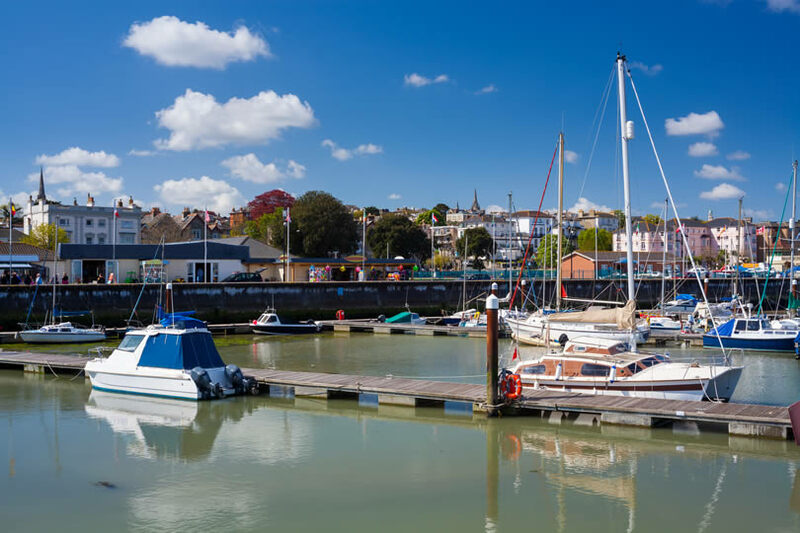 Why you would love it: With its ferry terminals, Ryde is known as the ‘gateway to the Isle of Wight’. It is the island’s largest town and a popular holiday destination. Sandy beaches flank the harbour and terminal while attractions for all ages include ice and bowling rinks, a funfair and a canoe lake. Don’t miss: The grounds and picturesque follies of Appley Towers. 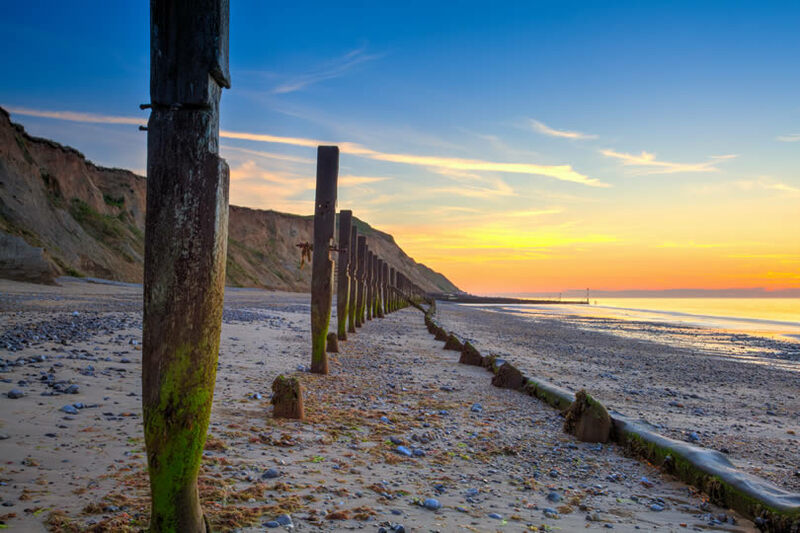 Why you would love it: Sitting in a sheltered bay on the south coast of the Isle of Wight, Sandown enjoys a long sandy beach perfect for bucket and spade holidays and all the traditional fun of a seaside pier. A definite must here is a visit to the Isle of Wight Zoo housed in Sandown’s disused fort. Don’t miss: The interactive Dinosaur Museum which charts the island’s history of fossil finds. 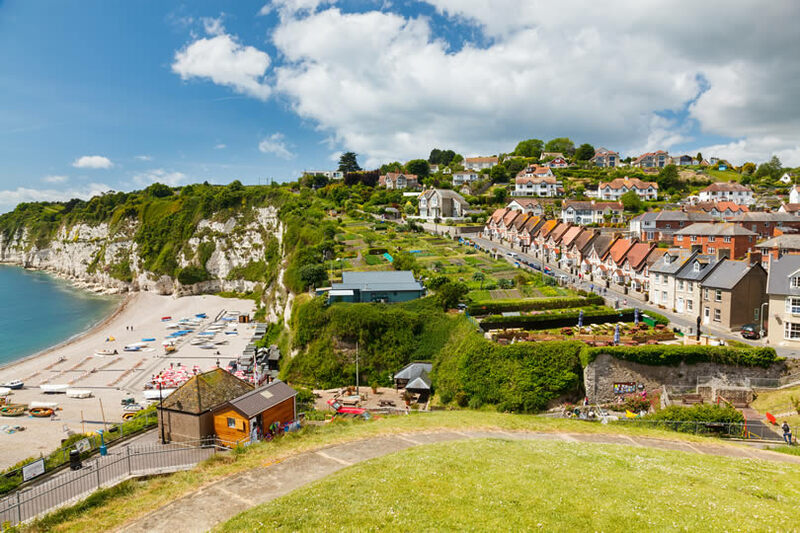 Why you would love it: Despite being a popular seaside resort, Shanklin still manages to retain the sleepy quality of a 18th-century village. 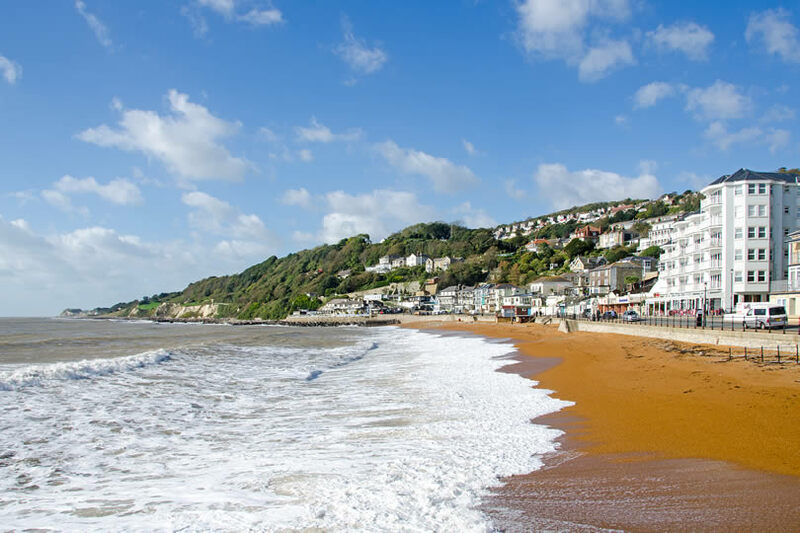 Shanklin is steeped in history while its family-friendly beach features pristine golden sands and a huge choice of watersport activities. Don’t miss: The curious quirk in the landscape between Shanklin and Ventnor that is known as the Devil’s Chimney. Why you would love it: St Helens is the perfect base for exploring the east coast of the Isle of Wight. Charming homes cluster around its village green said to be one of the largest in the UK. Explore the ruins of Old St Helens Church, destroyed by a wave in the 18th-century or picnic among the sand dunes that line the beach. 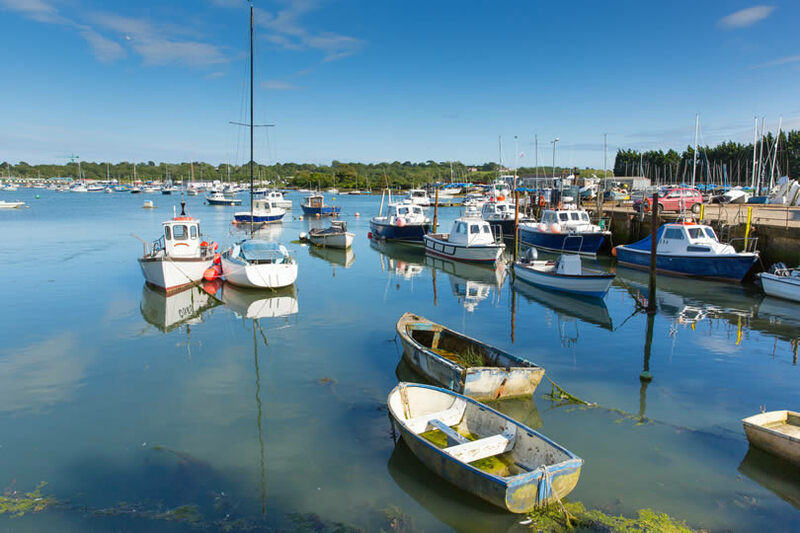 Don’t miss: Taking a scenic boat or fishing trip from Bembridge Harbour. Why you would love it: Thanks to its unique micro-climate, Ventnor was once a famous Victorian health resort. The micro-climate still exists, giving plenty of opportunities for you to enjoy Ventnor’s beaches. The spectacular Cascade Gardens cascade down the cliff towards the harbour. 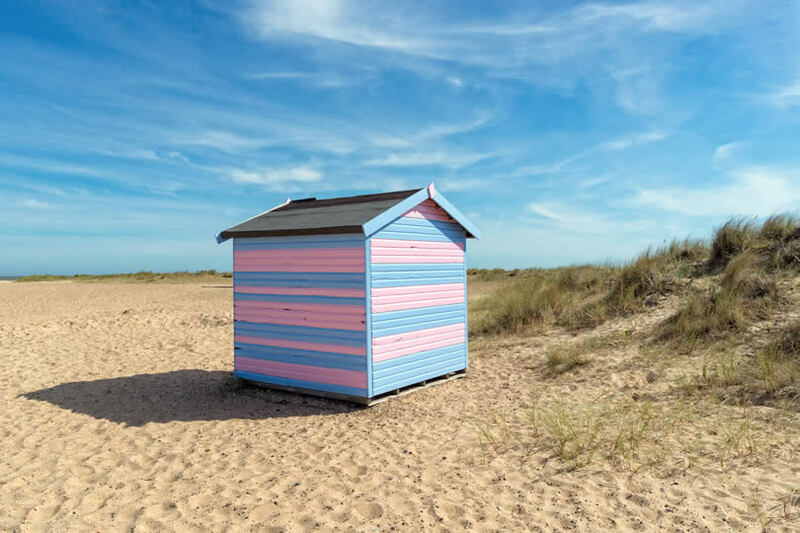 Don’t miss: Hiring a colourful beach hut. They’re converted from old Victorian bathing machines. 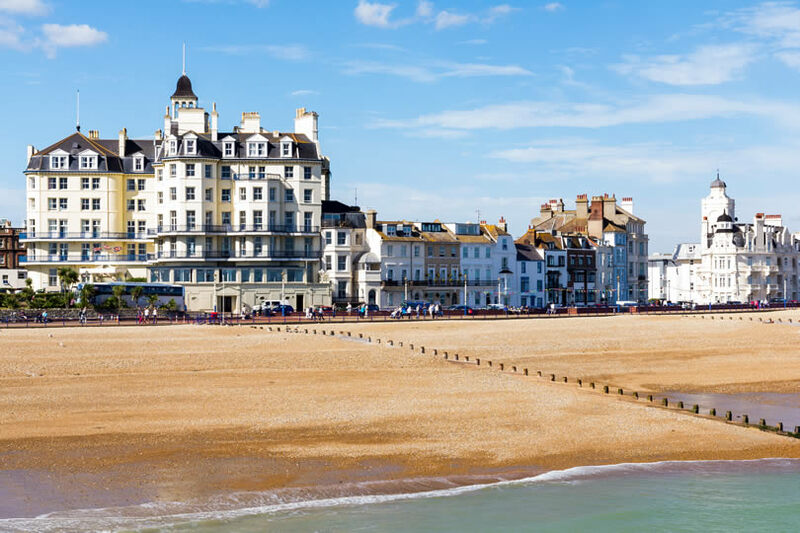 Why you would love it: Charles Dickens connections, seven sandy beaches and retro ice cream parlours are just some of the charms of this traditional seaside resort. 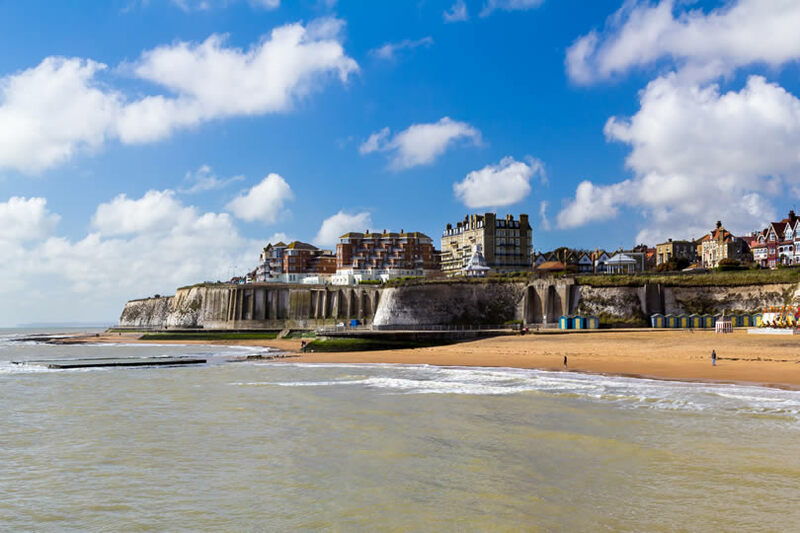 If you’re a sailing enthusiast, Broadstairs is also for you. Don’t miss: The Dickens House Museum and Bleak House, the cliff top building where Charles Dickens regularly spent his holidays and wrote much of David Copperfield. 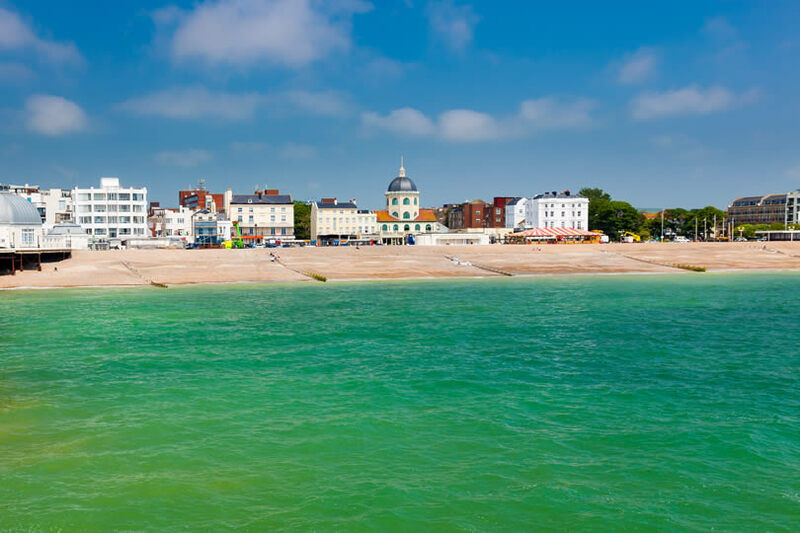 Why you would love it: Deal is a delightful Kentish seaside resort with its own fort, fisherman’s pier and, of course, plenty of beachside fun. From smuggling to submarines, Deal’s maritime history can be explored in the four-storey Timeball Tower. Don’t miss: Admiring the Duke of Wellington’s boots which are on show in the bedroom where he died in Walmer Castle. 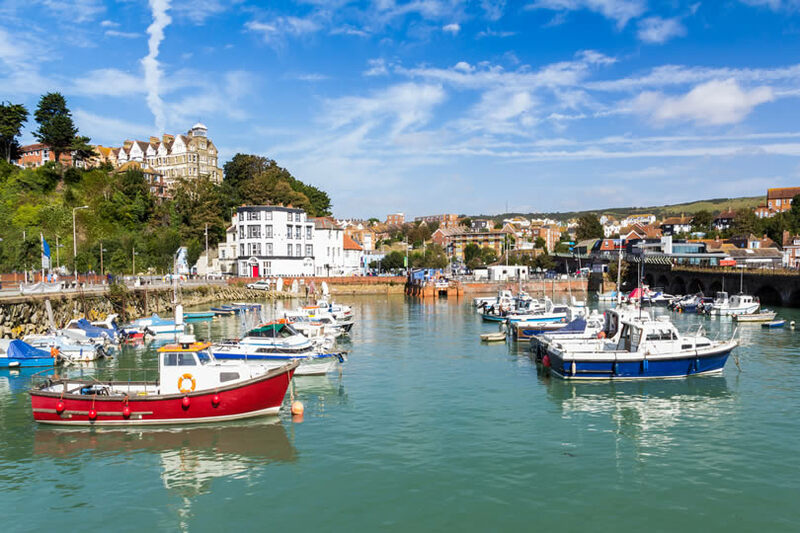 Why you would love it: Holidaymakers have flocked to Folkestone since the days of Queen Victoria and there is plenty of Victorian architecture to admire in the town. You’ll also discover Martello towers dotting the beach, a long grassy promenade and the bustle of a working harbour. 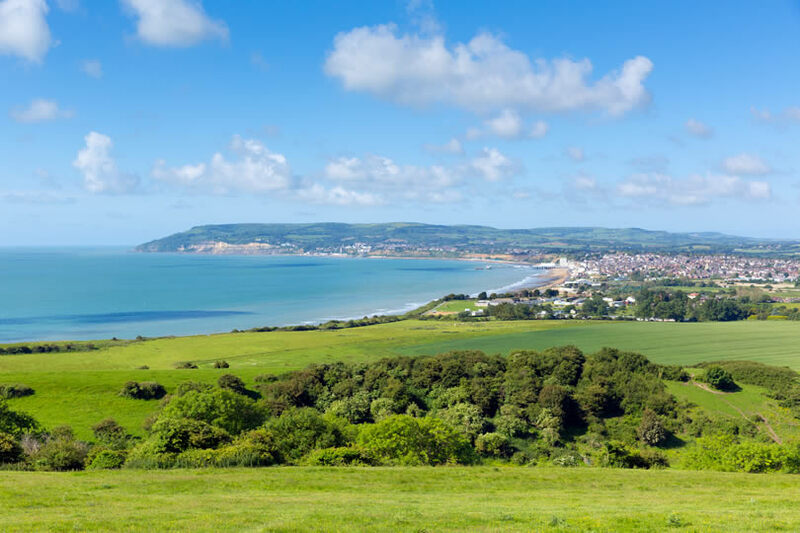 Don’t miss: A visit to the award-winning Lower Leas Coastal Park. You’ll find entertainment zones for all ages. 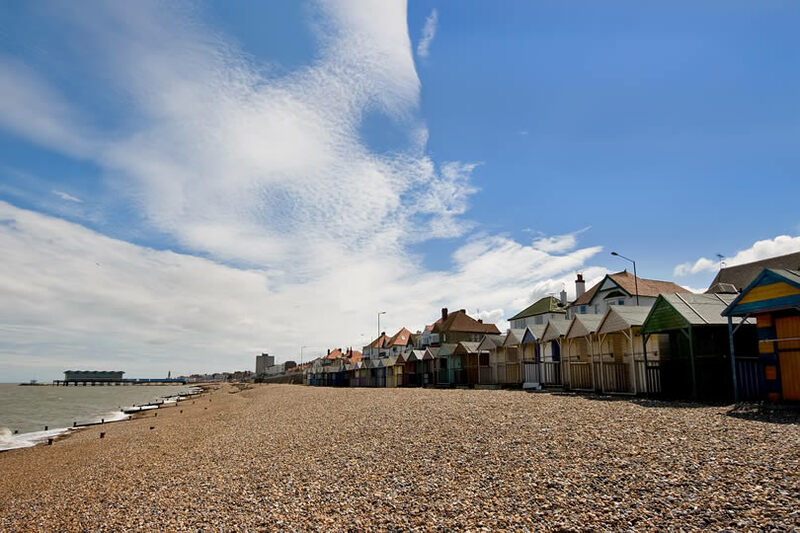 Why you would love it: Herne Bay is made up of two miles of coastline, featuring both sandy and shingle beaches and like many Kentish resort towns was a popular Victorian holiday destination. Its long pier has been restored to offer plenty of traditional fun for all ages. Don’t miss: The clock tower on Central Parade. Dating from 1837, it’s the oldest purpose-built clock tower in the world. 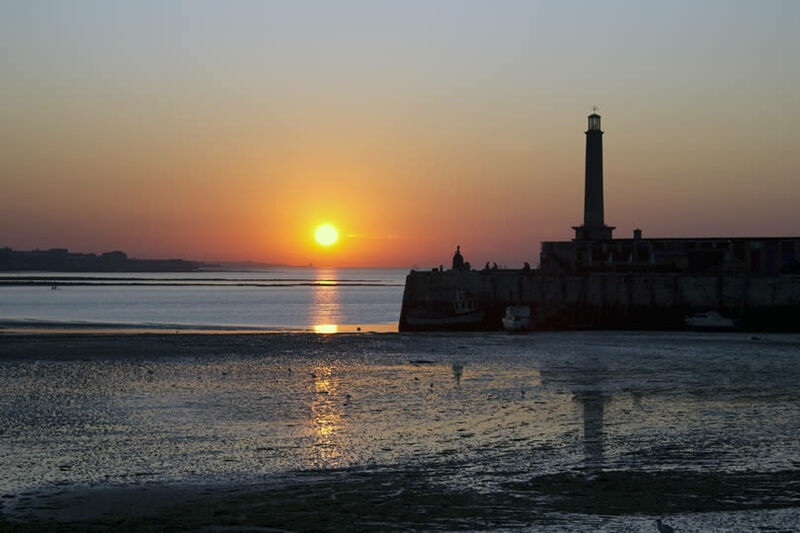 Why you would love it: With the construction of the Turner Art Gallery and the reopening of Dreamland, Margate has become the hip place to be where a real seaside atmosphere blends in with beautiful historic buildings and a vibrant foodie scene. Don’t miss: Margate’s most famous mystery. The underground Shell Grotto was discovered in 1835 but no one knows why or when it was built. Sometime in the last 3,000 years is the best guess. 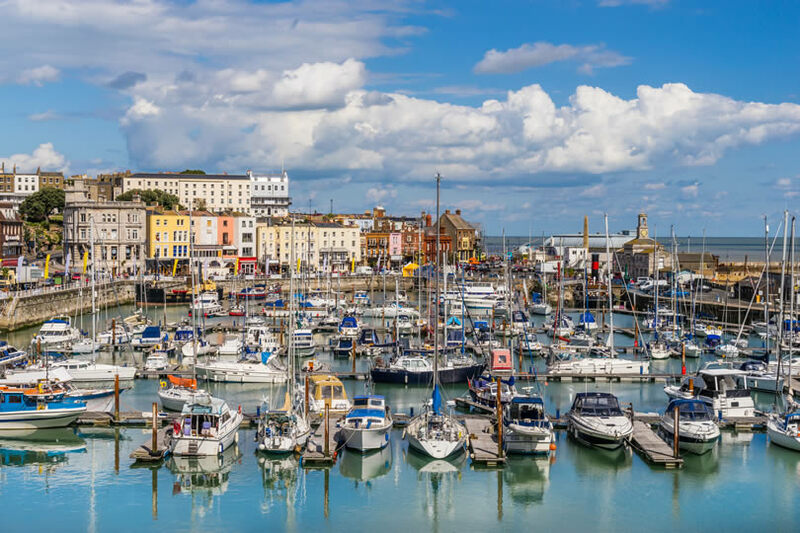 Why you would love it: Ramsgate reached its heydey in the late Victorian period but recent years have seen much of its 19th and early 20th-century architecture restored to full splendour. Ramsgate has a long sandy beach and museums dedicated to both nautical history and the computer. Don’t miss: Popping into the opulent toilets at the Royal Victoria Pavilion, a beachside pub and restaurant with an interior to rival an elegant cruise ship. 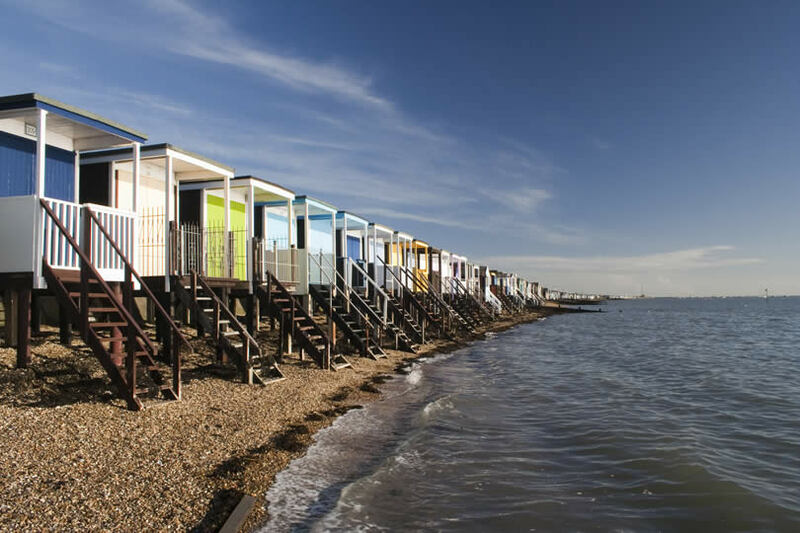 Why you would love it: Whitstable, home to the British oyster, sits near where the Thames Estuary meets the sea and has a Dickensian charm all of its own. A busy working fishing port is flanked by shingle beaches, wood-covered inns and quirky beach huts. Don’t miss: Dining out on oysters. Whitstable is known for its eclectic choice of fish restaurants. Why you would love it: If you like wide open spaces at your holiday resort then Littlehampton is for you. It has two award-winning beaches and a large green overlooking them. Sitting right on the seafront is the surreal architecture of the East Beach Café, the perfect place to dine on locally caught seafood. Don’t miss: Resting your legs on Britain’s longest bench made from slats of recycled hardwood. 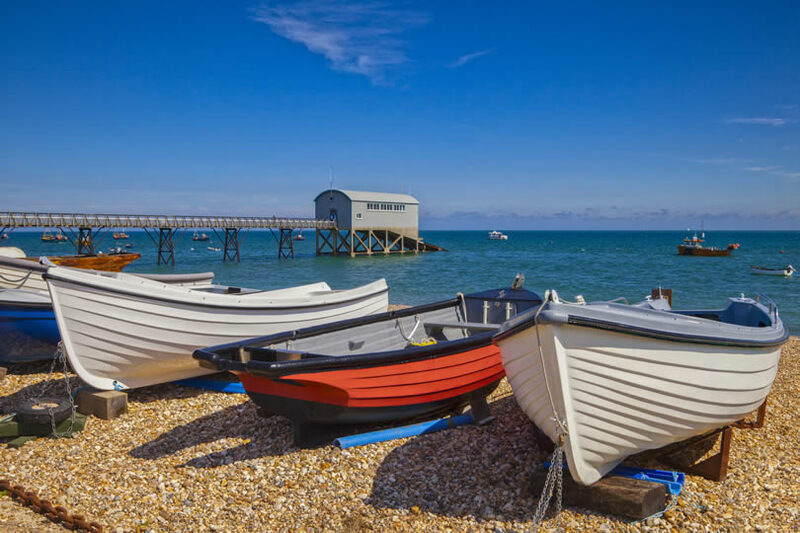 Why you would love it: If you’re looking for a quiet but traditional resort with plenty of outdoor attractions then you’ll love Selsey. 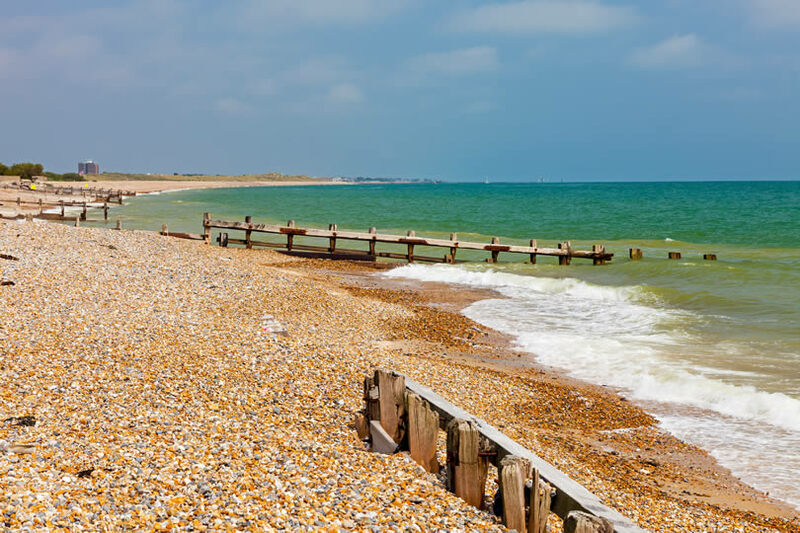 As well as clean, sandy beaches and clear seas, Selsey also has award-winning open spaces such as East Beach Ponds. Take some time out to visit the Lifeboat Station with its museum. Don’t miss: A chance to scuba-dive off the coastline. You can explore shipwrecks, canyons and underwater cliffs. 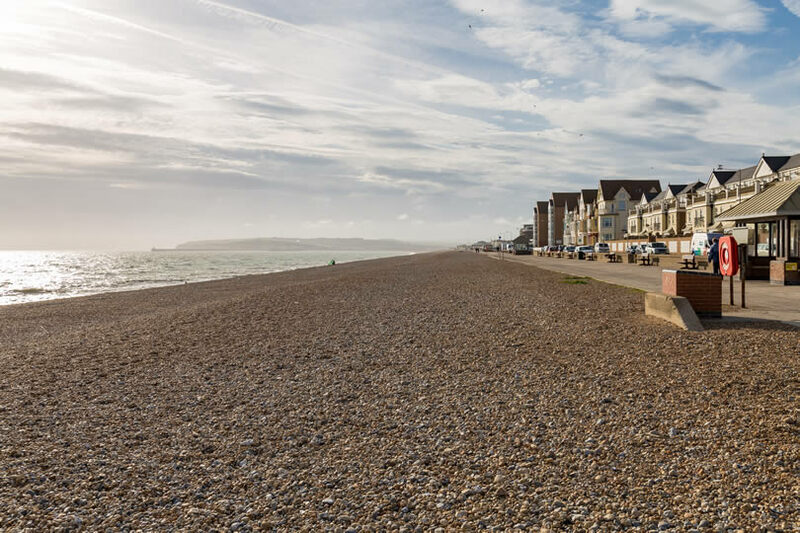 Why you would love it: A fishing heritage, an endless beach and an eclectic mix of open-air sculptures all give a fascinating edge to the traditional seaside town of Worthing. It’s also the perfect base for exploring Sussex. Don’t miss: Exploring the fun of Worthing Pier. Built in 1862, the pier has acquired some attractive Art Deco buildings over the decades since. 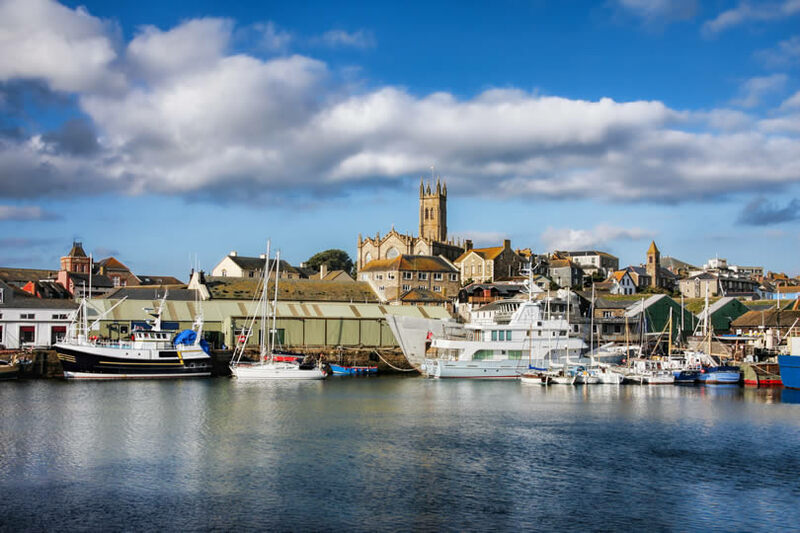 Why you would love it: With the third-largest natural deep-water harbour in the world it comes as no surprise that Falmouth was England’s first working port. The town’s history has always been focused on the sea and this is showcased in the fascinating National Maritime Museum at Discovery Quay. Don’t miss: A chance to take to the water for a high-speed RIB experience or a gentle day’s sailing on a yacht. 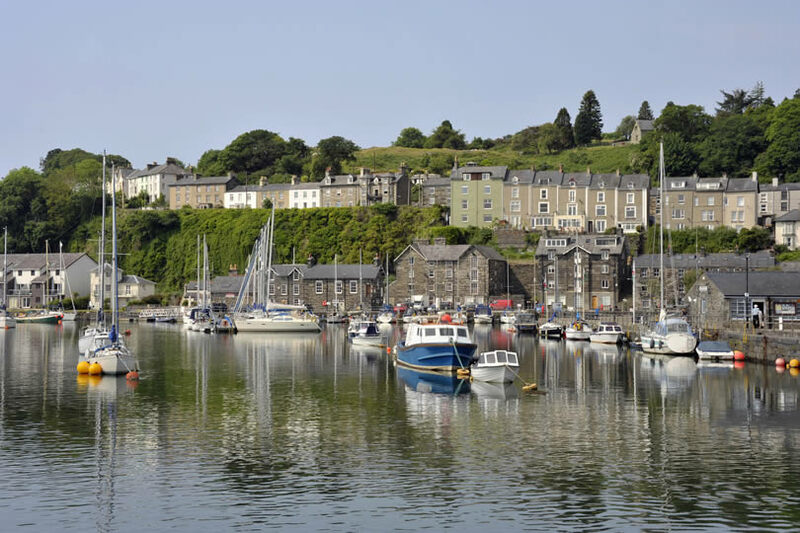 Why you would love it: The port of Fowey located on the south-west peninsula of Cornwall is rich in maritime history. 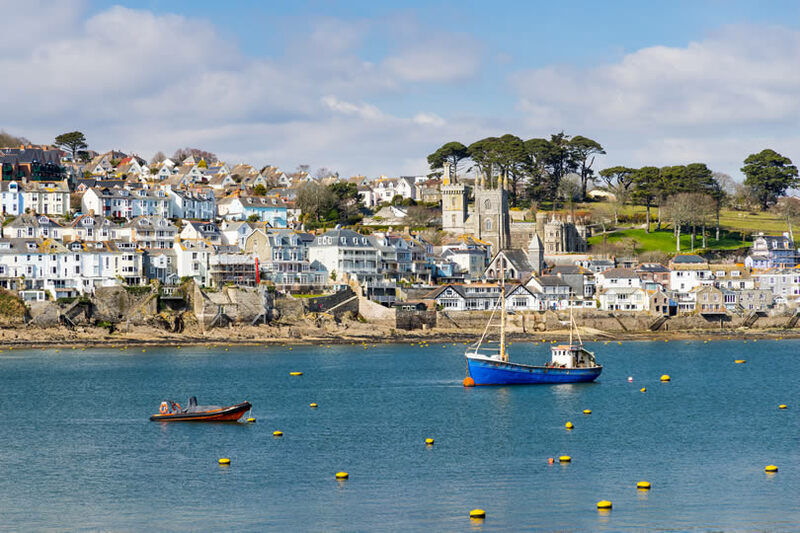 The River Fowey meanders gently through the town, branching off into little streams while a pretty mix of stately Victorian villas and quaint fishermen’s cottages line the steep streets. Don’t miss: A visit to Fowey Aquarium. All of the exhibits are native to British waters and donated to the aquarium by local fishermen. 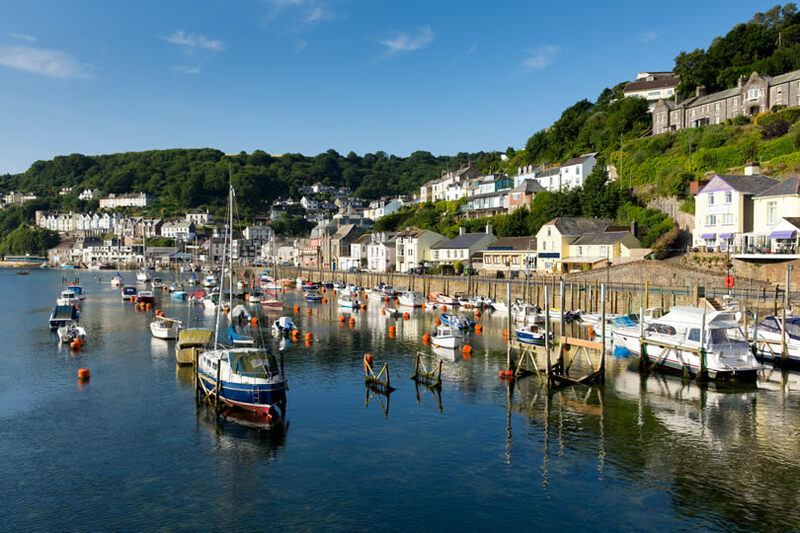 Why you would love it: Looe is an olde-world slice of Cornish paradise with clear turquoise waters that rival the Caribbean along with sandy beaches that offer activities for all ages. Looe also has a long smuggling history, find out all about it in the Old Guildhall Museum and Gaol. Don’t miss: Crabbing from the harbour wall or simply pottering about with a net in the rockpools. Why you would love it: The Cornish town of Marazion is dominated by the splendid St Michael’s Mount which appears to rise out of the sea just off the coastline. You’ll enjoy its family-safe beaches and watersports such as kite and windsurfing. Don’t miss: Walking the causeway to St Michael’s Mount. Keep an eye on the clock or you might have to get the boat back. 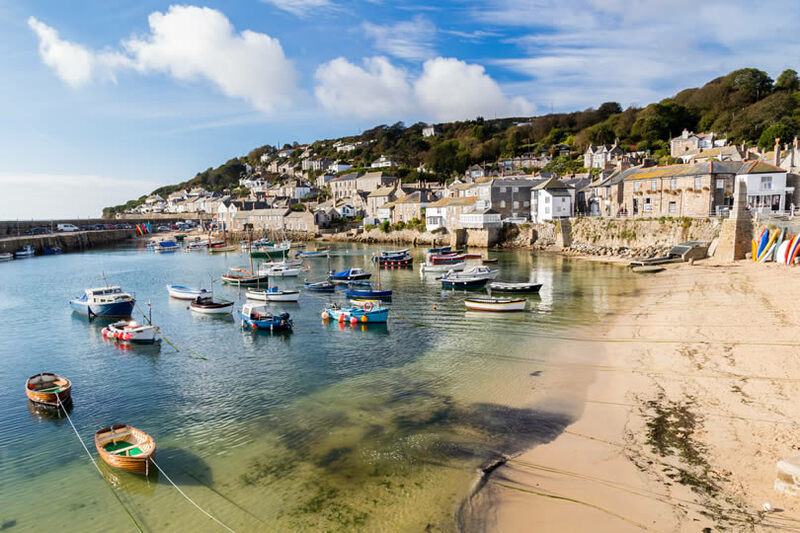 Why you would love it: Mousehole is a tiny fishing village in west Cornwall. It’s maintained its original picturesque charm with small cottages and narrow streets huddled around the harbour. Just outside the harbour is a safe sandy beach. Don’t miss: An open-air performance at the nearby Minack Theatre. Make a real evening of it by packing a picnic. Why you would love it: Newquay is the surfing capital of the UK with its own laidback vibe. 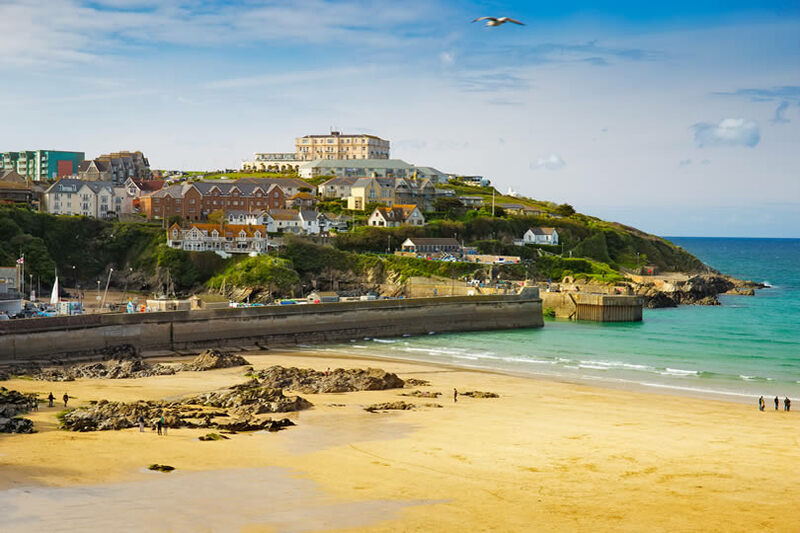 It’s not just great for surf lovers though, Newquay has plenty of attractions for all ages with seven miles of golden sandy beaches stretching out either side of the town. Don’t miss: Fistral Beach, known for its surfing. The large waves coming off the Atlantic make it perfect for international competitions while North Fistral features a surf museum. 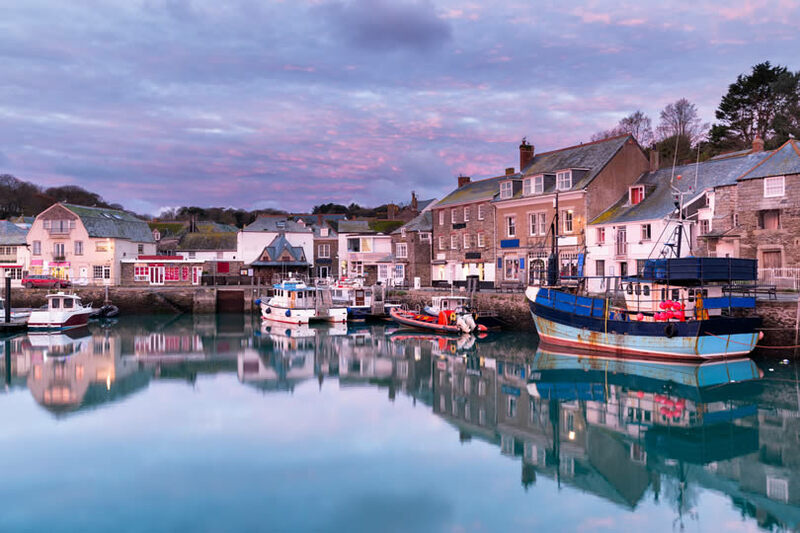 Why you would love it: A picturesque fishing port, a quaint colourful town and beautiful natural scenery are why visitors are drawn back to Padstow year after year. There are seven stunning beaches close by offering everything from bucket and spade fun to world-class surfing. Don’t miss: Padstow’s foodie scene, led by Rick Stein and his fish restaurants. Buy takeaway fish and chips and enjoy them by the harbour as the sun sets. 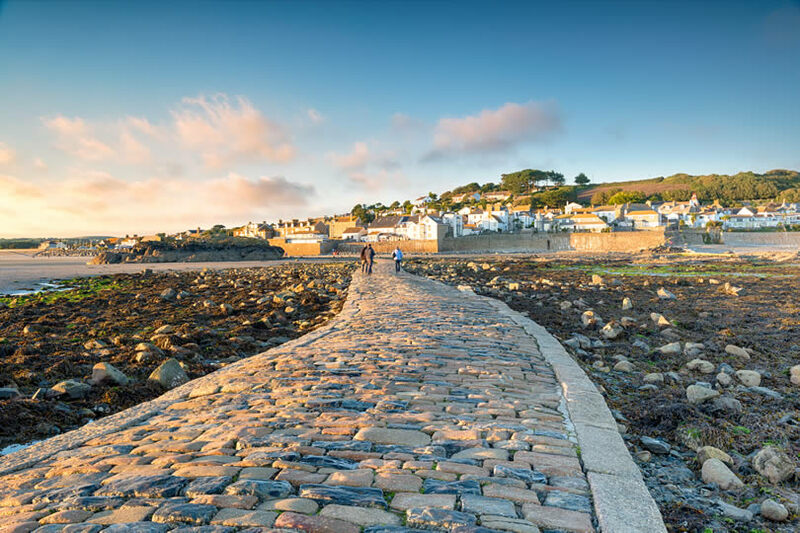 Why you would love it: Its tropical gardens and contemporary galleries are just two of the reasons you’ll love Penzance. The Newlyn Gallery has been showcasing modern British art for over 120 years while the Exchange, a newer addition holds exhibitions of international art as well as hosting live performances. Don’t miss: A stylish swim in Penzance’s newly restored Art Deco lido. This triangular-shaped pool lies next to the harbour at Battery Rocks. 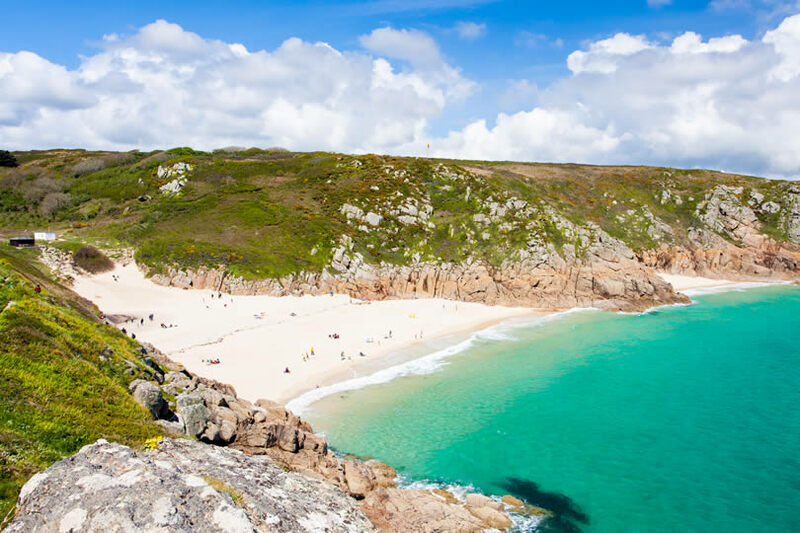 Why you would love it: Porthcurno is a tiny village not far from Land’s End. The cove is owned by the National Trust, meaning it has kept its unspoilt flavour. Children love paddling in the stream that crosses the beach while the producers of Poldark loved it so much it became Nampara Cove in the series. Don’t miss: Discovering the history of modern communication at Porthcurno’s Telegraph Museum. 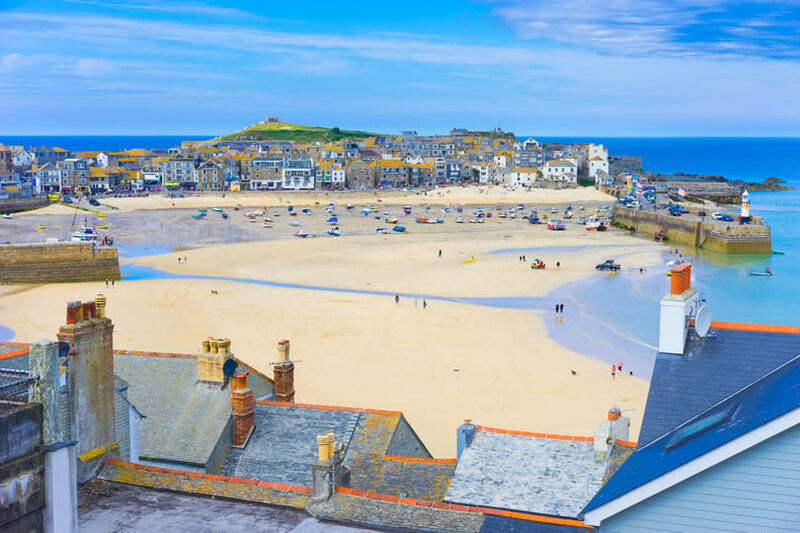 Why you would love it: Stunning scenery and a warm micro-climate, not to mention an art vibe that rivals London’s are just a few of the things you’ll love about St Ives. When lying on its white beaches with crystal waters lapping at your feet, you could be in the Caribbean rather than Cornwall. Don’t miss: The art in St Ives. Take time to dip into the Barbara Hepworth Museum and the Tate St Ives, just one of the UK’s four Tate galleries. 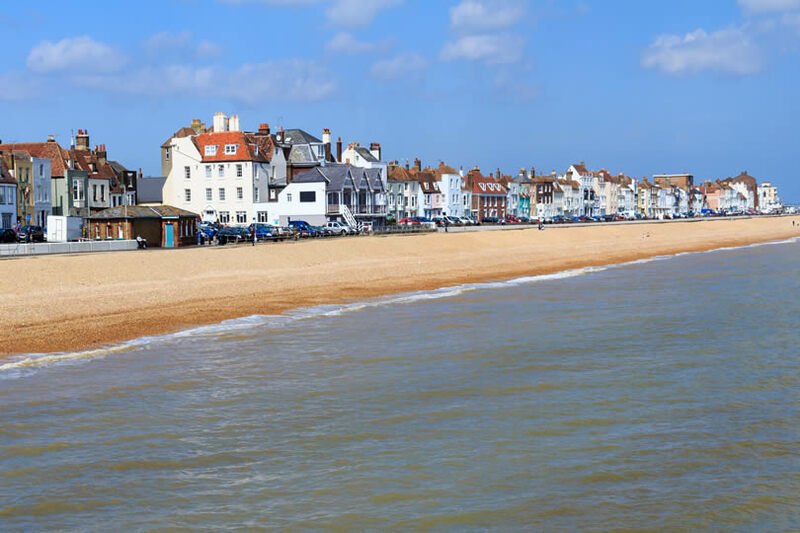 Why you would love it: The postcard-pretty village of Beer still boasts a small fleet of colourful fishing boats that operate from the shingle beach. If the sun gets too hot head underground at the Beer Quarry Caves where vaulted ceilings resemble a cathedral. First excavated by the Romans, stone from here was used to build Windsor Castle. Don’t miss: A visit to the planetarium at the Norman Lockyer Observatory. 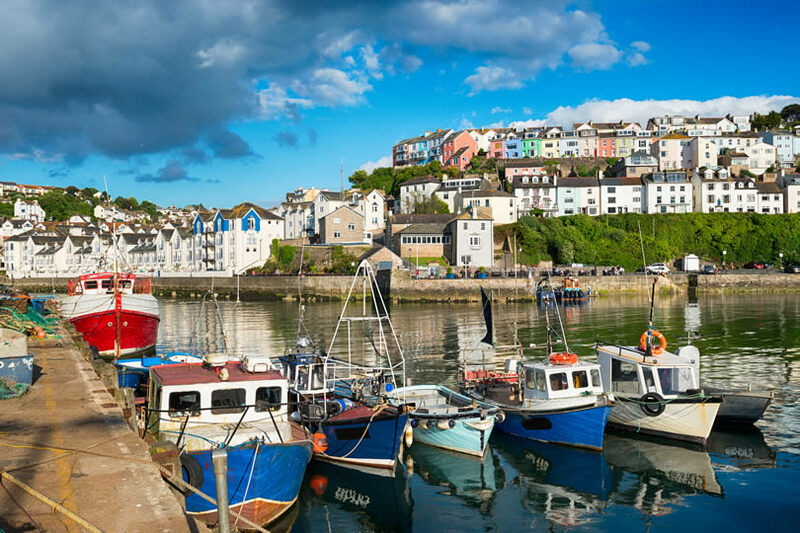 Why you would love it: Devon is full of charming fishing villages and Brixham is no exception. With so much fresh fish arriving daily, eating crunchy-battered fish with chips on the harbour wall is a must before enjoying a paddle at Breakwater Beach. Don’t miss: Going aboard the Golden Hind replica that’s moored in the harbour. Imagine you’re circumnavigating the globe with 80 shipmates. 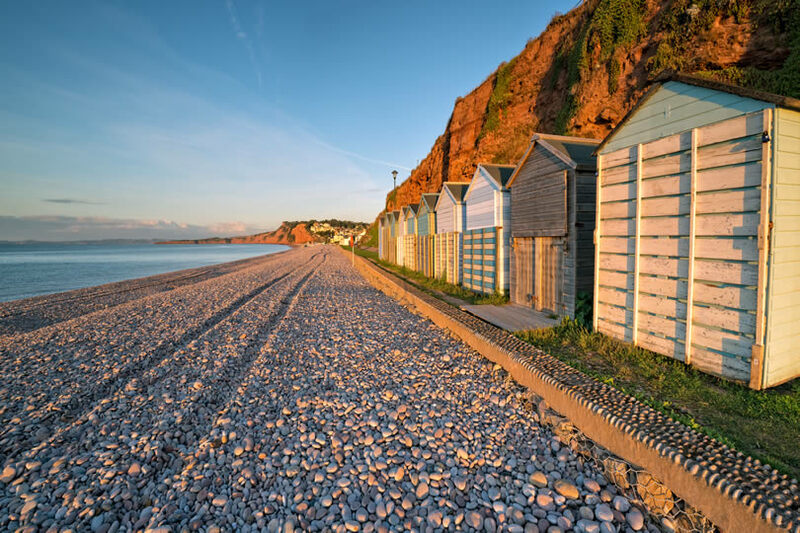 Why you would love it: Blue and white fishing boats dotted along the two-mile-long beach and the majestic cliffs of the Jurassic Coast make Budleigh Salterton a photogenic destination. This popular resort is just the right size to offer something for all ages from camping and golf to museums and adventure. Don’t miss: Visiting the Smugglers’ Den at the Fairlynch Museum and Arts Centre. 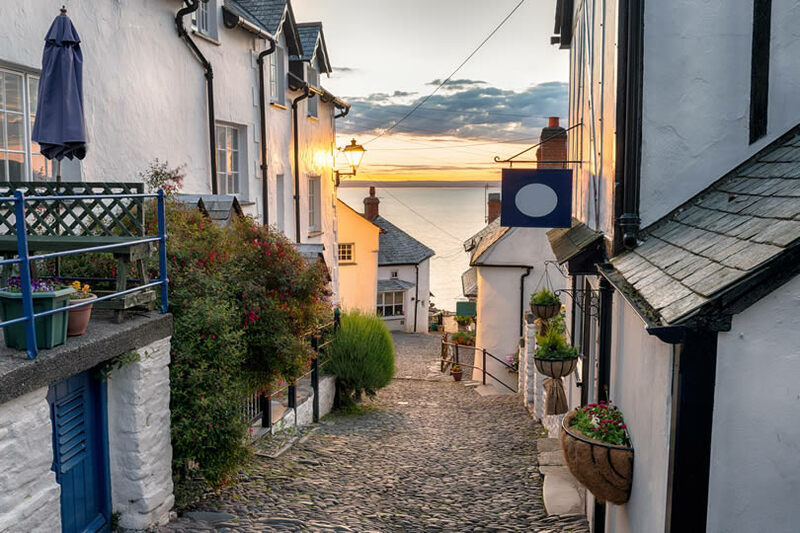 Why you would love it: With its steep cobbled streets, traffic-free Clovelly really is stuck in a time warp. Tuck into a Devon cream tea as you stroll from the visitor centre down to the tiny fishing cove and beach. Just be sure to wear flat shoes. Don’t miss: Making friends with the donkeys. They’re still used by the villagers for transporting goods. Don’t worry, they are well cared for. Why you would love it: The grand buildings of the Britannia Royal Naval College overlook the town of Dartmouth. 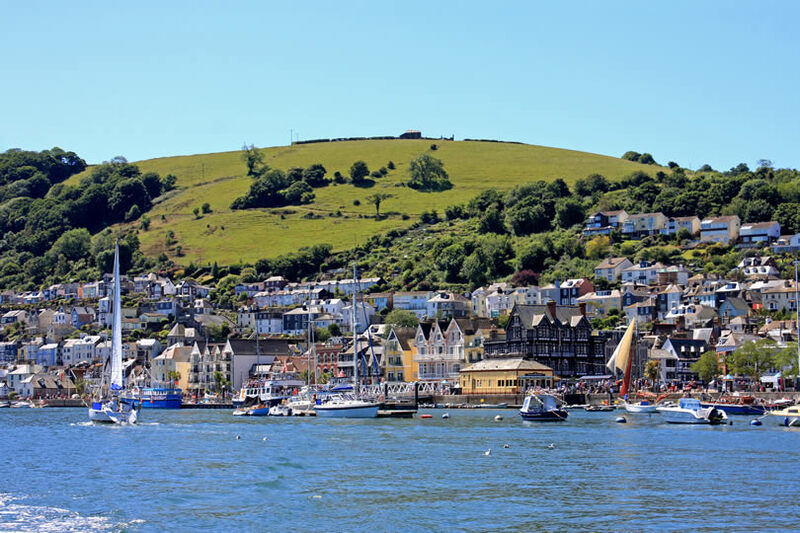 Dartmouth might be compact but it’s packed full of attractions while the green-forested hills and the River Dart flowing through the town into the sea, ensure that stunning views are everywhere you look. Don’t miss: Dartmouth Castle, an artillery fort that was first built in the 14th-century. 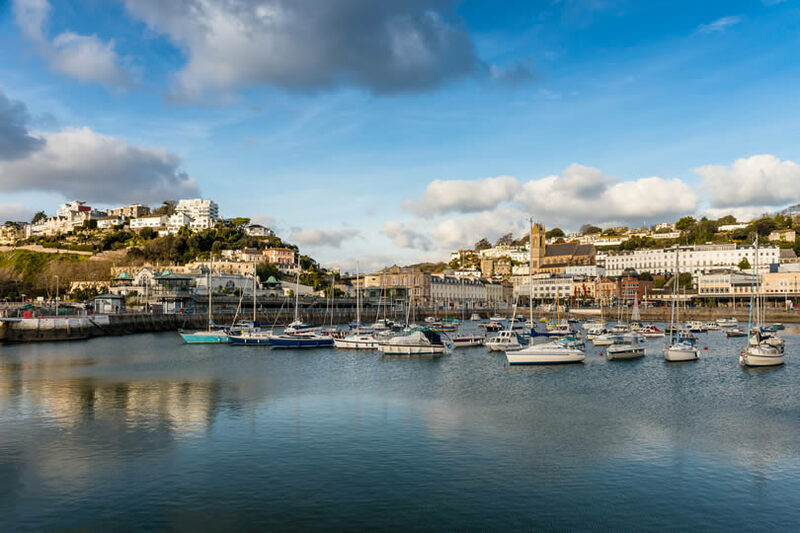 Why you would love it: Rugged cliffs and tumbling town lanes full of quaint houses and quirky shops, great seafood and a pretty harbour all entice visitors to Ilfracombe, the gateway to North Devon. 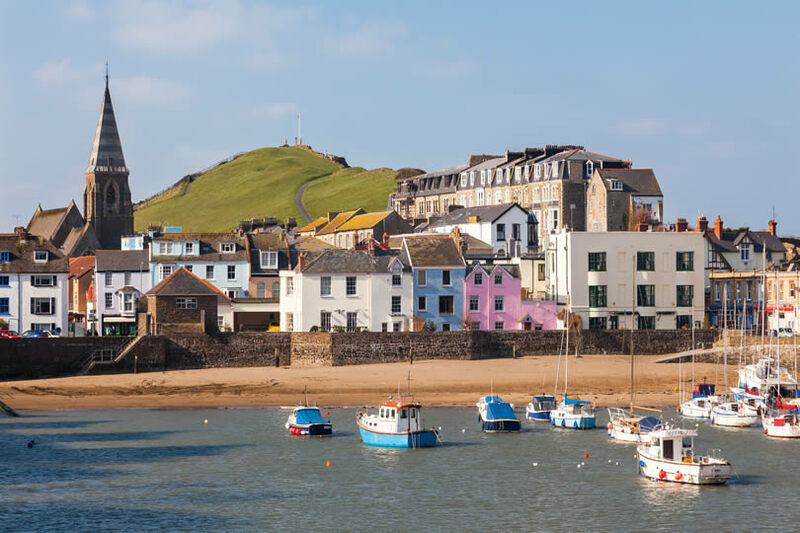 Ilfracombe is definitely a seaside resort that mixes the generations, with plenty to entertain everybody. Don’t miss: The unique Tunnels Beaches. A network of hand-carved tunnels leads you through the cliffs to sheltered beaches and a Victorian bathing pool. 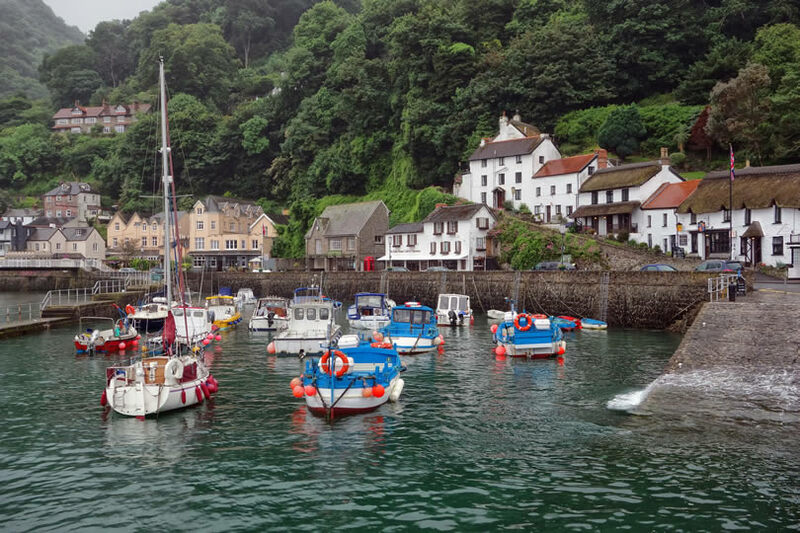 Why you would love it: Lying within Exmoor National Park, Lynmouth offers both stunning coastal and inland scenery. It makes a great base if you’re a fan of cliff top walks or moorland hiking. Don’t miss: A ride on the Funicular Cliff Lift that takes you from Lynmouth to the town of Lynton that lies at the top of the cliff. 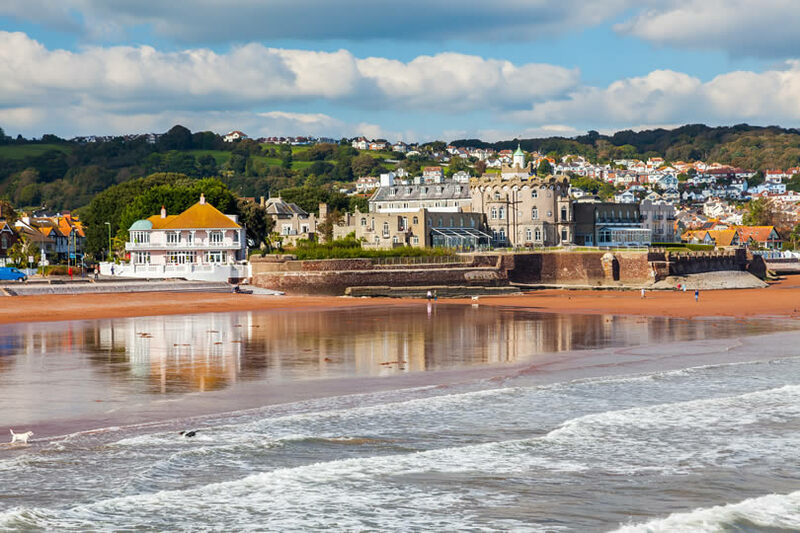 Why you would love it: Sitting on the English Riviera with its delightful climate, Paignton offers a traditional seaside experience. The sandy beach is lined with brightly painted beach huts while Paignton Zoo is one of the UK’s top zoos, known for its conservation work. Don’t miss: The GeoPark Playpark. It features three different play areas for toddlers to teenagers as well as a sand and water space. 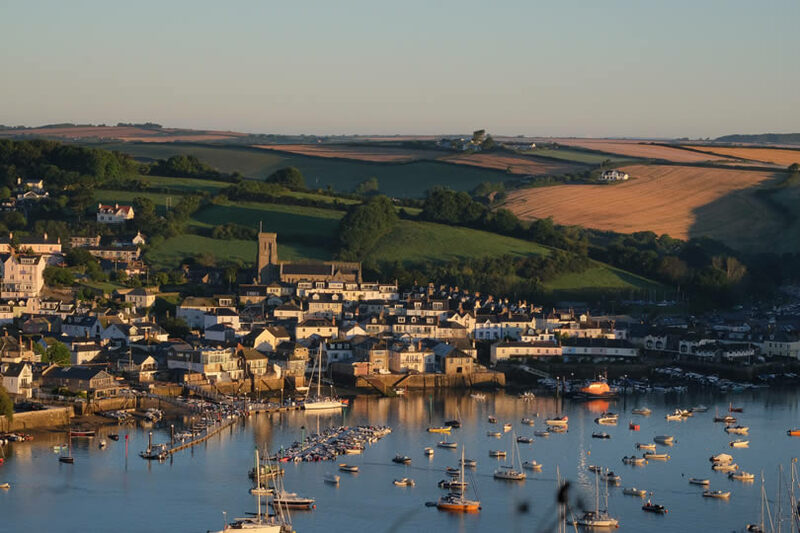 Why you would love it: In this picturesque town, tucked away in a southerly corner of South Devon, you are never far from a stunning view. A natural inlet makes it perfect for sailors while families and watersport enthusiasts love the sandy beaches. Don’t miss: A clifftop walk. Join the South West Coast Path and stroll past the exotic gardens at Overbecks and on to Stare Hole. 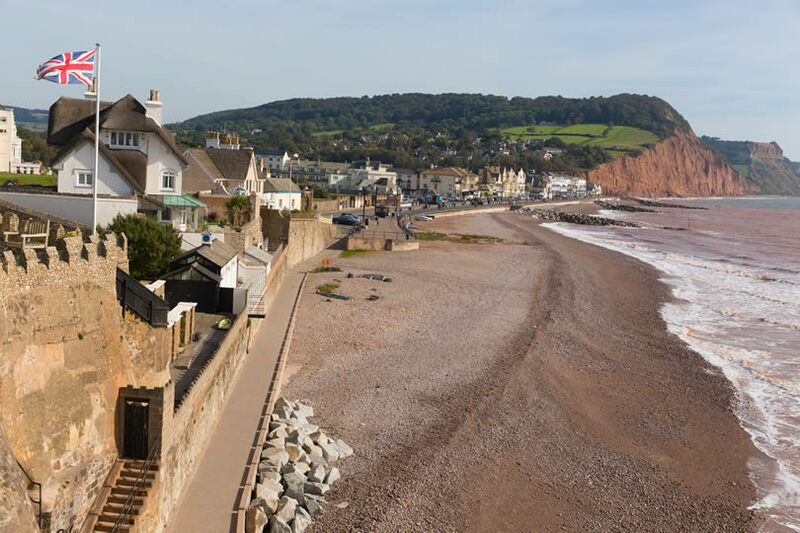 Why you would love it: Seaton is a small resort town where the River Axe meets the sea. It nestles within a designated Area of Outstanding Natural Beauty. 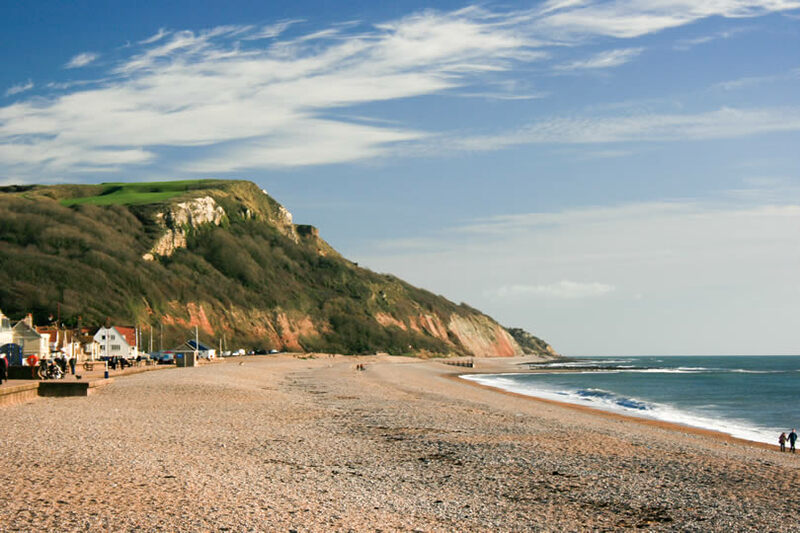 Discover everything about this fascinating coastline at Seaton Jurassic. Don’t miss: The Seaton Tramway, a narrow gauge electric tramway that runs three miles along the Axe Estuary, taking in two nature reserves en-route. Why you would love it: Sidmouth has captivated visitors since Regency days. It nestles beneath the red cliffs and green hills of the Sid Valley. Sidmouth lies on the Jurassic Coastline so be sure to visit the Jurassic Coast Interpretation Centre housed in the seafront arches. Don’t miss: Enjoying coffee and cake in the cob-walled cafe that dates back to the 14th-century and at one point was definitely a smugglers’ rendezvous. 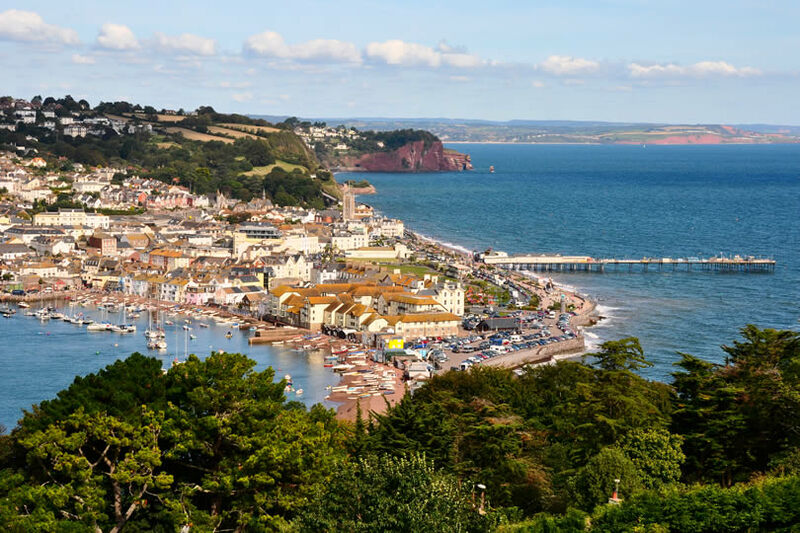 Why you would love it: Teignmouth is all about the water, its wonderful beaches offer an exciting range of watersports while the town also has a busy port giving plenty of nautical action to watch. Don’t miss: The Den on the seafront with its award-winning wet play area full of squirts and fountains. Great for all young-at-heart visitors whatever their age. 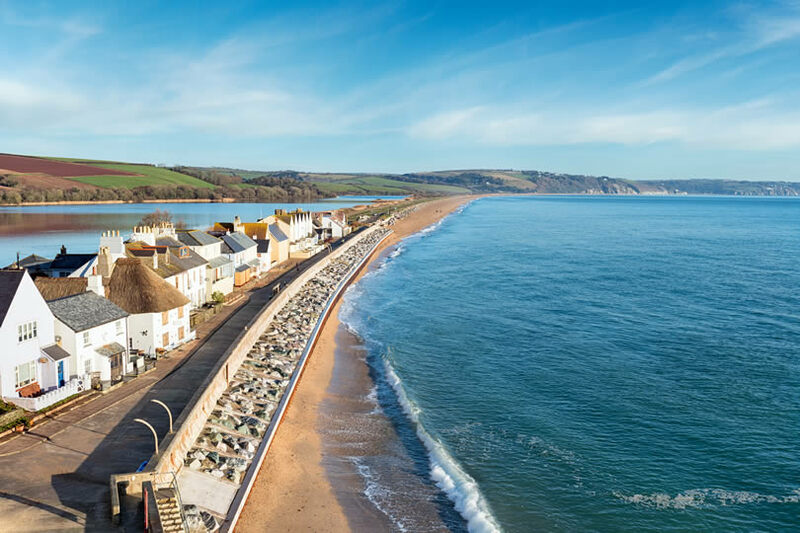 Why you would love it: The village of Torcross enjoys an enviable position, nestled between the waters of Slapton Ley Lake and the Slapton Sand Dunes. This makes it the perfect destination for bird watchers and nature lovers. If that isn’t enticement enough, Torcross also has a spectacular beach. Don’t miss: The Sherman Tank Wall Memorial, a poignant reminder that this area of the coast played a vital part in the Normandy landings. Why you would love it: Its climate, of course. Torquay is blessed with its own micro-climate, meaning palm trees flourish. Its sandy beaches are perfect for families while quiet coves on the edge of a turquoise sea get away from the crowds. Don’t miss: Torquay Zoo, a living coast zoo that’s been created on the beach. It’s home to cute otters, penguins and lots of other animals you can get up close to. 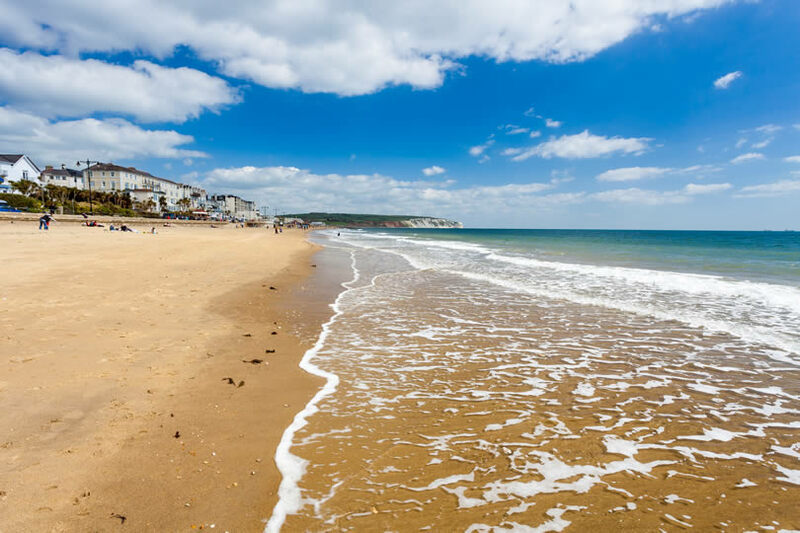 Why you would love it: Many people consider Bournemouth to be the best coastal resort in Britain. 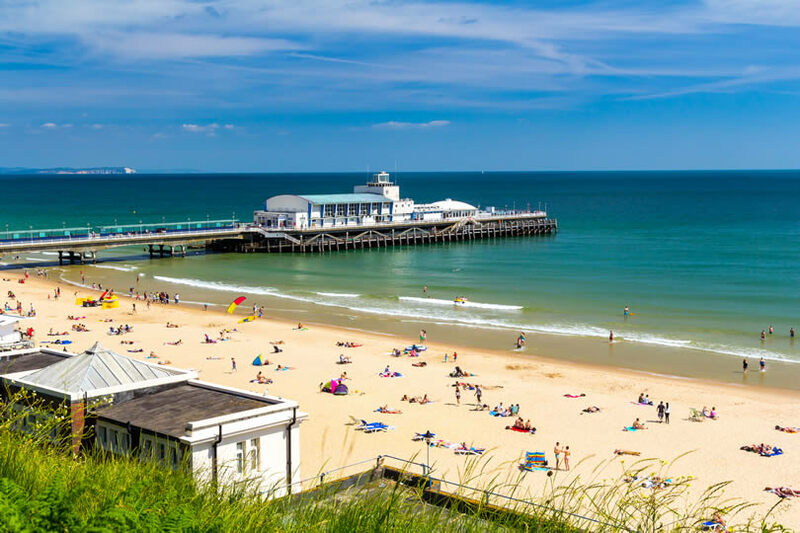 Whether you’re into family-friendly beaches or surfing the waves, want great fish and chips or a hip nightlife, Bournemouth has it all and more. It has definitely come a long way since its early days as a health resort. Don’t miss: The seven miles of pristine sandy beaches backed by pine-coated cliffs. Why you would love it: Made famous by Jane Austen and John Fowle’s ‘The French Lieutenant’s Woman’, Lyme Regis is a beautiful spot on Dorset’s Jurassic Coast. Take a walk along the rugged Cobb -you’ll find a tiny aquarium at the end. Then, enjoy an ice cream as you stroll along the promenade into town. Don’t miss: The chance to find your own fossils. If you have no luck on the beaches, there are plenty of fascinating shops in Lyme Regis where you can buy one. Why you would love it: The dolphin is the town’s symbol and if you’re lucky you might see one or two having fun in the harbour. Then tour Poole Pottery to watch master craftsmen at work or have a go at creating your own pottery masterpiece. Don’t miss: Spotting celebrities at lunch by heading to the designated BBQ area on the beach at Poole’s Sandbanks, one of the most expensive property spots in the world. Why you would love it: Swanage lies on the Isle of Purbeck peninsula and is surrounded by stunning natural features like Old Harry Rocks. 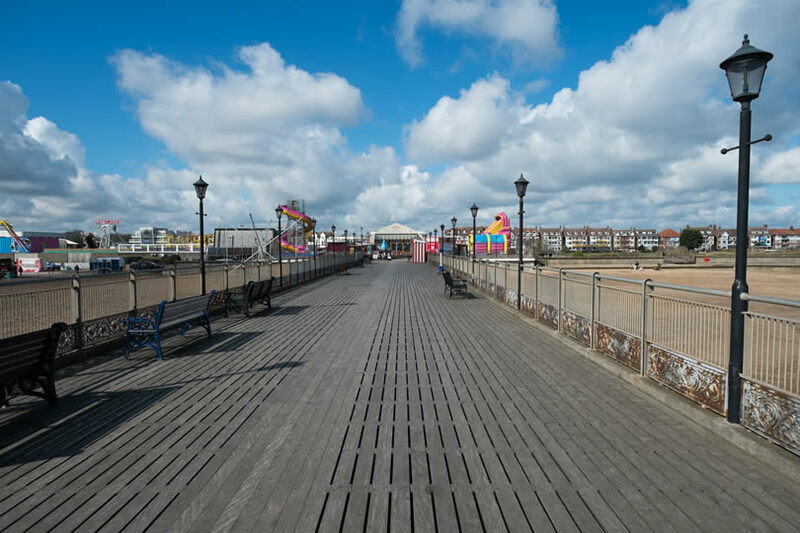 The town has an eclectic variety of shops and restaurants or take a stroll along the restored pier and try your luck in the Victorian Penny Arcade. Don’t miss: The Swanage Railway. It takes you on an exciting steam train journey to the market town of Wareham. Why you would love it: The sheer variety of colour grabs your attention in Weymouth. 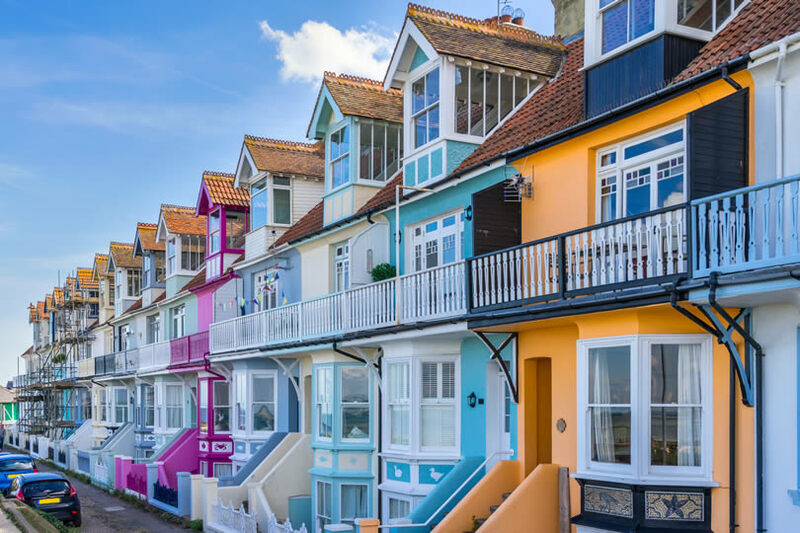 Strung along the sandy beaches and clustering around the harbour are gracious Queen Anne and Victorian buildings painted in bold seaside shades. 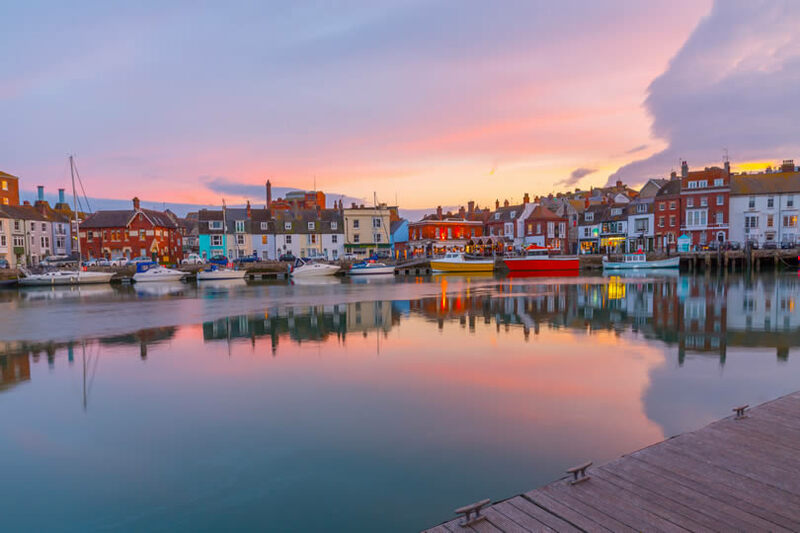 Weymouth is the perfect base for exploring the fascinating Jurassic Coast. Don’t miss: Nothe Fort, a historic headland site crammed full of activities and exhibits for all ages topped off with wonderful coastal views. 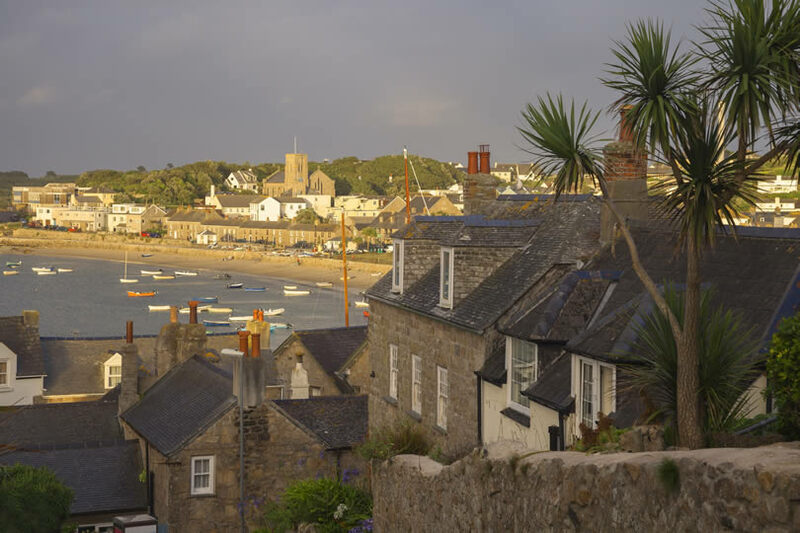 Why you would love it: Despite its small population, Hugh Town is the capital of St Mary’s, the largest of the Isles of Scilly. This peaceful town has all the charm of an old-fashioned seaside resort as well as luxuriating in stunning scenery. Don’t miss: Porthcressa Beach, perfect for rock pooling or just watching the shrimps do their thing. 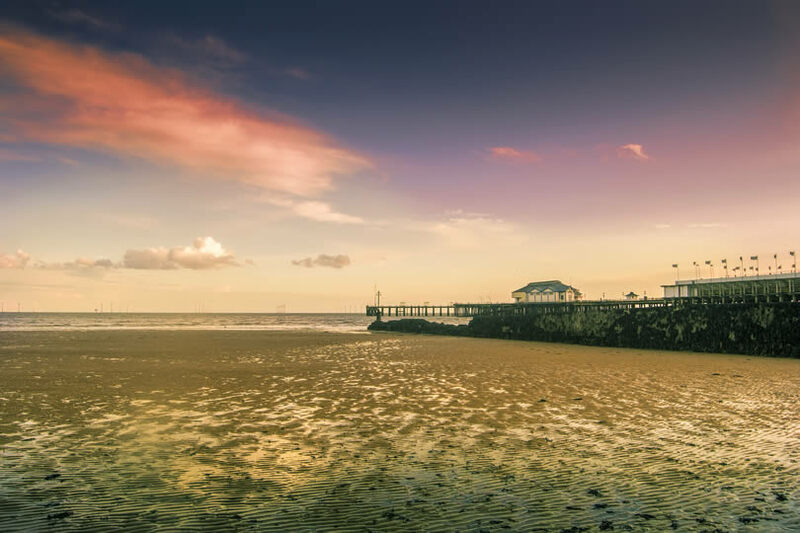 Why you would love it: Burnham-on-Sea lies at the southern end of the second longest strip of sand in Europe, making it ideal for holidays with family or friends. Campsites, candy-floss and cream teas can all be found in the resort as well as an elegant if short, pier. Don’t miss: Apex Park, where disused claypits have been turned into a large recreational area. Why you would love it: Lying just south of Bristol, Portishead’s elevated position gives it great views across the Bristol Channel. Picnic in Lake Grounds before taking the coastal path to Battery Point. Later, enjoy dining out with a difference – old shipping containers have been cleverly turned into a restaurant. Don’t miss: Taking a dip in the heated open-air pool at the top of the cliff. Enjoy the view as you swim. Why you would love it: For traditional seaside holidays, Weston-super-Mare is a top spot. A huge expanse of beach is backed by a long promenade and among the town’s family-friendly attractions is the SeaQuarium with its touch pools and interactive exhibits. Don’t miss: Strolling along the Edwardian Grand Pier that stretches out into the Bristol Channel. 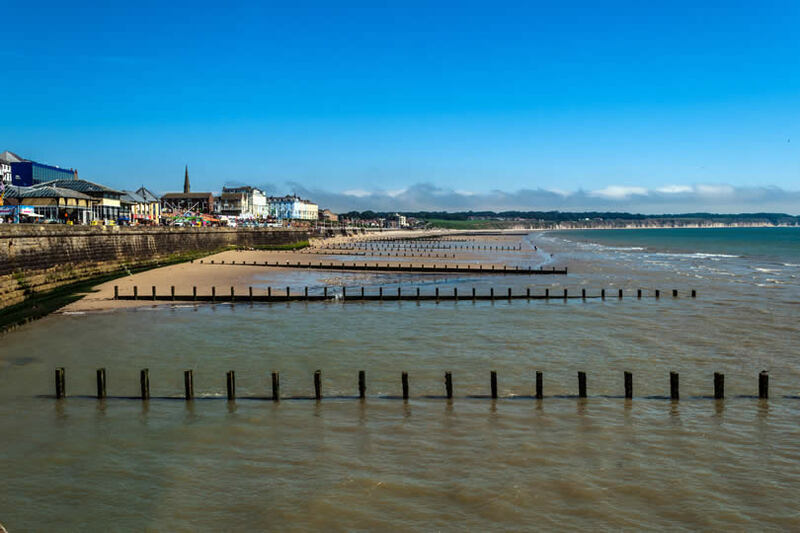 Why you would like it: Long elegant promenades, clean safe beaches, a historic harbour and plenty of traditional entertainment turn Bridlington into the perfect holiday destination. Visit the Sewerby Hall House and Gardens. Inside our collections from London’s V & A Museum while the park is home to a small zoo. Don’t miss: A stroll through Bridlington Old Town. It was the location for the ‘Dad’s Army’ film of 2016. 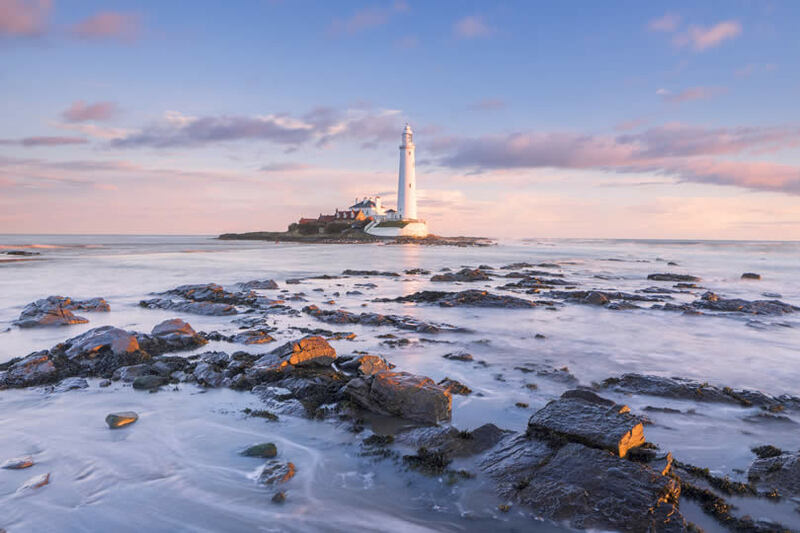 Why you would love it: Withernsea is the proud home of one of the few UK lighthouses that were built inland. Its base houses the town’s local history museum. All that remains of Withernsea’s Victorian Pier are the towers that mark the approach to the sandy beach. Don’t miss: Climbing the 144 steps of the decommissioned lighthouse. On a clear day, you can see the Humber Bridge. Why you would like it: When the tide goes out at Cleethorpes, it certainly leaves plenty of sand behind for castle building. 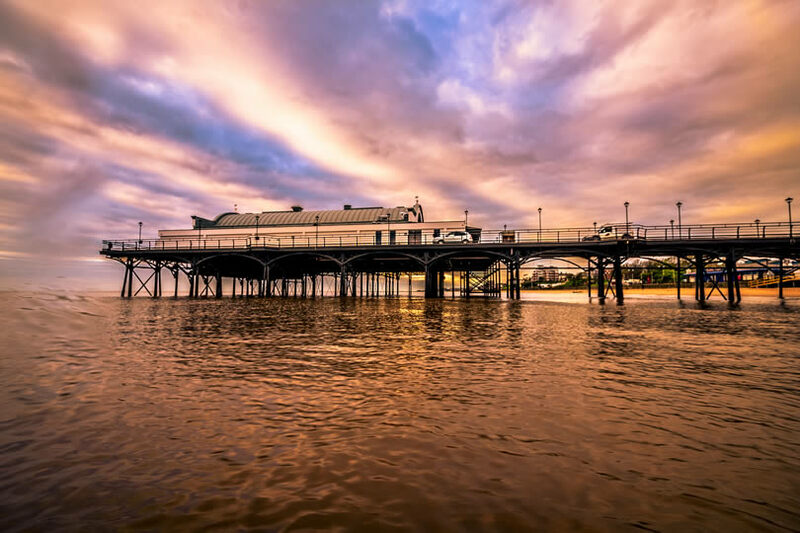 When it’s time to leave the beach, take a coastal ride on the Cleethorpes Miniature Steam Railway or hire a rowing boat on the Cleethorpes Boating Lake. Don’t miss: Getting hands-on with the interactive exhibits at the Jungle Zoo, one of the UK’s newest animal attractions. 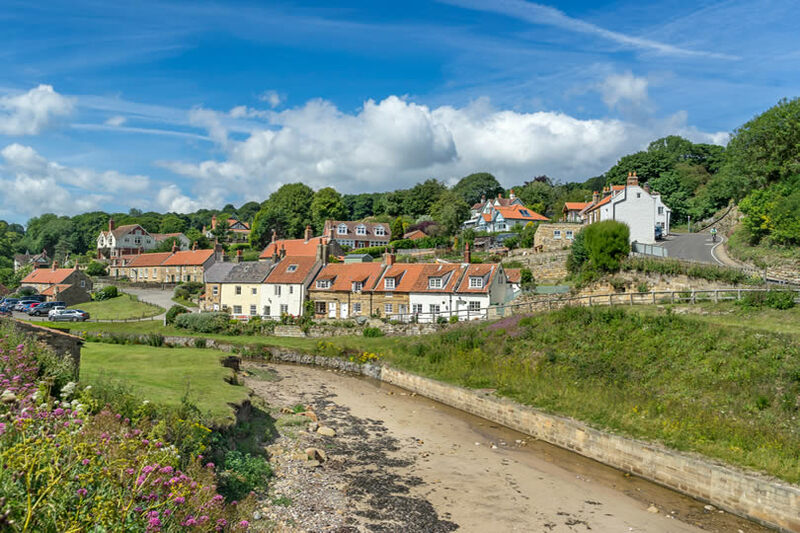 Why you would like it: With its wide sweep of beach, long promenade and a backdrop of low hills, Filey offers a traditional yet gentle seaside experience. Take the children to the Filey Bird Garden and Animal Park or indulge in a round of golf while admiring the coastal views. Don’t miss: Visiting the Filey Dams Nature Reserve. This huge area of freshwater marsh is a magnet for migratory birds. 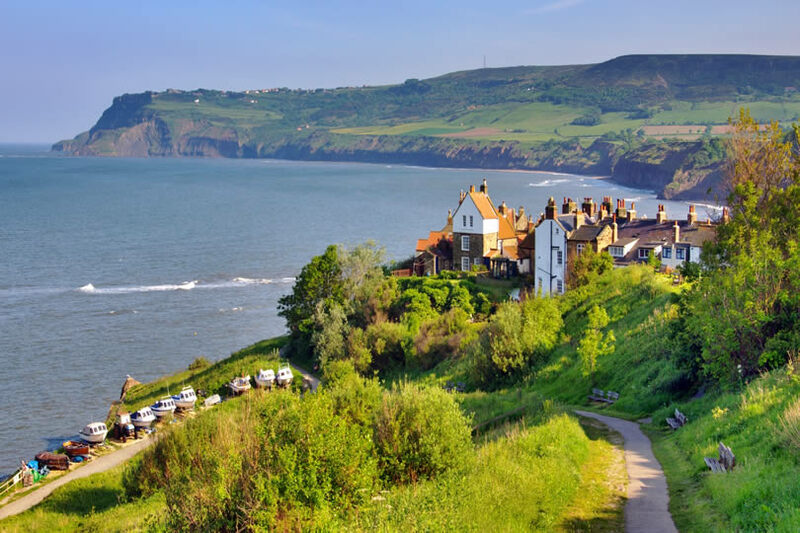 Why you would like it: Lying just along the coast from Whitby is Robin Hood’s Bay with its beaches, clifftop coastal paths and cycleways. Visit the Old Coastguard Station to find out about the geology and geography of the area. Don’t miss: Taking a Robin Hood’s Bay Ghost Walk which takes in all things supernatural set against a background of smuggling and shipwrecks. Why you would love it: Sandsend is all about the beach. It boasts three miles of fine sands and rock pools that are perfect for messing around in with a crab net and bucket. What’s left of an old railway line is dotted with industrial remains and makes an excellent coastal walk. Don’t miss: Following the Sandsend Trail to see how the Victorian industrial heritage has blended back into the landscape. Why you would like it: People have been visiting Scarborough to enjoy its sea water for nearly 400 years. Today, as well as its stunning scenery and beautiful beaches, you’ll find plenty of attractions for all ages. Explore the history-steeped Scarborough Castle or try out the high-level thrills of the Sky Trail Adventure. Don’t miss: A journey through 12 themed zones at the Scarborough Sea Life Sanctuary. 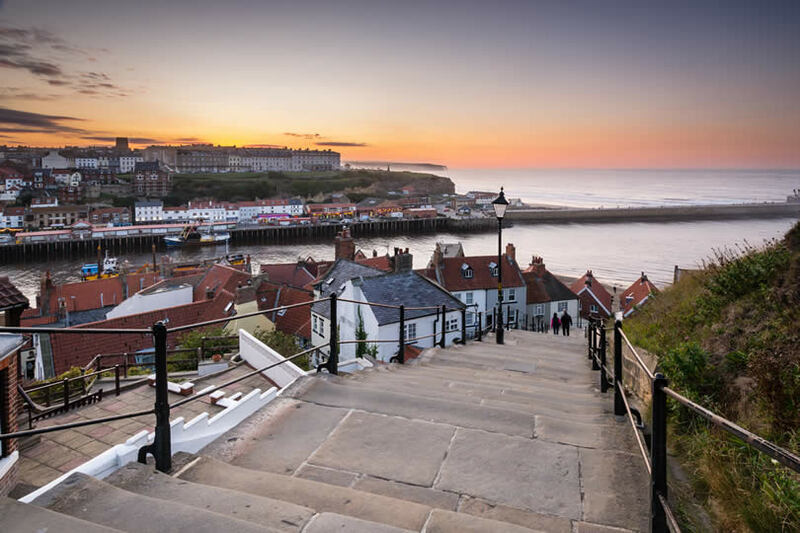 Why you would like it: Whitby is a charming resort town that curves around a protected bay edged with a sandy beach, making it perfect for fun-filled family holidays. Be sure to visit the atmospheric remains of Whitby Abbey. Whitby is also home to a famous whale-bone arch. Don’t miss: Taking a night time walk around the town and visiting the churchyard that inspired Bram Stoker’s Dracula – if you dare! 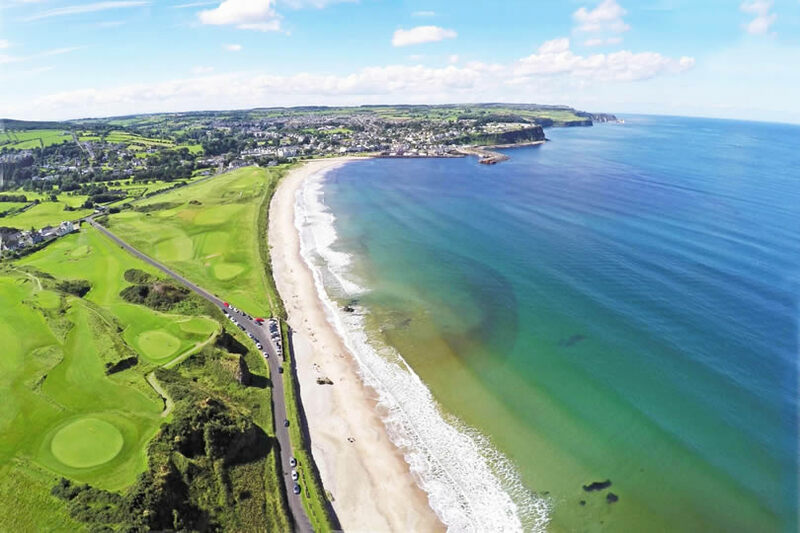 Why you would love it: The beach at Ballycastle is a long stretch of sand with beautiful views across the bay to Fair Head. On a headland just outside of town are the ruins of Dunseverick Castle, an incentive for enjoying a bracing clifftop walk. Don’t miss: Taking a drive around the edge of Loughareema, the mysterious Vanishing Lake of Ballycastle. By some quirk of nature, this lake totally drains away at times. 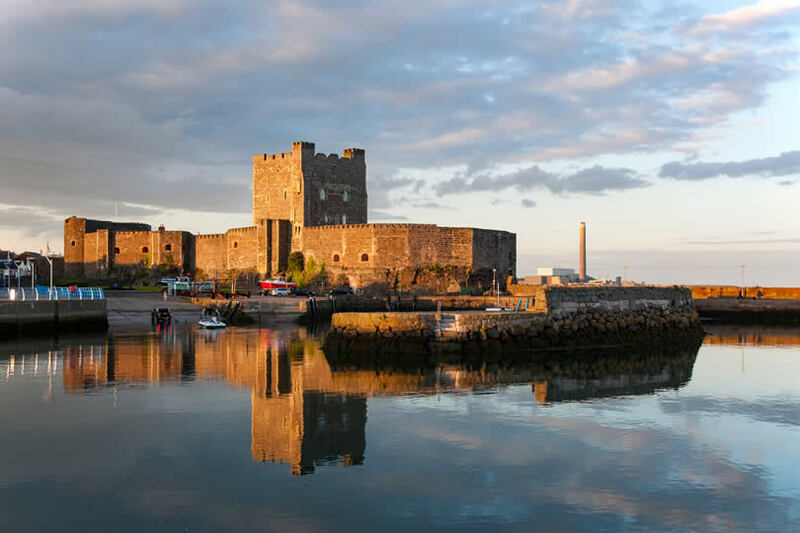 Why you would love it: As you arrive in Carrickfergus along the famous Causeway Coastal Route you will see the town’s castle looming over you. Much of the town’s stretch of walls that were converted from earth to stone in the reign of Queen Elizabeth I can still be admired. Don’t miss: Enjoying a day on the beach before wandering around the town’s new marina. 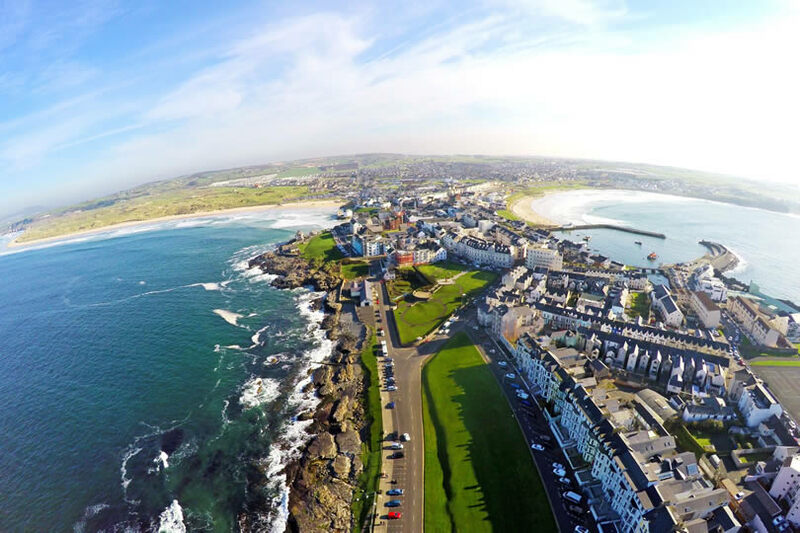 Why you would love it: Portrush is the perfect Northern Ireland destination if you like holidays that combine great beaches, great food and world-class golf courses. The town has several beaches to enjoy or take a cliff top walk to the ruins of Dunluce Castle. 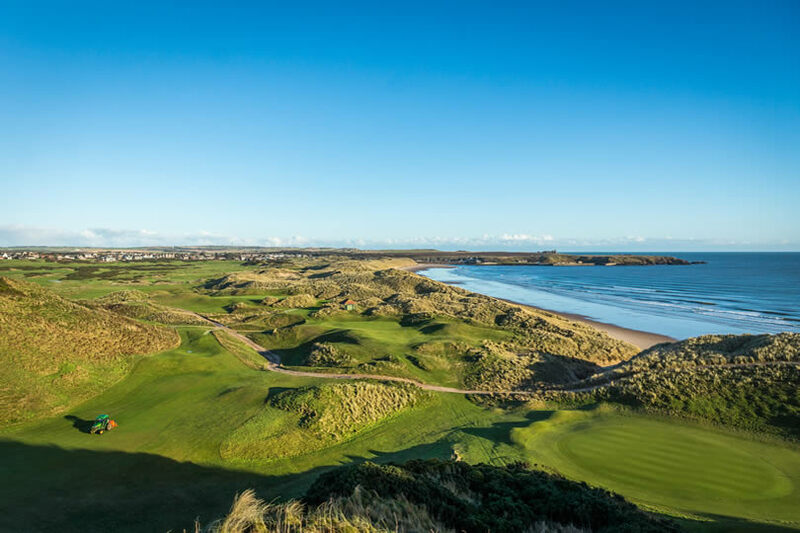 Don’t miss: Booking some green time at the Royal Portrush Golf Club. 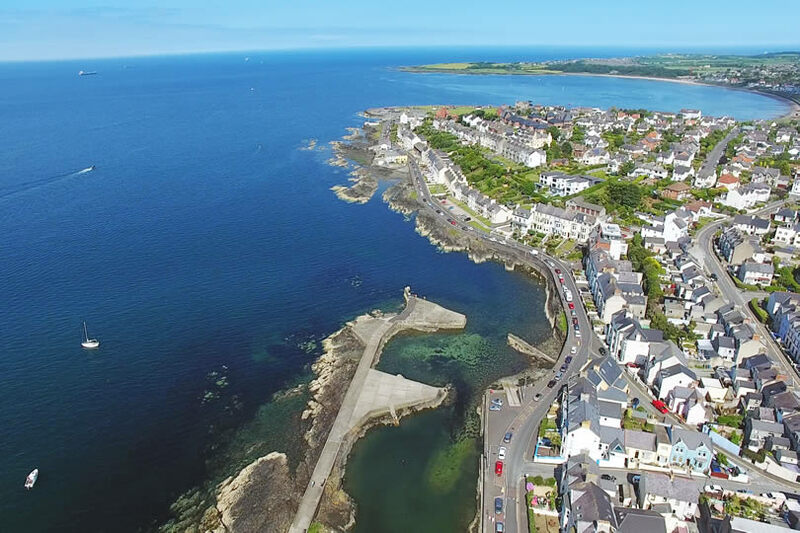 Why you would love it: Bangor enjoys one of the best climates in Ireland, making it the perfect spot for enjoying the beaches that line Belfast Lough. The town clusters around its marina, from where you can take boat trips on the lough. Don’t miss: Visiting the North Down Heritage Centre housed in Bangor Castle, a 19th-century mansion that is now the Town Hall. Why you would love it: The town of Newcastle was the inspiration for the famous poem ‘The Mountains of Morne’ written by Percy French. 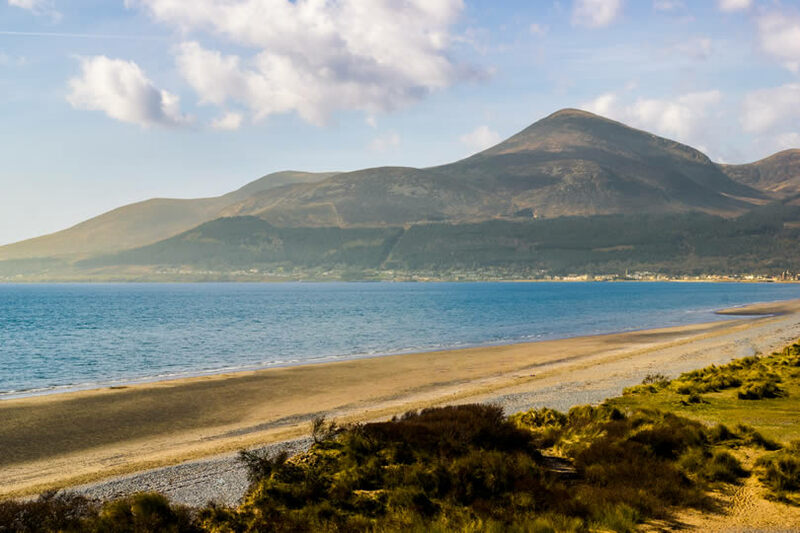 When you see how the Irish Sea sweeps up against its backdrop of mountains, you can understand the inspiration. The town’s beaches are a mix of sand and pebbles. Don’t miss: Choosing a clear day and hiking in the stunning surroundings of The Silent Valley. 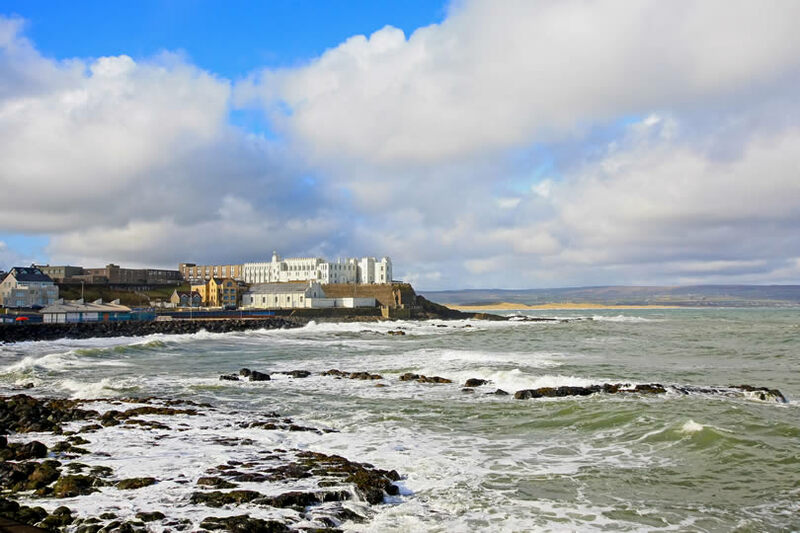 Why you would love it: Stretching out from the town of Portstewart are the sweeping wilds of Portstewart Strand. This clean family-friendly beach is an area of scientific interest for the flora and fauna found in its dunes. You can even park your car on the sand. Don’t miss: Walking a stretch of the spectacular North Antrim Coast Path. 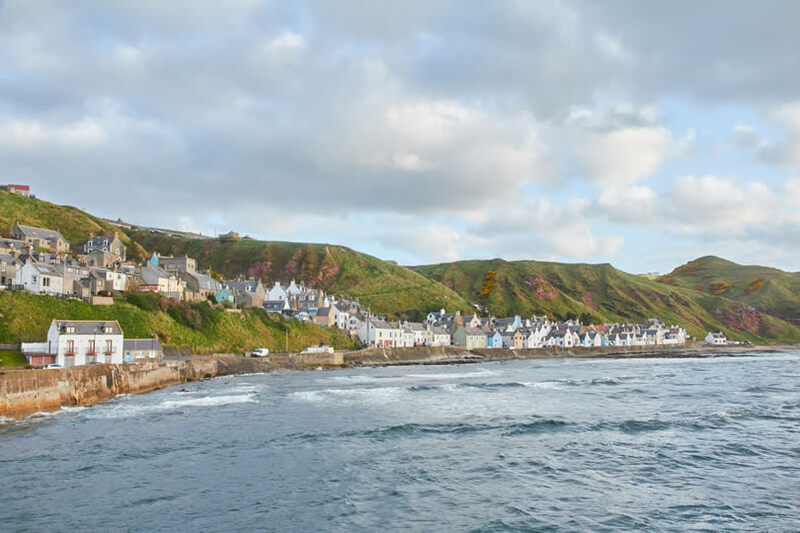 Why you would love it: Cruden Bay is noted for its sweeping expanse of pink sand. The beach is perfect for bucket and spade fun with young families while birdwatching enthusiasts love the sheer variety of birds that can be spotted here. Don’t miss: Enjoying a round of golf at one of the town’s two golf courses. One is an 18-hole course, the other 9-hole and they are Cruden Bay’s main attractions. Why you would love it: The sandy beach at Gardenstown is full of rock pools and lined by rows of colourful fishing cottages. 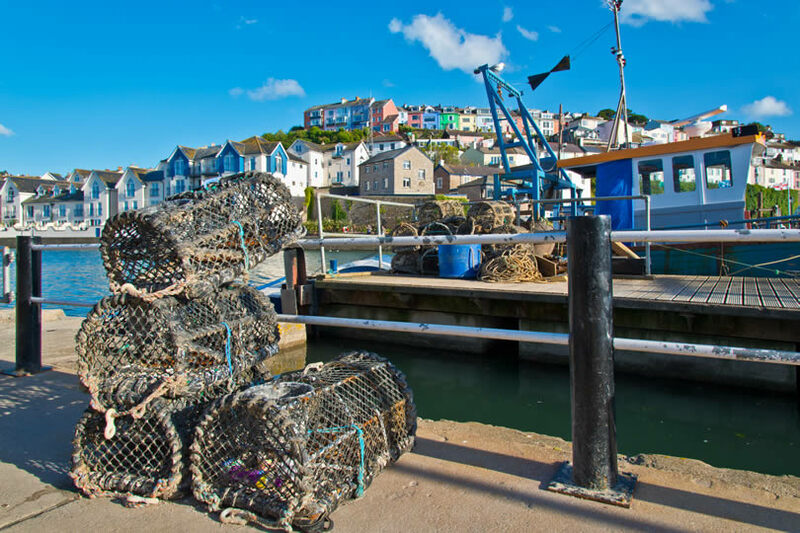 Try your hand at crabbing from the harbour wall before lunching on freshly caught seafood. Don’t miss: An energetic walk along the beach and then up the steep cliff path to the ruined kirk or church of St John. 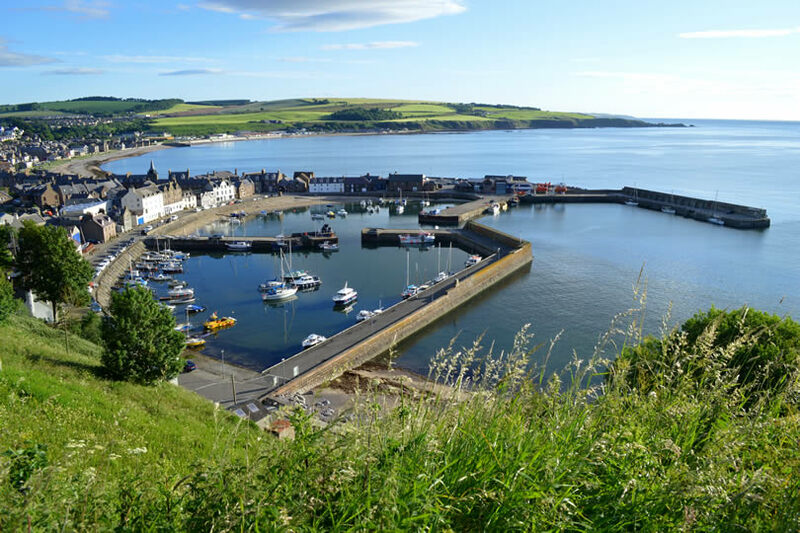 Why you would love it: Stonehaven with its golden sandy beach curves itself around a sheltered cove and is backed by beautiful countryside. While in the town take a leisurely stroll to the evocative ruins of Dunnottar Castle. Don’t miss: Taking a dip in the UK’s only Olympic-size, open-air Art Deco pool. It’s filled with filtered and heated seawater. 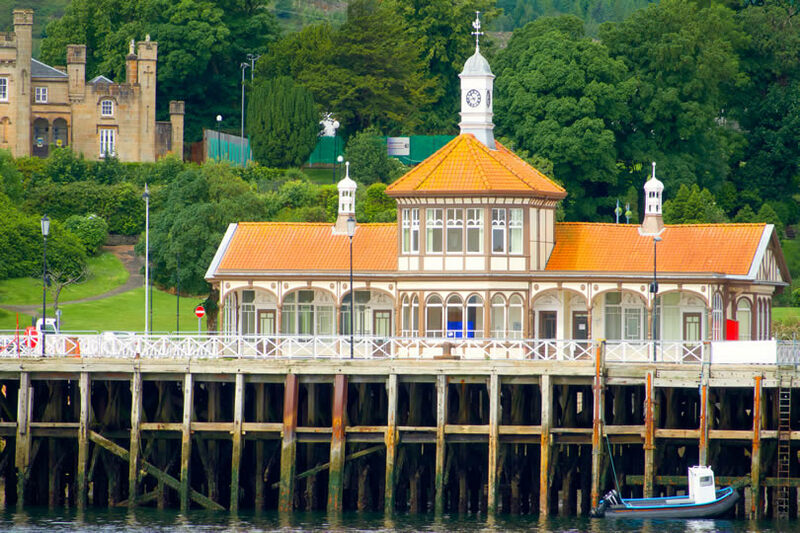 Why you would love it: Dunoon combines a beautiful coastline and scenery with a bustling town centre and a historic heritage. It is the perfect base for venturing deeper into the Highlands. The town grew up around its castle, now home to a museum, while a Victorian Pier is another key attraction. Don’t miss: Taking an atmospheric walk through the nearby mysterious gorge known as Puck’s Glen. Why you would love it: The first thing you’ll notice in Oban is McCaig’s Tower, a coliseum-like structure that overlooks the bay. The second thing you’ll notice is the dramatic coastline. A visit to Oban distillery is a must. Located in the heart of the town, it’s one of the oldest in Scotland. 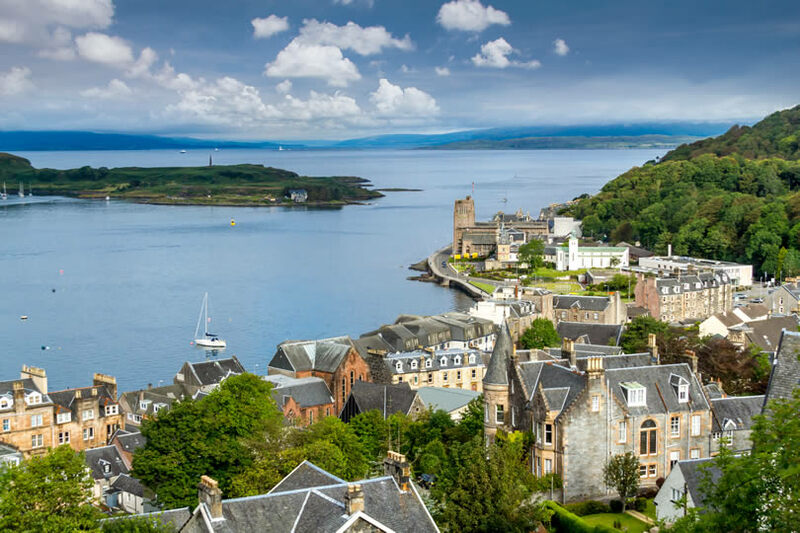 Don’t miss: Sampling deliciously fresh seafood – Oban is considered the seafood capital of Scotland. 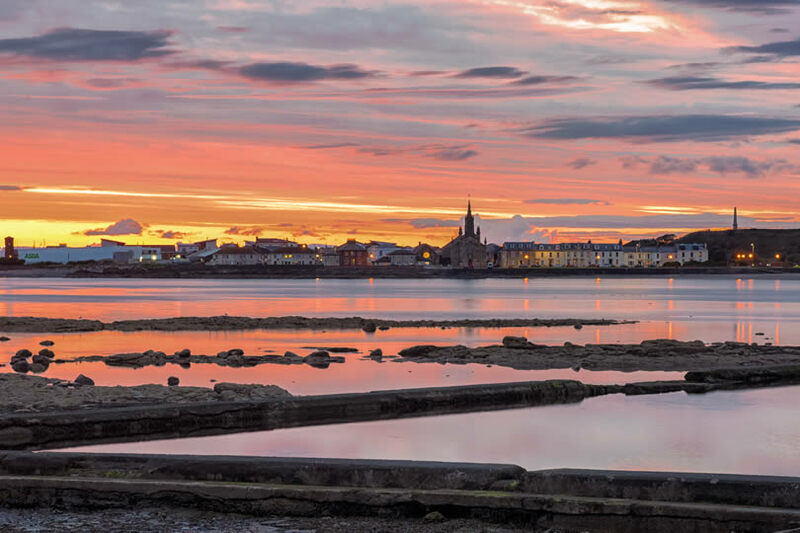 Why you would love it: Sandy beaches and a historic port are just two of the attractions at Ardrossan. Centuries ago the town was dominated by its hilltop castle, now the ruins provide a little atmosphere on coastal walks. Don’t miss: Catching the ferry to the nearby Isle of Arran for a tranquil day amid stunning Scottish scenery. 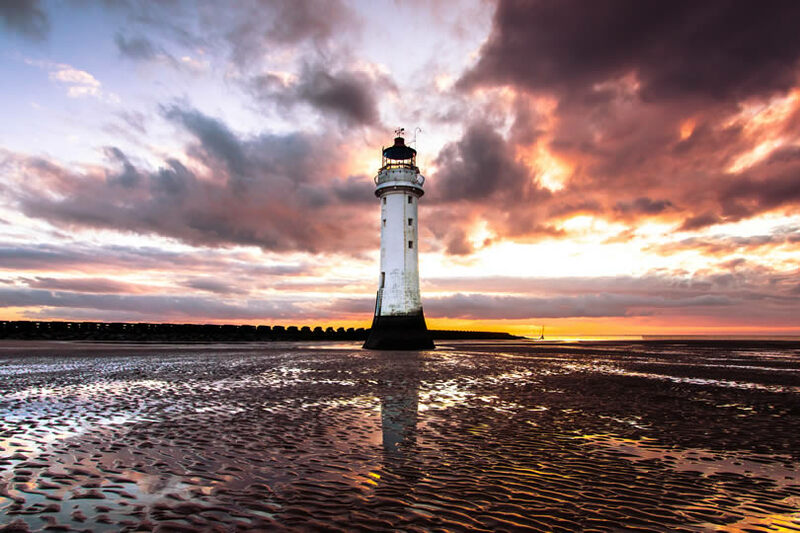 Why you would love it: From historic links to the Scottish bard, Robbie Burns and world-class golfing to castles and outdoor pursuits, Ayr is packed full of attractions. It is also the perfect base for exploring the West Highlands of Scotland and Loch Lomond. Don’t miss: Culzean Castle. With secret follies, plenty of history, a children’s play park and spectacular gardens it’s definitely a day out for the whole family. 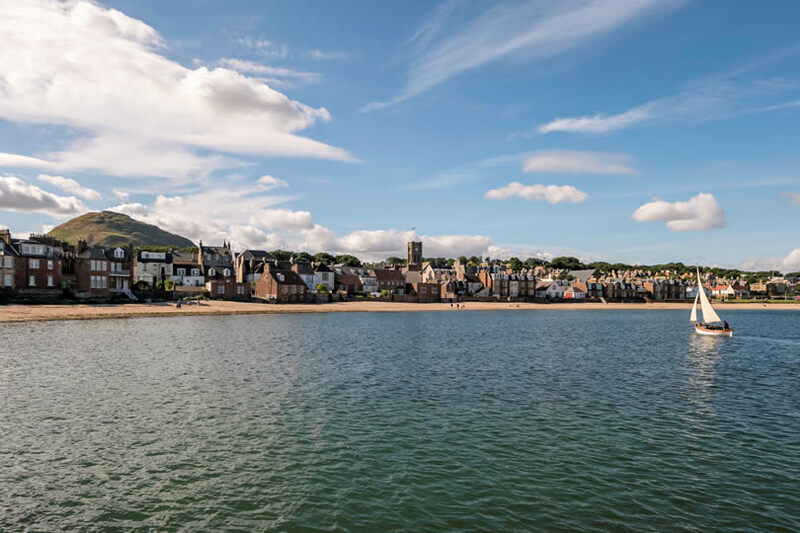 Why you would love it: The little town of Largs enjoys a beautiful spot on the Firth of Clyde and is just perfect for a relaxing day on the beach. Families can get competitive on the beachside putting green while young children can enjoy a range of traditional fairground rides. Don’t miss: The award-winning Vikingar exhibition which describes the Battle of Largs. At this confrontation, the Norsemen were ousted by the Vikings. 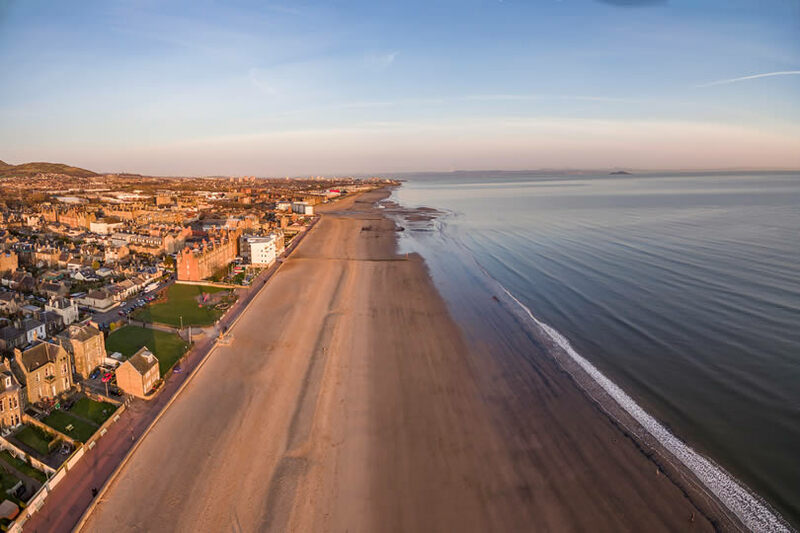 Why you would love it: Portobello Beach is the seaside hub of Edinburgh with two miles of sand that just invites you to spend lazy days in the sun. The town is full of elegant Georgian and Victorian architecture and home to a range of quirky seaside shops. Don’t miss: The magnificent Victorian swimming pool. Among its original features are the Turkish baths. 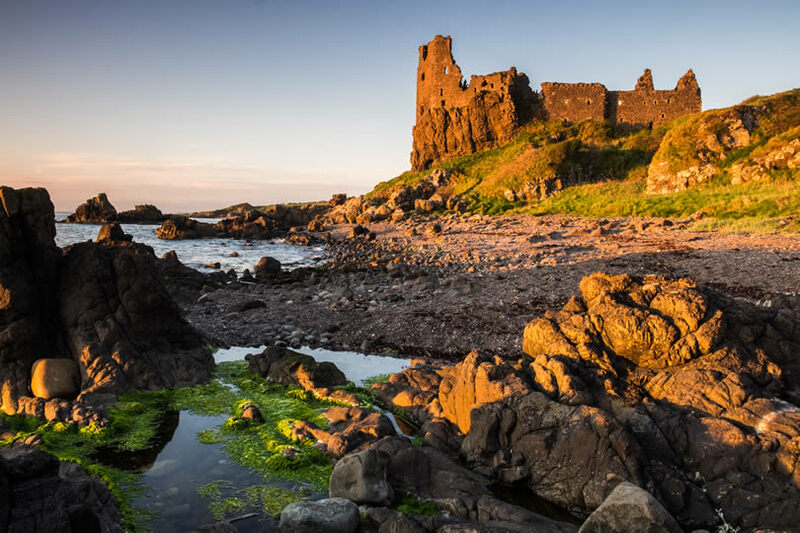 Why you would love it: The historic town of Dunbar is home to a castle which once sheltered Mary Queen of Scots. As well as playing on the sandy beaches, young children will enjoy a train safari through the paddocks at East Links Family Park, a farm-based activity centre. Don’t miss: A taste of danger at Foxlakes Adventures. This attraction has a wakeboard cable tow and over-water rope challenges. 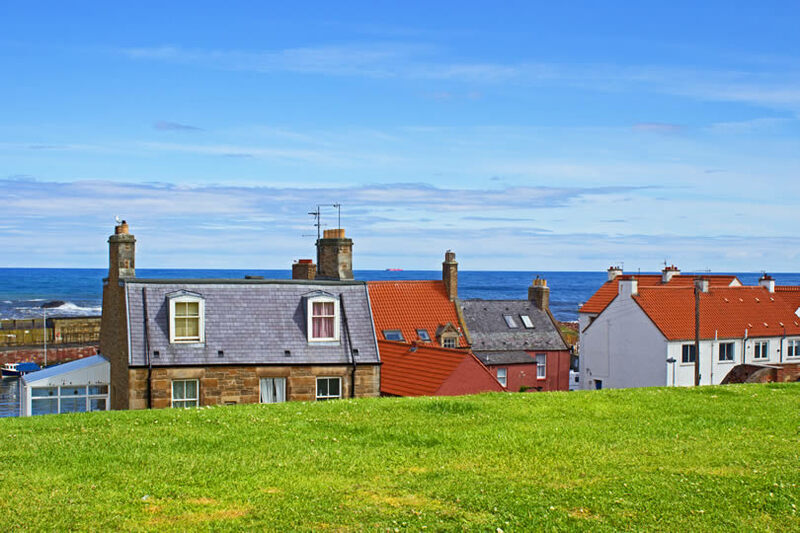 Why you would love it: North Berwick has an abundance of beaches, plenty of Scottish charm and a good sunshine record. When you’ve finished enjoying the beach, take a stroll to the Scottish Seabird Centre on Kirk Ness. Don’t miss: Climbing to the top of Berwick Law, a giant mound just outside town. Once you reach the top, the views across the Firth of Forth are spectacular. 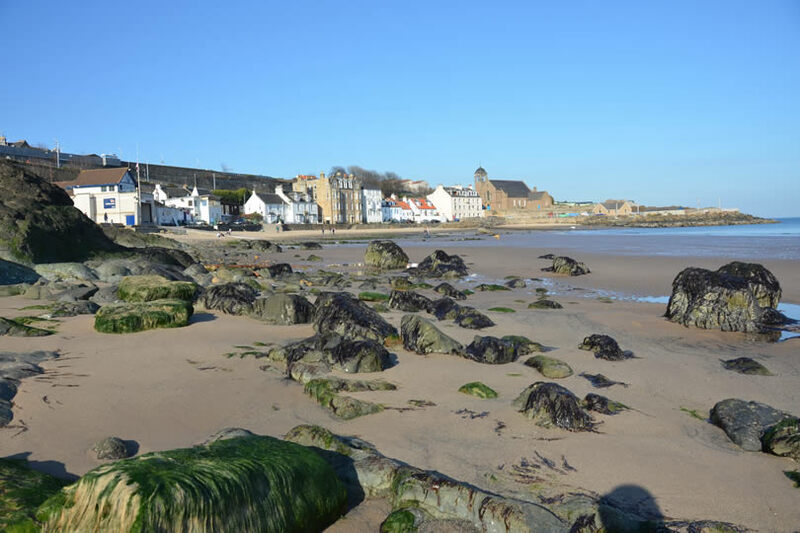 Why you would love it: Kinghorn is a picturesque resort town on the Fife coast. It combines two sandy beaches with a small working harbour while the more tranquil Pettycur Bay is just a short stroll away along the coastal hills. Don’t miss: Visiting Lindores Abbey, where the history of whiskey distillation can be traced back as far as the late 15th-century. 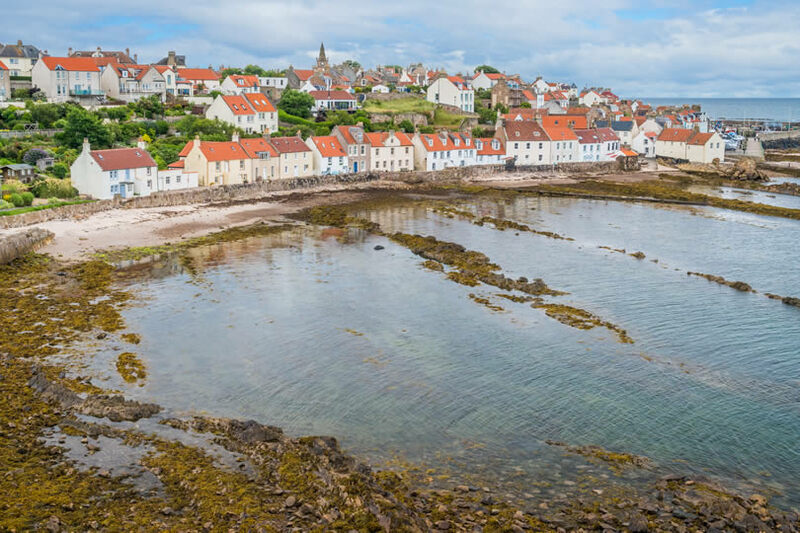 Why you would love it: There couldn’t be a more ideal spot for tranquil getaways than Pittenweem. Red-tiled houses cluster around the small fishing harbour. The town is full of historic buildings including the 16th-century Kellie Lodge and the ruins of a 12th-century Augustinian priory. Don’t miss: Trying to find the ancient shrine to St Fillan, housed in a cliff face cave. 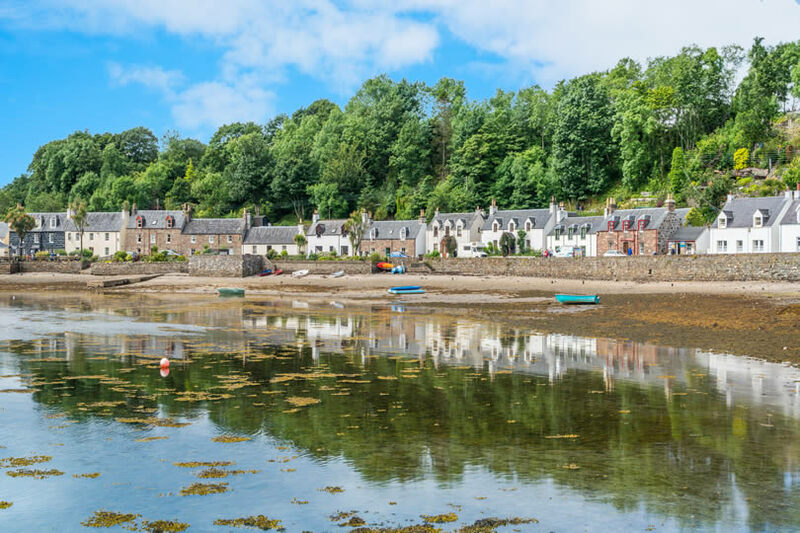 Why you would love it: To many people, Plockton is the ‘jewel of the Highlands’. Slate-tiled cottages line the banks of Loch Carron while coral beaches and secluded bays offer quiet seaside days. More energetic visitors can spend their days cycling, sailing or kayaking. Spend the morning on the beach before shopping for delicious local produce and enjoying a lochside picnic. Don’t miss: Taking a dolphin and seal watching trip on the loch. 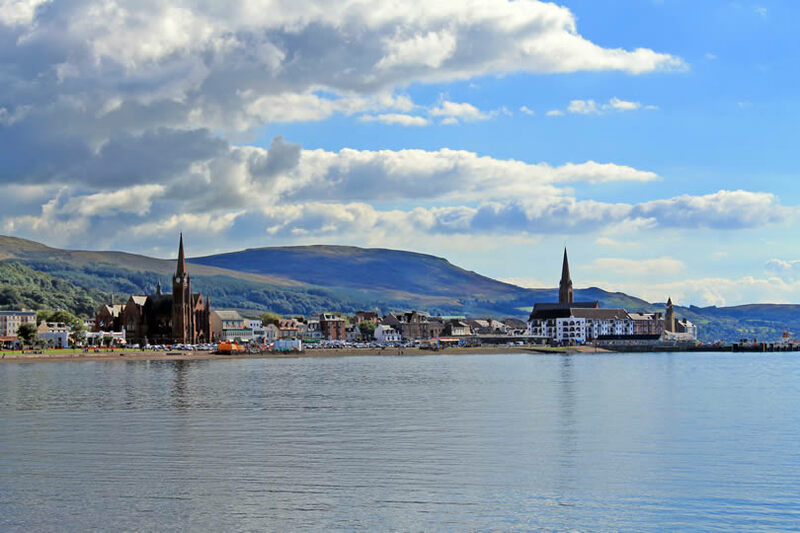 Why you would love it: Rothesay lies on the Isle of Bute and is a town with a proud and elegant Victorian heritage. As well as enjoying the beautiful Ettrick Bay, spend a morning exploring Rothesay Castle including its spooky dungeons. Don’t miss: Taking in a film or a show at the Isle of Bute Discovery Centre. This ornate circular structure of cast iron and glass was built in the 1920s. Why you would love it: The brightly painted houses that line the harbour and seafront of Tobermory turn it into a picture-postcard town. 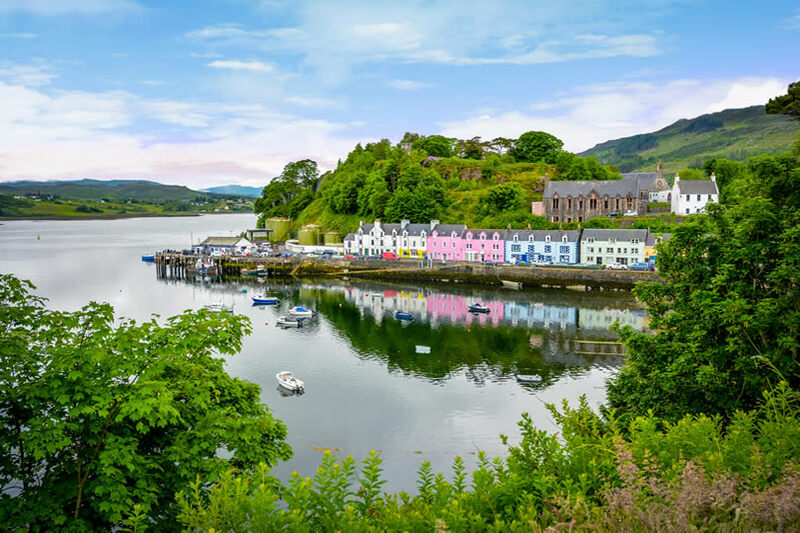 As well as having beautiful beaches and scenery, Tobermory, like everywhere on the Isle of Mull is a haven for wildlife such as golden eagles, otters, basking sharks and whales. Don’t miss: Spotting the most famous pair of white-tailed eagles in the world. 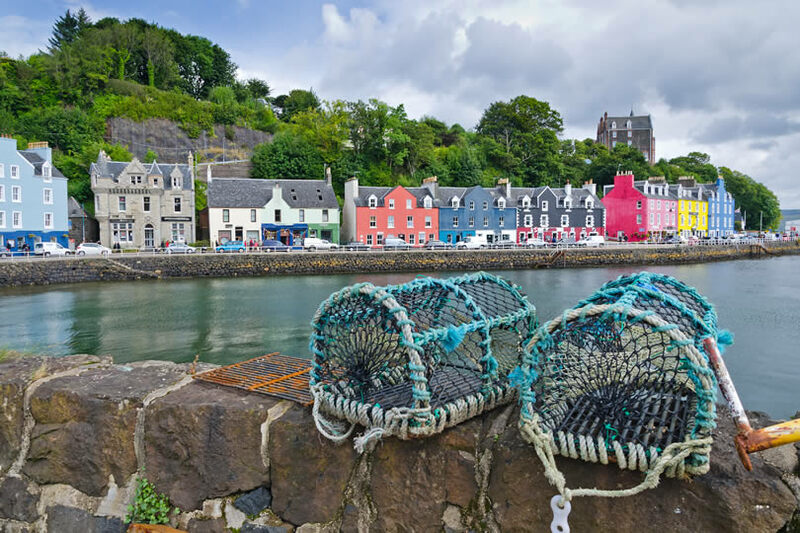 Why you would love it: The bustling port of Portree is the main town on the Isle of Skye. Its picturesque fishing harbour is fringed with high cliffs. Pop into the Aros Centre to capture all the drama of the Isle of Skye’s history. Don’t miss: Marvelling at the weird and wonderful rock formations such as Kilt Rock that you’ll discover at Trotternish Ridge, just to the north of Portree. 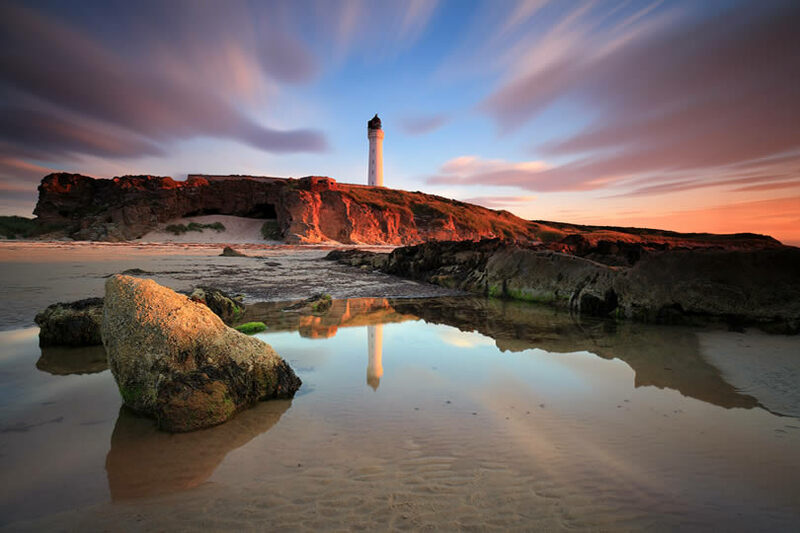 Why you would love it: Lossiemouth is the ‘jewel of the Moray Firth’. Acres of dunes and beaches are warmed by Gulf Stream Air meaning long summer days can be spent on the sand. Dolphin spot on the Moray Firth or window-shop for yachts at the spectacular new marina. Don’t miss: Climbing to the top of Covesea Lighthouse to watch fighter planes flying in and out of RAF Lossiemouth. 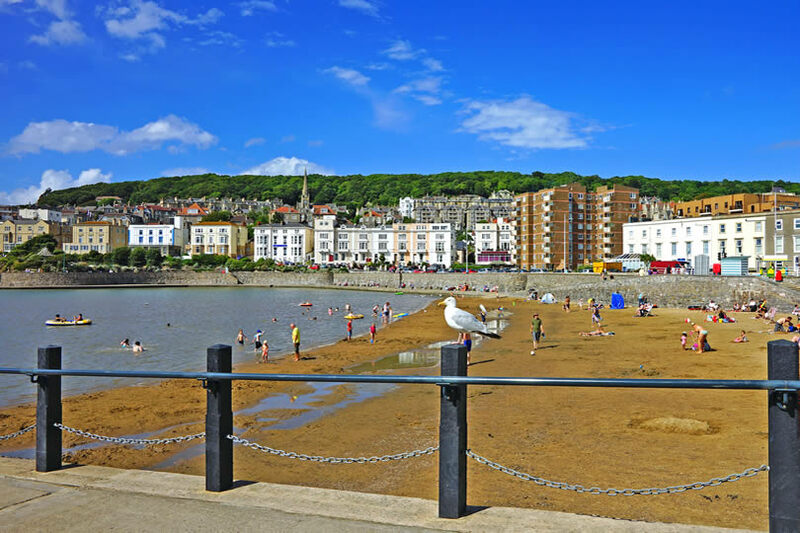 Why you would love it: Sweeping bay vistas, endless stretches of beach and traditional family fun make Colwyn Bay a resort with something for all ages. 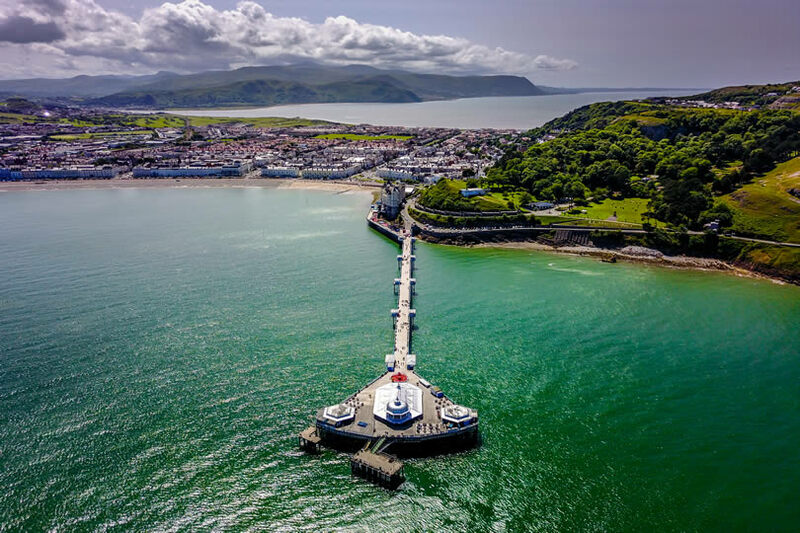 Stroll along its promenade and paddle in the sea before visiting the animals at The Welsh Mountain Zoo. Don’t miss: Hiking or simply strolling in the delightful Pwllycrochan Woods that surround the town. 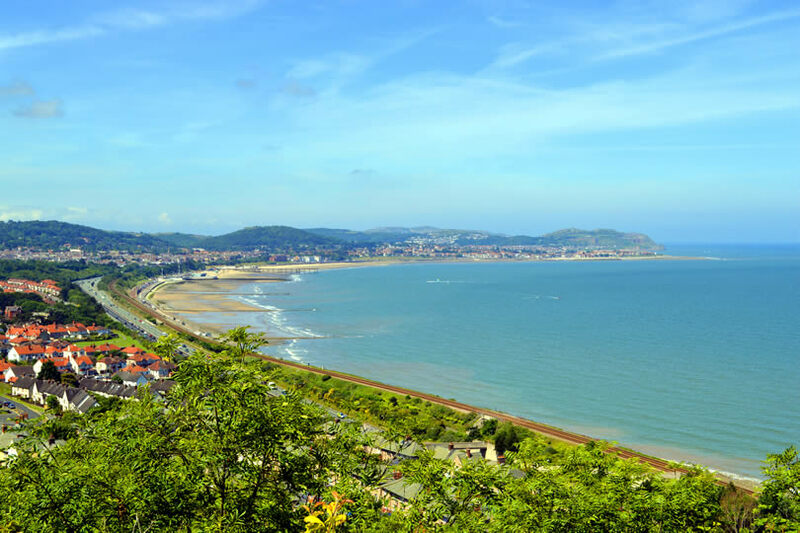 Why you would love it: In surveys of British holiday destinations, Llandudno always bags a spot in the top ten. A tranquil atmosphere, safe clean beaches and plenty of traditional attractions help explain why. When you’ve had enough of beaches, explore the town’s history in its many museums. Don’t miss: Llandudno’s connection to Alice Liddell, the ‘real’ Alice in Wonderland. Follow self-guided town trails to find 55 bronze rabbit footprints. 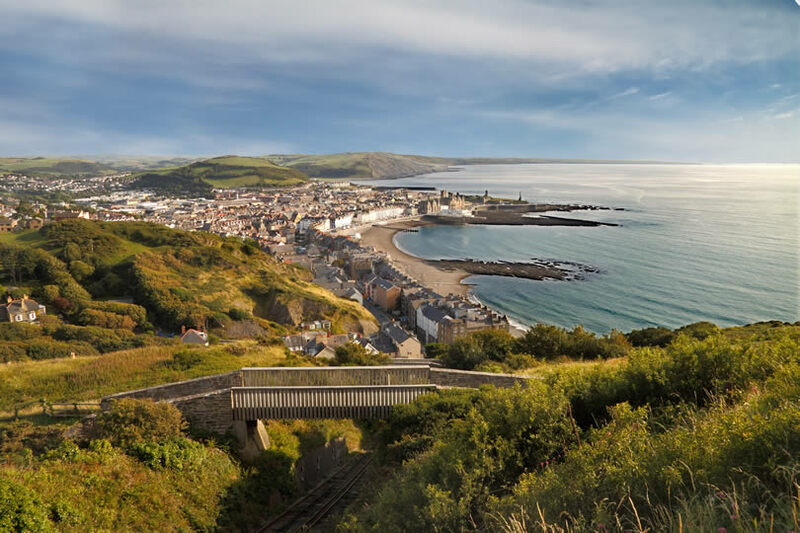 Why you would love it: Aberystwyth is a lively university town with a young at heart vibe and enough beaches and attractions to suit all interests. Like many Welsh castles, Aberystwyth’s is little more than an intriguing ruin but it does have beautiful sea views. Don’t miss: Taking the Victorian funicular railway to the top of Constitution Hill. It’s the longest of its kind in Britain. 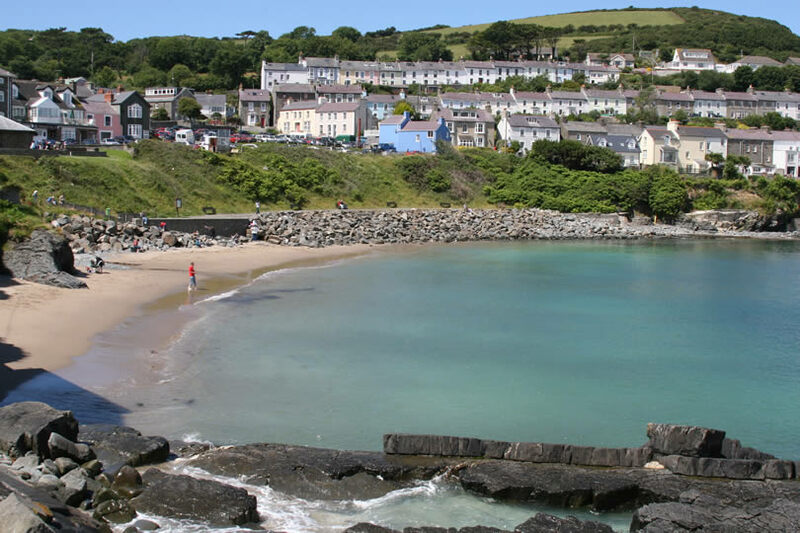 Why you would love it: Lying on the beautiful North Pembrokeshire coast, the town of Fishguard lies where the Preseli Hills meet the ocean. It is a place with enchanting beaches and stunning countryside dotted with ancient and mysterious standing stones. Don’t miss: Fishguard’s answer to the Bayeux Tapestry. This colourful and detailed work of art marks the Battle of Fishguard when Napoleon’s troops were defeated by local militia in 1797. 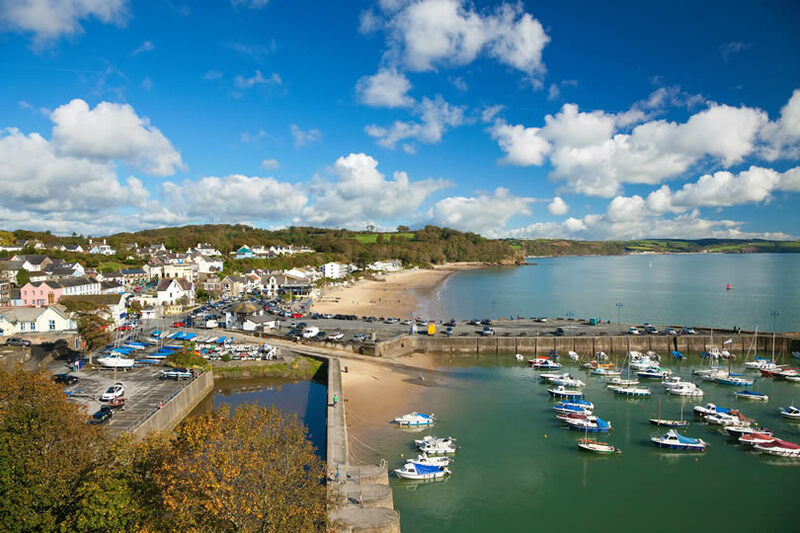 Why you would love it: New Quay is truly picturesque with its sandy beaches, sheltered harbour and houses dotted over the hillside. If you’re lucky you might spot a pod of dolphins playing in the sea as you enjoy your day on the beach. Don’t miss: Visiting nearby secluded coves and imagining what life was like in the days of smugglers. Why you would love it: Beaches like Monkstone or Glen Beach are full of rock pools teeming with crabs and other sea life, turning the beach into a discovery playground for young naturalists. Then if you’re feeling energetic, tackle a cliff top walk. Don’t miss: Taking the Hidden Heritage Discovery Trail to unearth the town’s old coal mining industry. 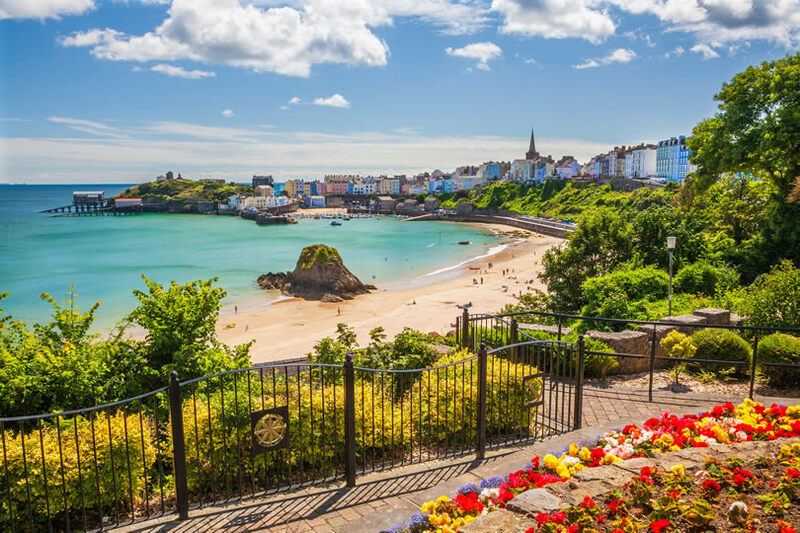 Why you would love it: Hugged by beautiful Pembrokeshire beaches and full of brightly coloured houses, Tenby must be one of the prettiest resorts in Wales. The family-friendly beaches include Barafundle Bay and Tenby Castle Beach. This laps against the rocks of the fort-topped St Catherine’s Island. Don’t miss: Dining on fresh fish in crispy batter in honour of Tenby’s long links with the sea. 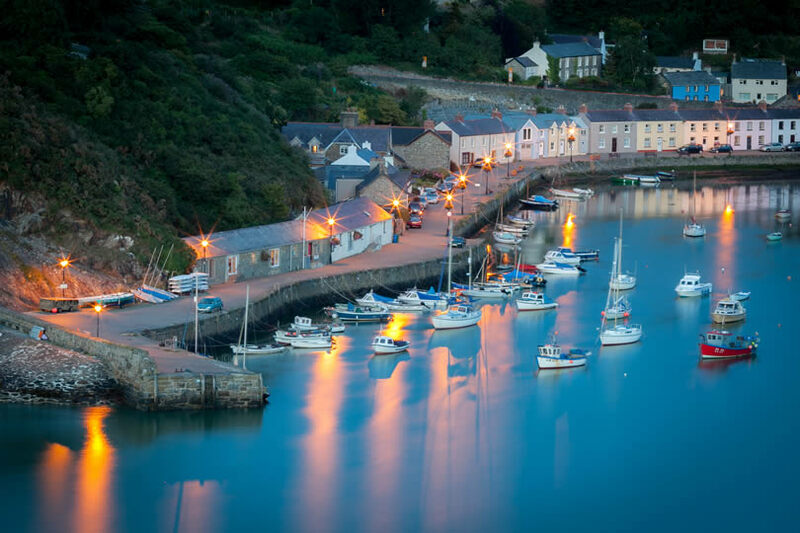 Why you would love it: Aberdyfi is a pretty little resort town that sits where the River Dyfi flows into Cardigan Bay. The charming old harbour is lined with pastel-coloured homes while the beaches are popular spots for wind and kite surfing. Don’t miss: Paying a visit to the exotic animals at the Borth Wild Animal Kingdom. They’ve all been rehoused when previous zoos or owners no longer had room for them. 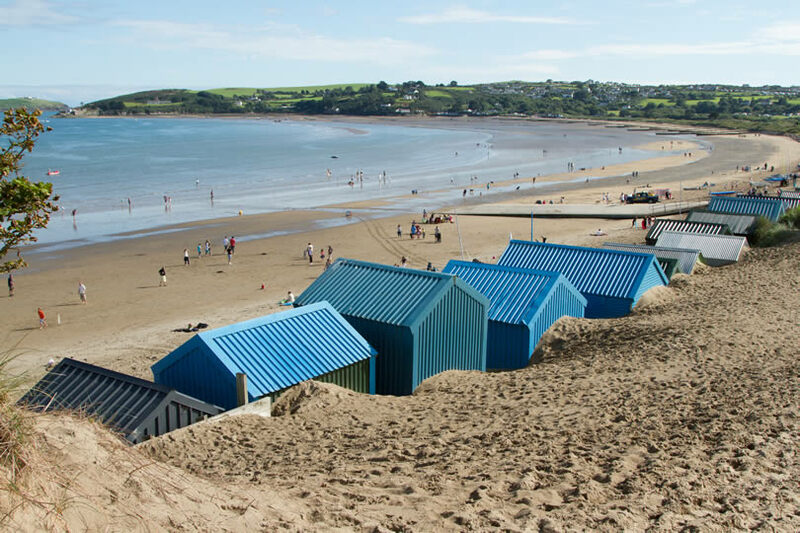 Why you would love it: If you’re a lover of watersports whether it’s paddleboarding, windsurfing, swimming or sailing you’ll find them all at Abersoch along with great beaches. 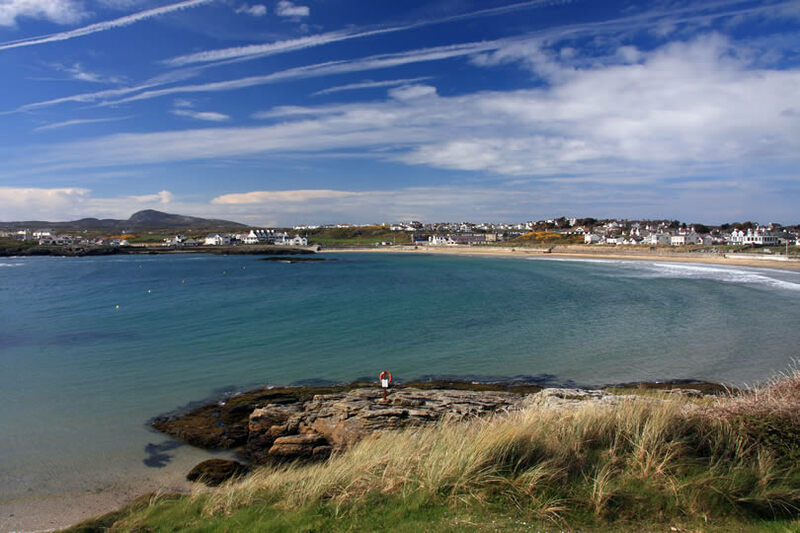 The waters of Abersoch which lies on the Llyn Peninsula are internationally recognised as being excellent for sailing. Don’t miss: Taking a boat trip to St Tudwal Island, keeping an eye out for dolphins, seals and seabirds. 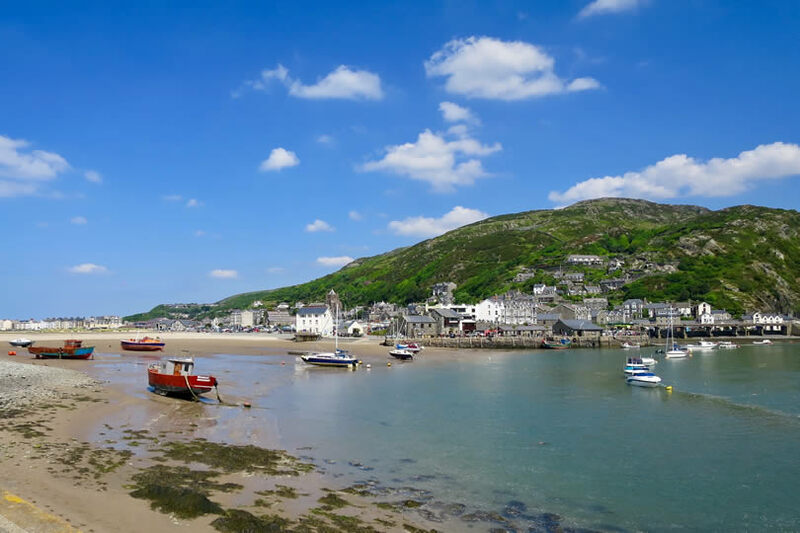 Why you would love it: Tranquil days on the beach, family fun and Snowdonia adventures all come together to make Barmouth a great holiday destination. Explore the Dyffryn Ardudwy Cromlechs or Stone Age burial chambers then enjoy the thrill of a four-person zip line at the nearby Llechwedd Slate Caverns. Don’t miss: The glorious views from the top of Snowdon. Save your legs by taking the Snowdon Valley Railway. 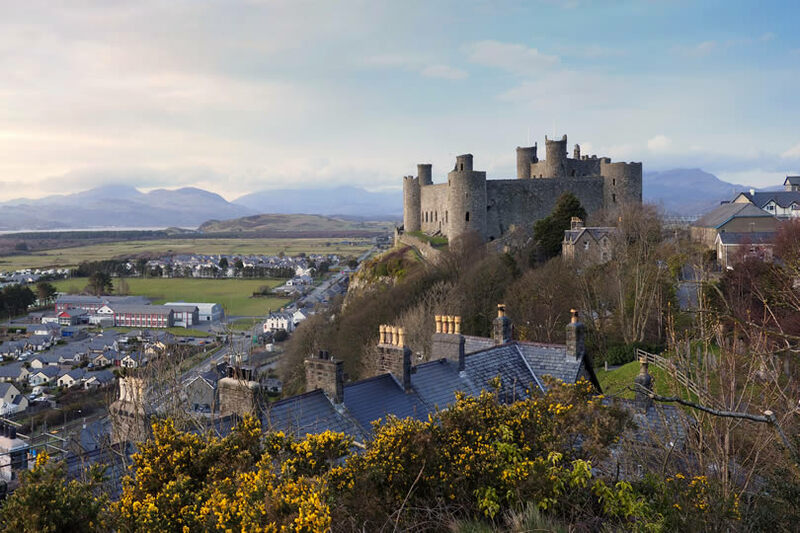 Why you would love it: Harlech is where history meets the seaside. Miles upon miles of sandy beaches stretch out into a distant vista while the silhouette of Harlech Castle dominates the skyline. It looks particularly magnificent at sunset. Be sure to enjoy the stunning panoramic views from the top of Pen Graig. Don’t miss: Grabbing a torch and helmet and going underground to explore the Llanfair Slate Caverns. Why you would love it: Everywhere you look in the bustling town of Porthmadog, you’ll catch a glimpse of the mountains of Snowdonia which are right on the doorstep. 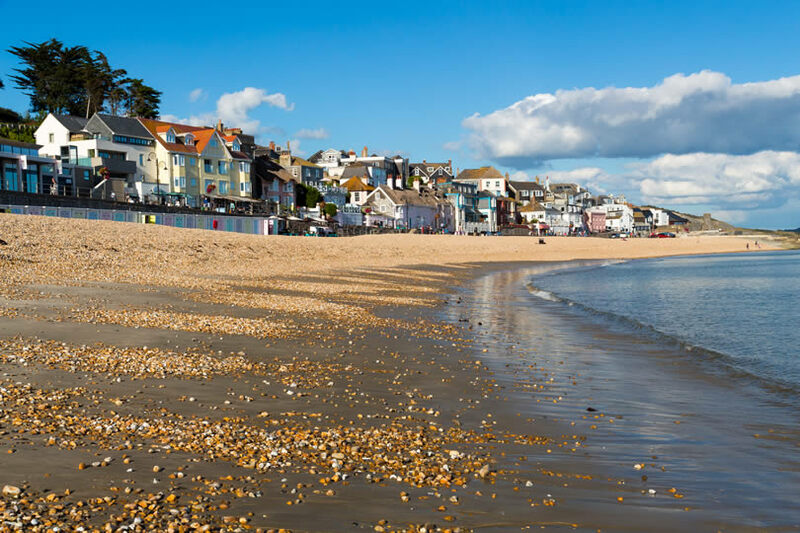 Take a stroll along the famous ‘cob’ which surrounds the town’s deep harbour before relaxing on the golden sands. Don’t miss: Enjoying a steam train ride on the Ffestiniog and Welsh Highland Railway. Why you would love it: The sandy beach at Trearddur on the Isle of Anglesey slopes gently towards the water and is dotted with rock pools that provide endless fascination for curious children. A small village of white-washed houses creates a backdrop to the bay which is a haven for watersport enthusiasts. Don’t miss: Bringing out your adventurous side with a daring Rib Ride around the island. Why you would love it: With its prime headland position, Barry has been occupied since Roman and Viking days. Barry has pristine beaches and all the traditional attractions of a resort town as well as newer ones such as a climbing wall that’s free to use. Don’t miss: Taking a walk along Whitmore Bay Promenade with its gun emplacements and lookout points left over from WWII. 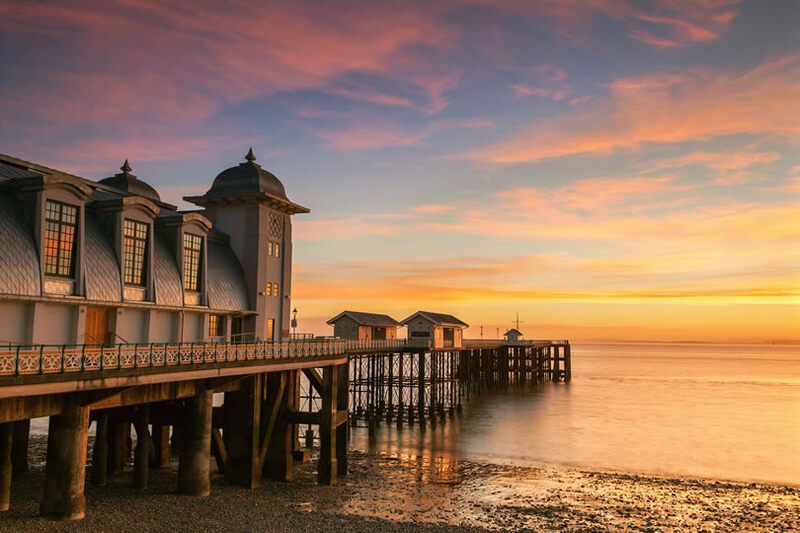 Why you would love it: If you want a seaside town full of traditional then Penarth is perfect. Stroll along the newly restored Art Deco pier and enjoy coffee or lunch with a view before seeing what local life was like centuries ago with a visit to Cosmeston Medieval Village. 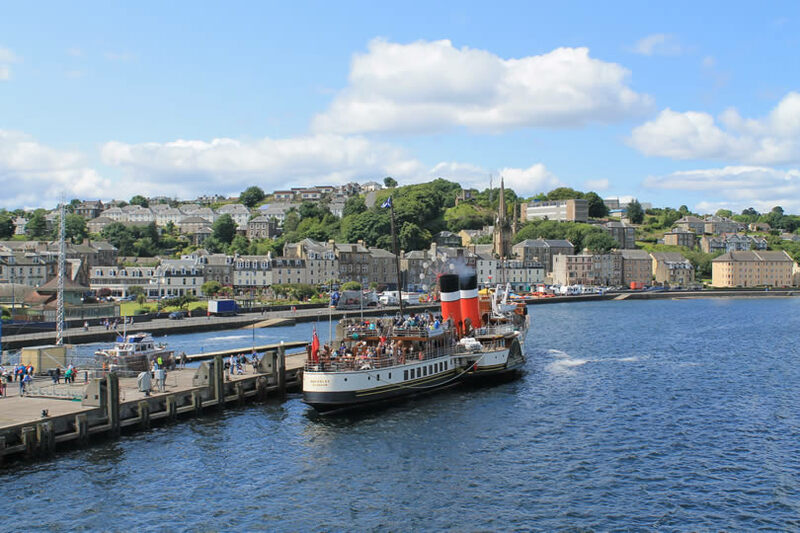 Don’t miss: Taking a boat trip on the Balmoral Pleasure Cruiser that leaves from the end of the pier. 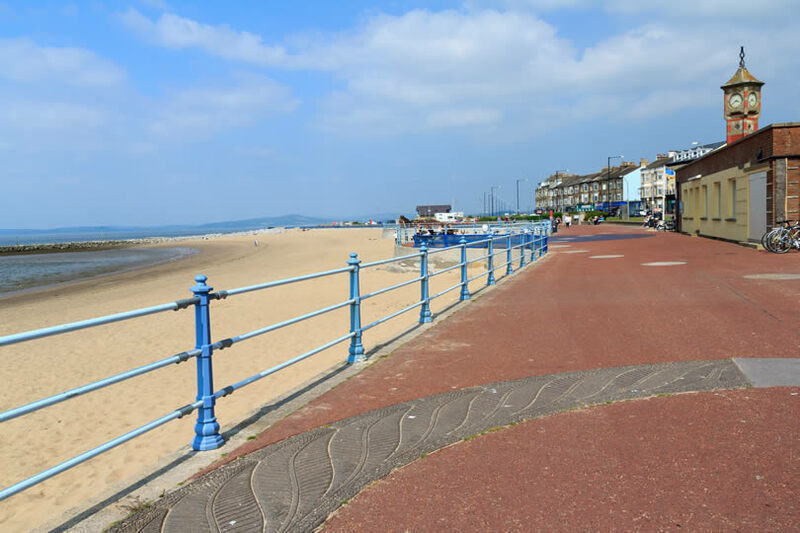 Why you would love it: Where Swansea Bay sweeps round towards the Gower Peninsula, you’ll find the vibrant village of Mumbles. Stroll along the newly restored Mumbles Pier and visit the modern RNLI station at the end before relaxing on Langland Bay Beach. Don’t miss: Trying the local seafood. The quality is so good, most of it finds its way to the best restaurants in London and Paris.